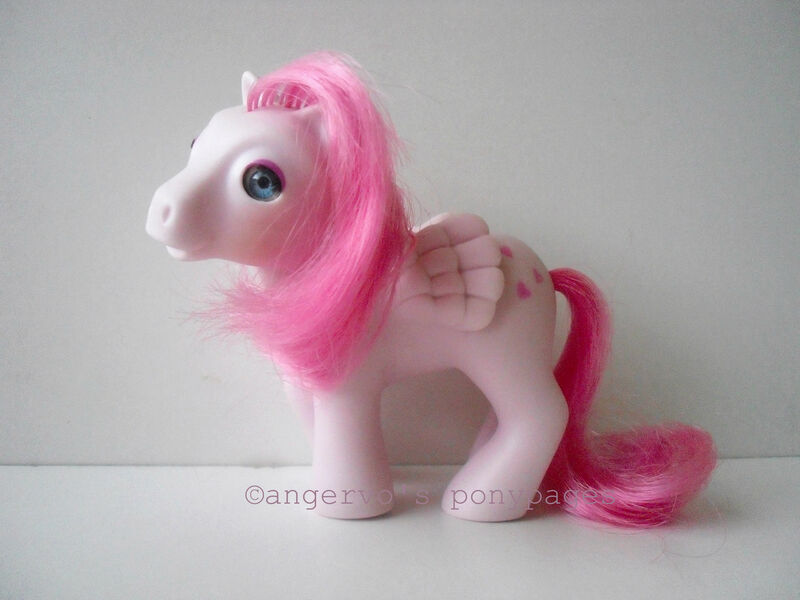 I have started to collect these checklists of the different variation of ponies which have I found by reading and studying other sites . 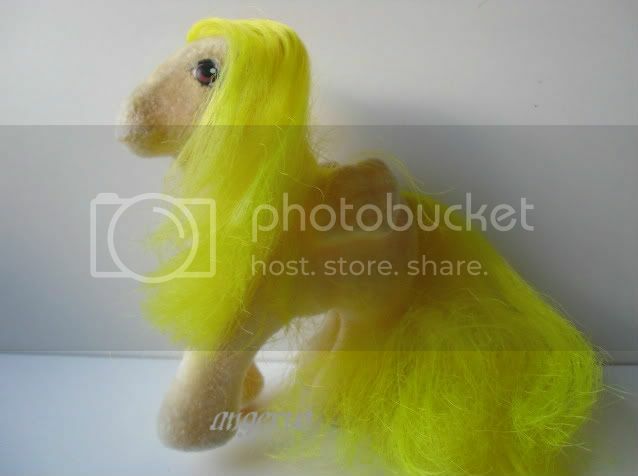 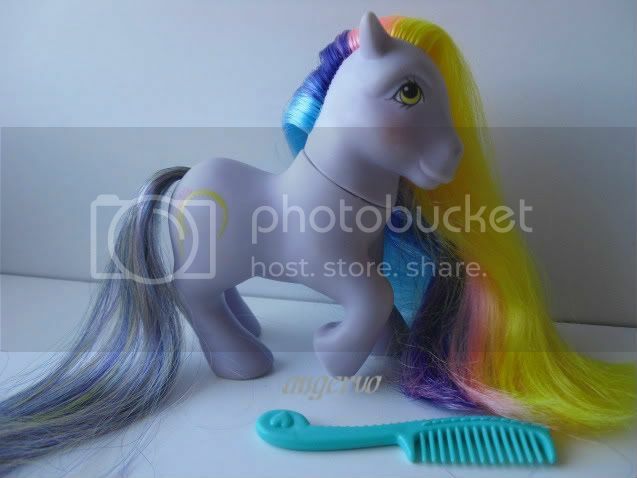 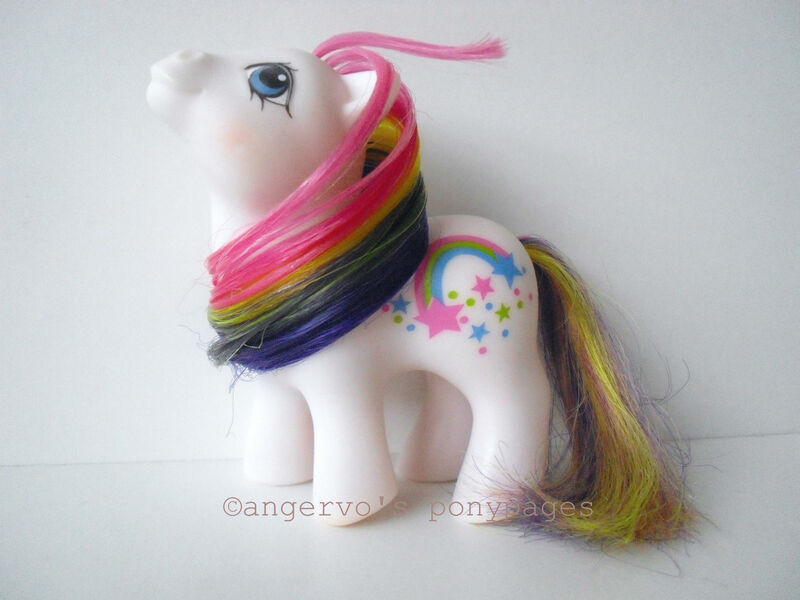 I have arranged them by alphabetical order and added a picture in to the line if I have had that pony. 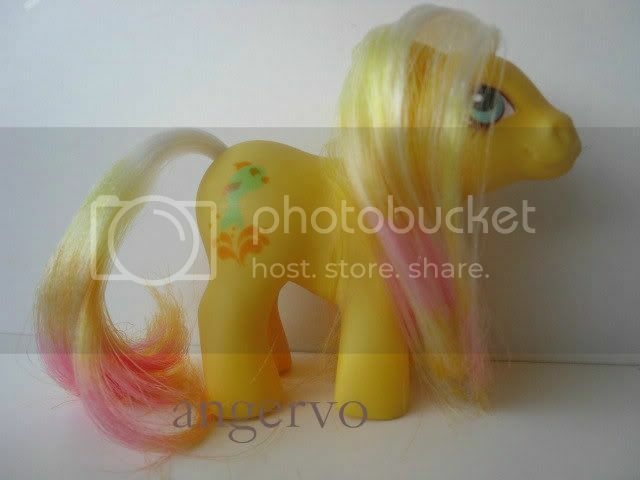 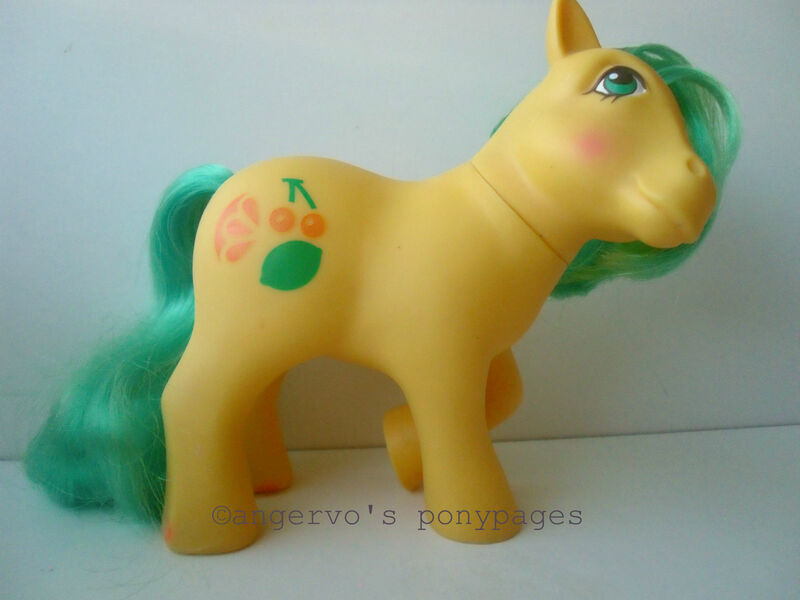 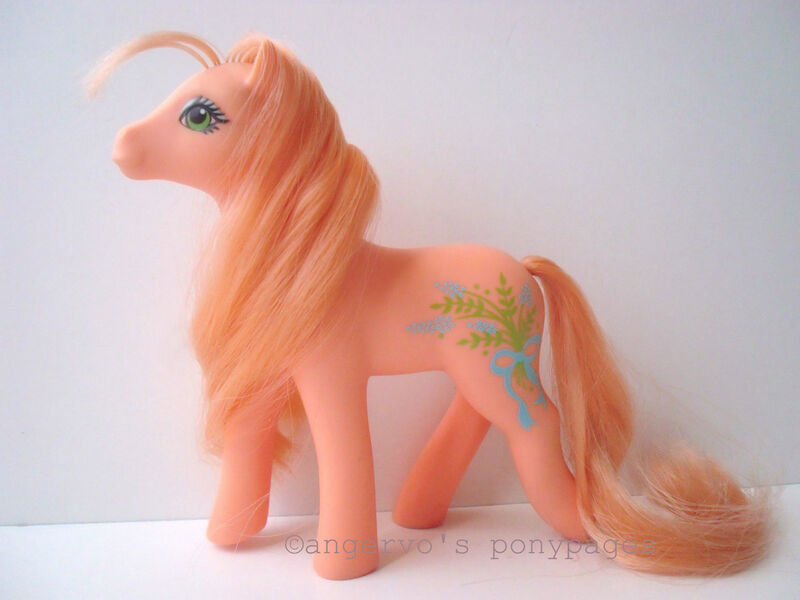 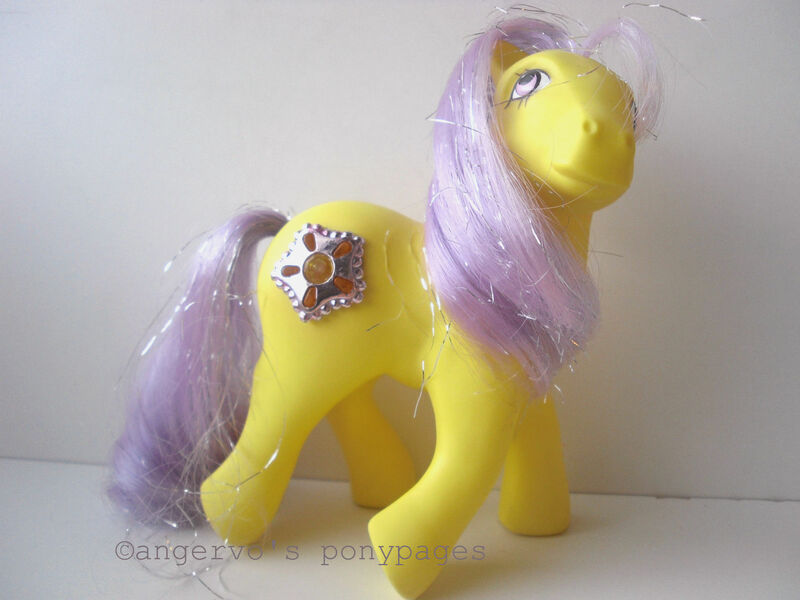 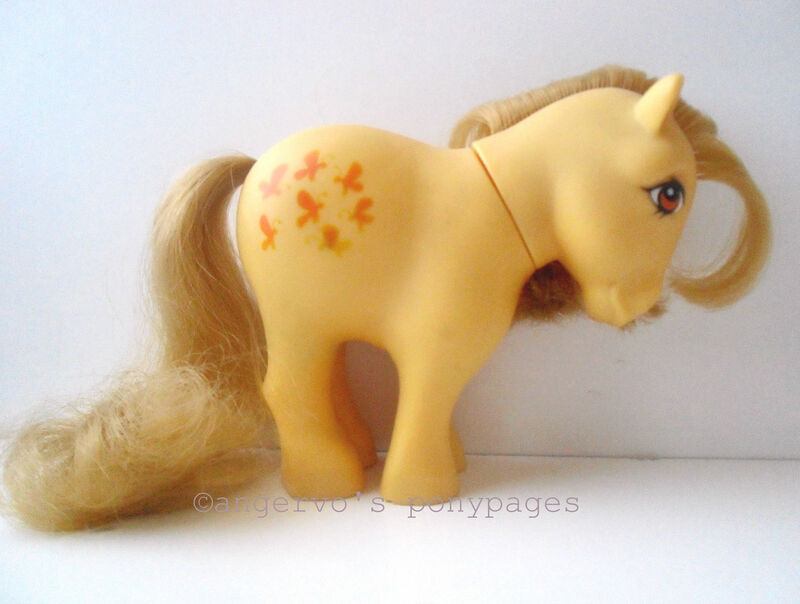 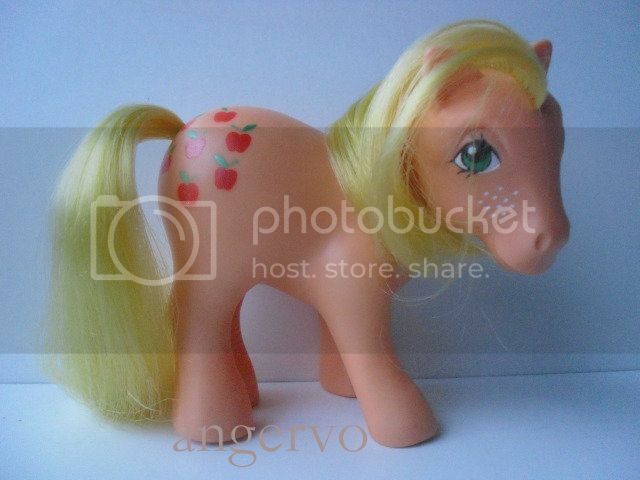 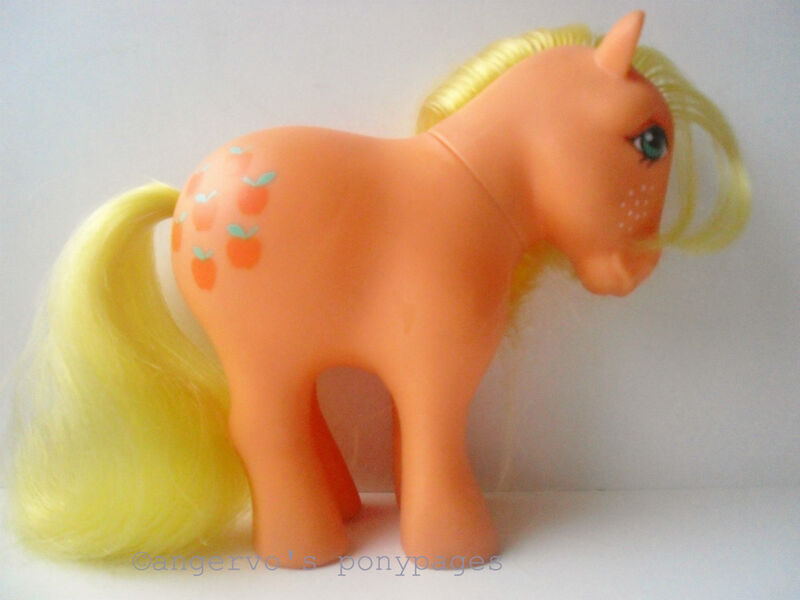 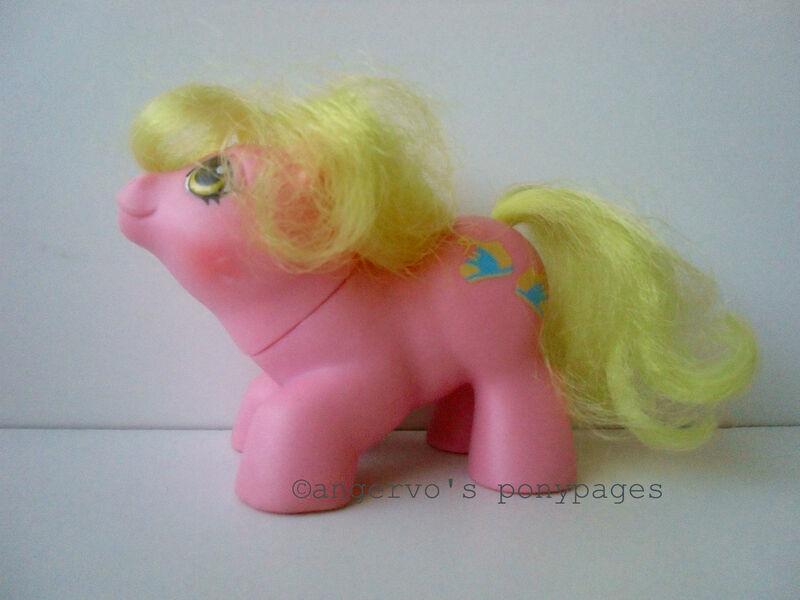 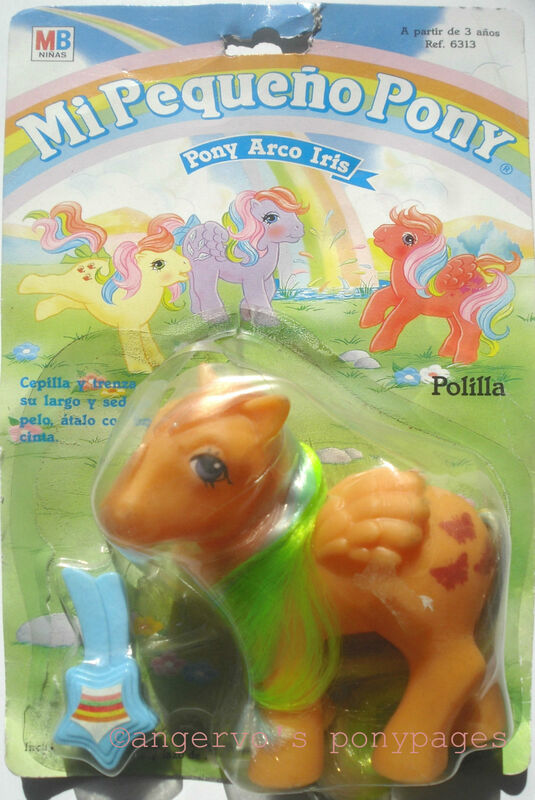 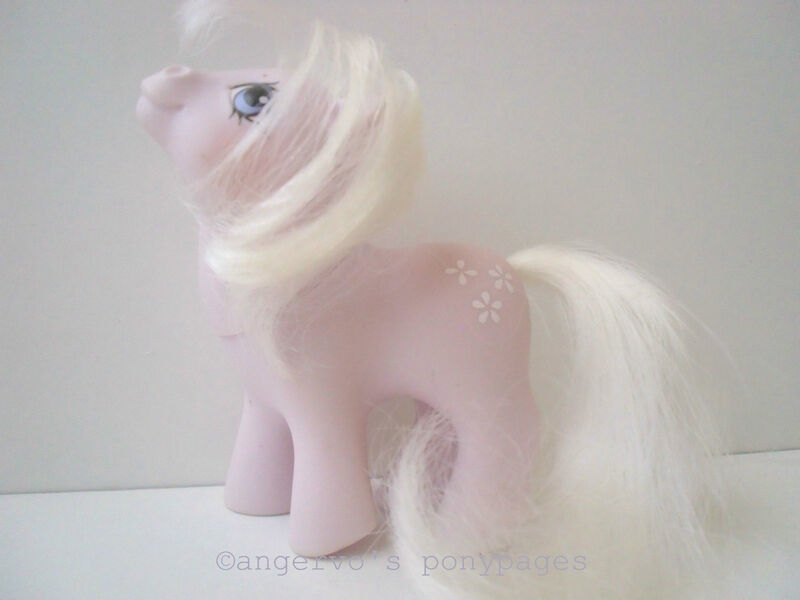 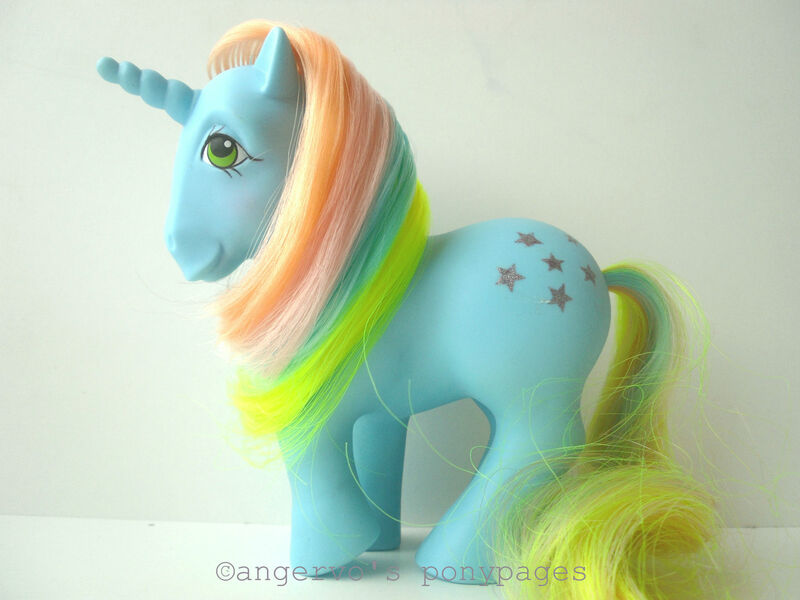 Applejack - G1 Spanish/No Country CP-Ponies ("Manzanitas") SP? 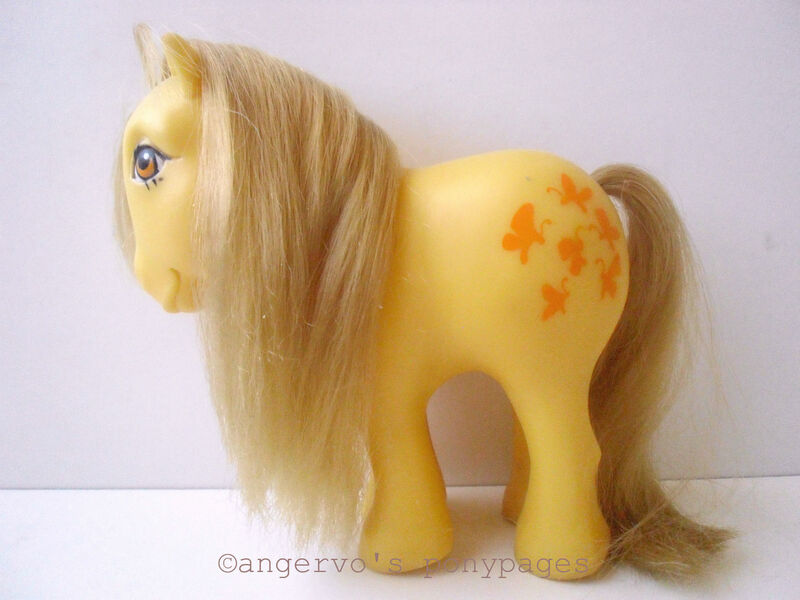 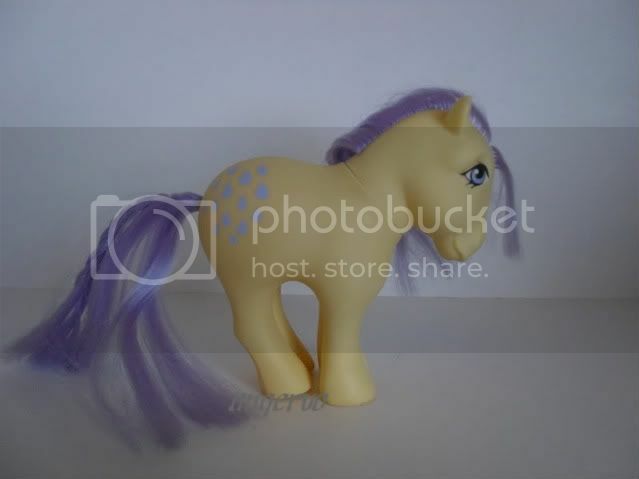 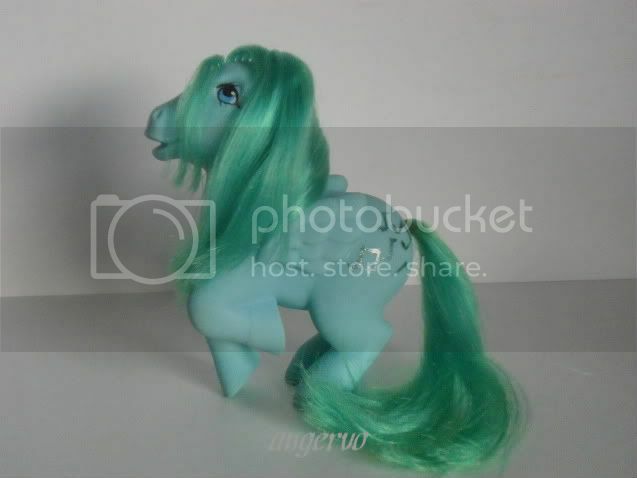 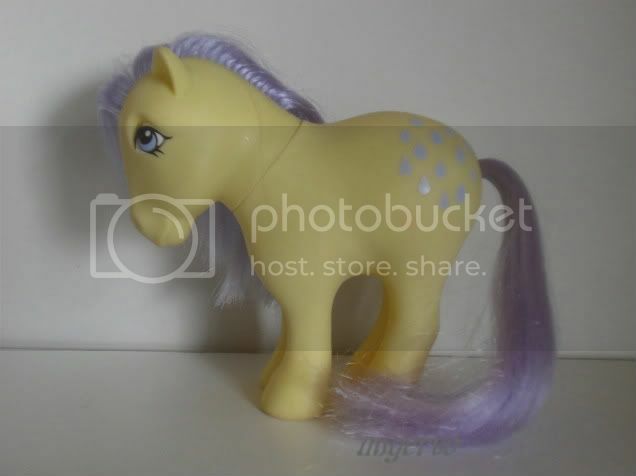 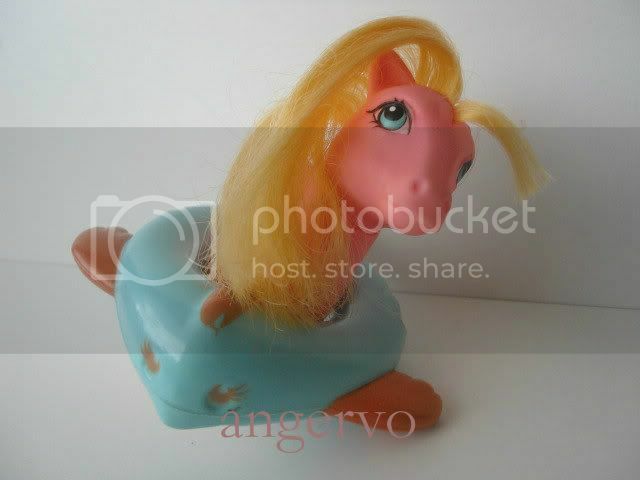 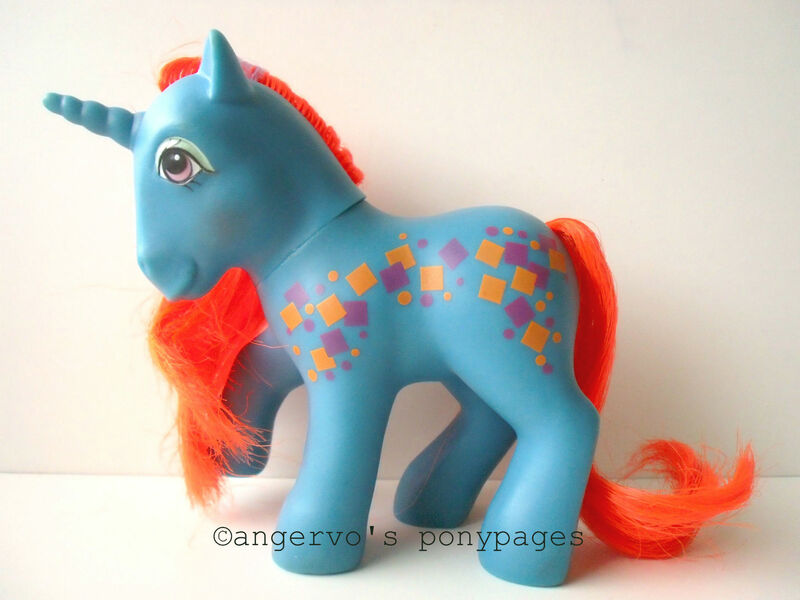 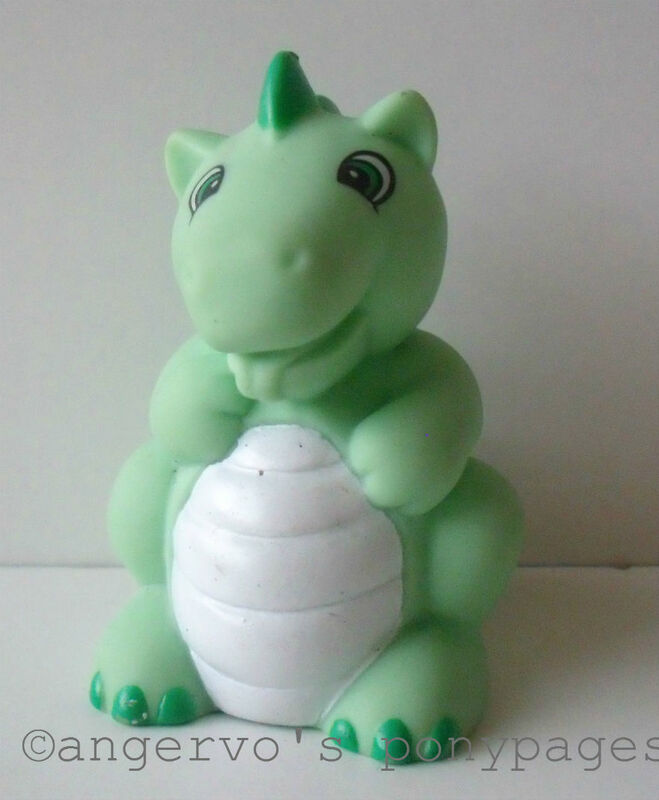 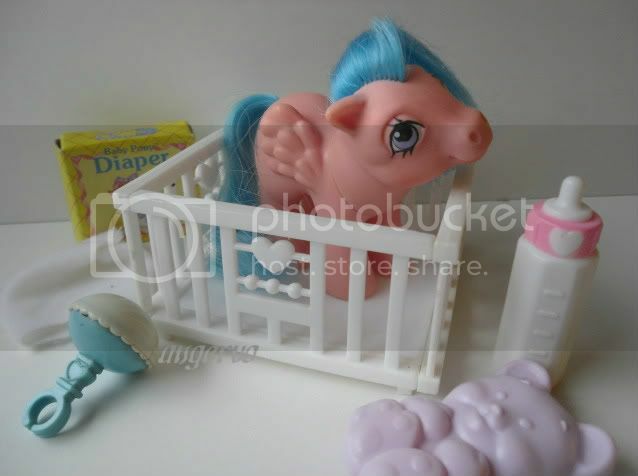 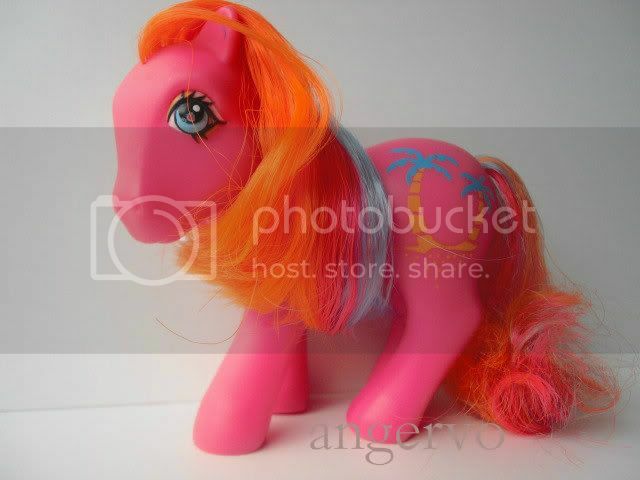 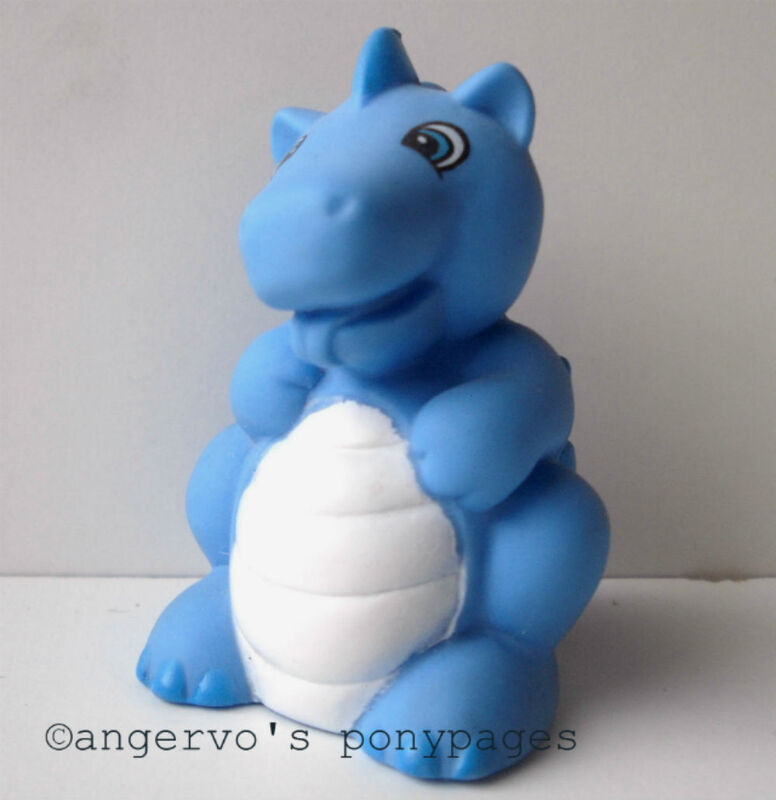 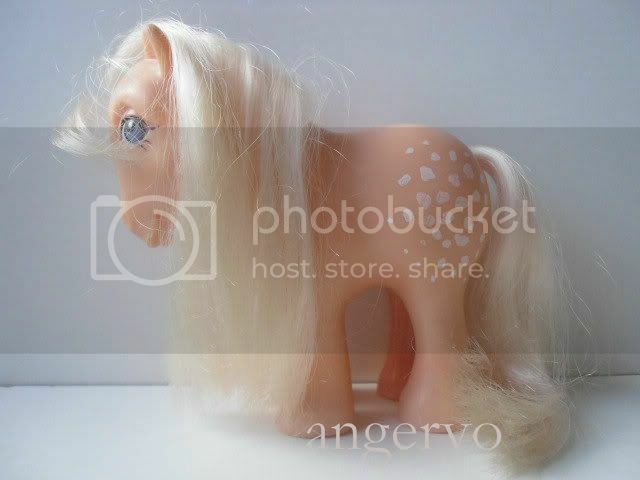 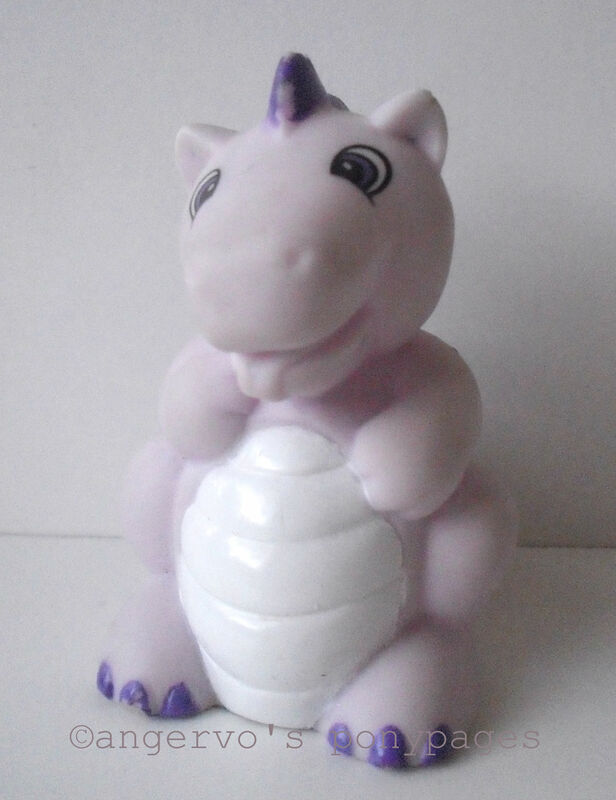 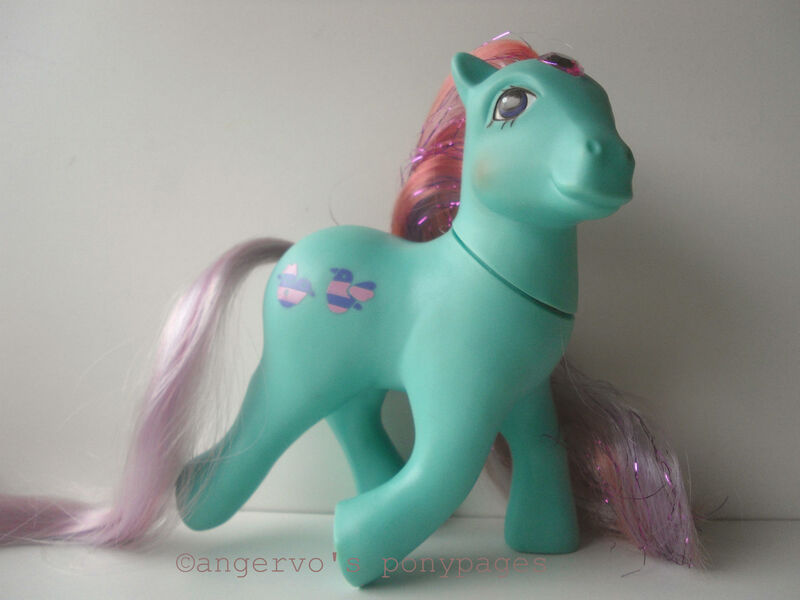 Baby Ember - check "Ember"
Hopscotch - G1 No Country Earth Ponies NC? 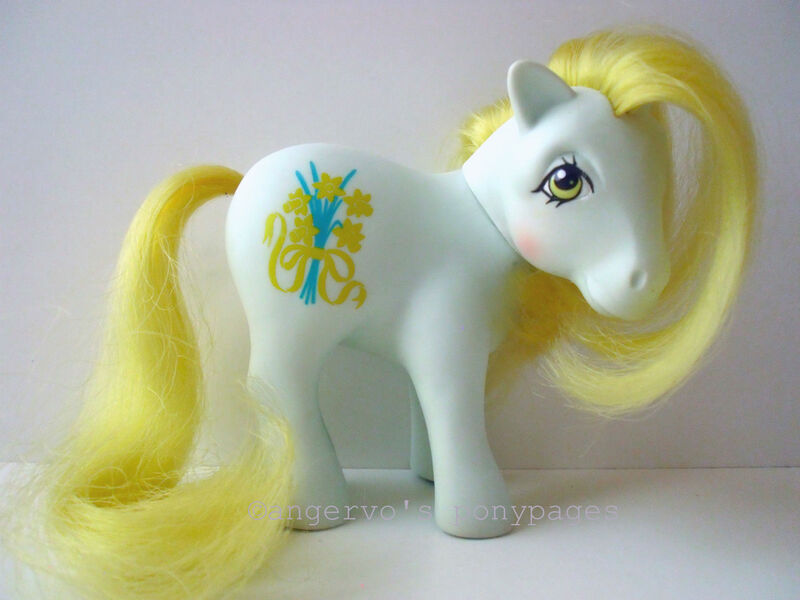 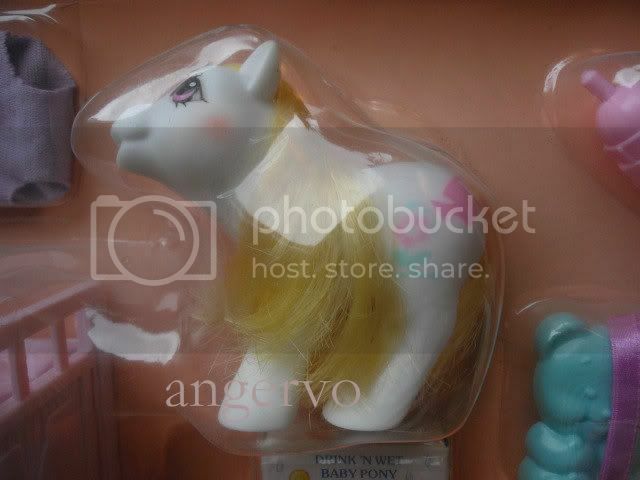 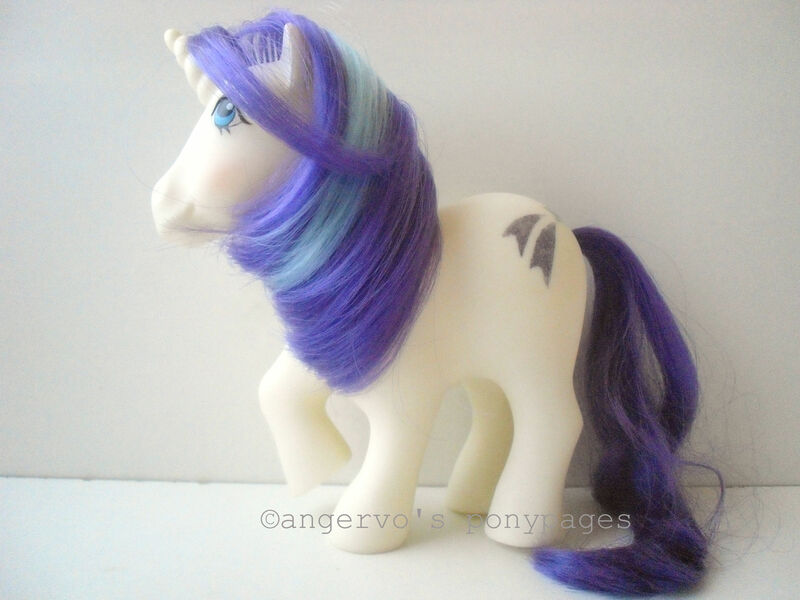 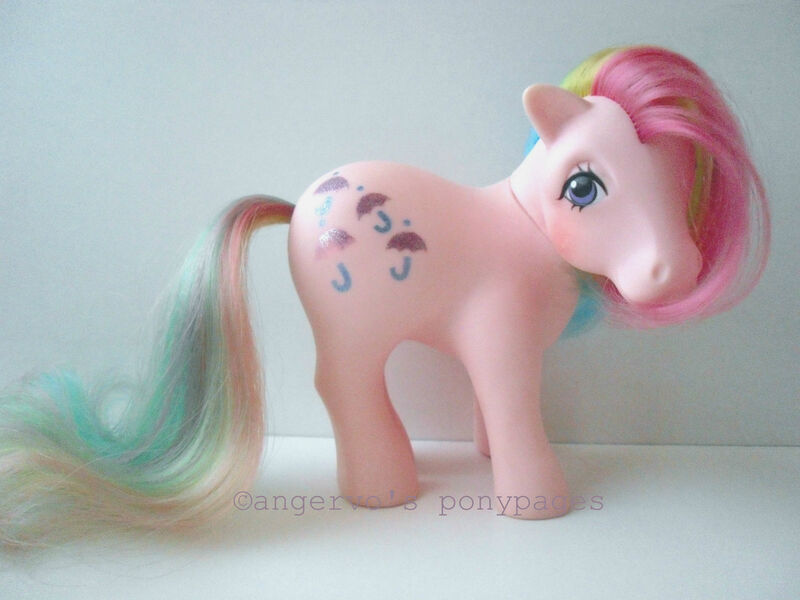 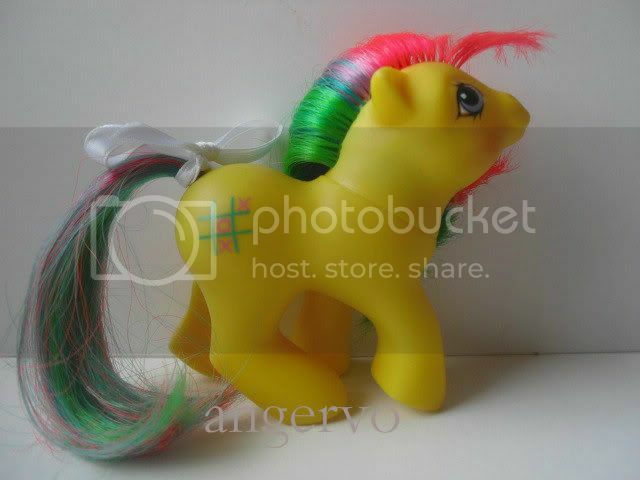 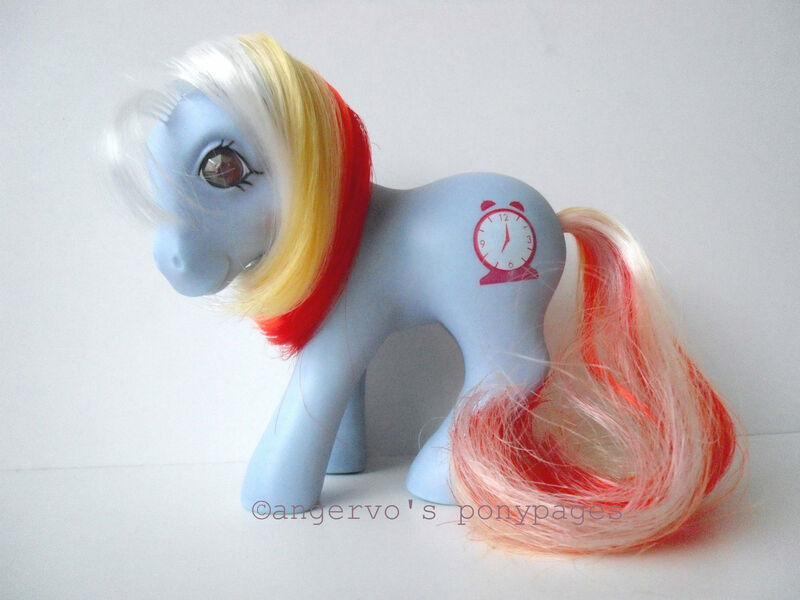 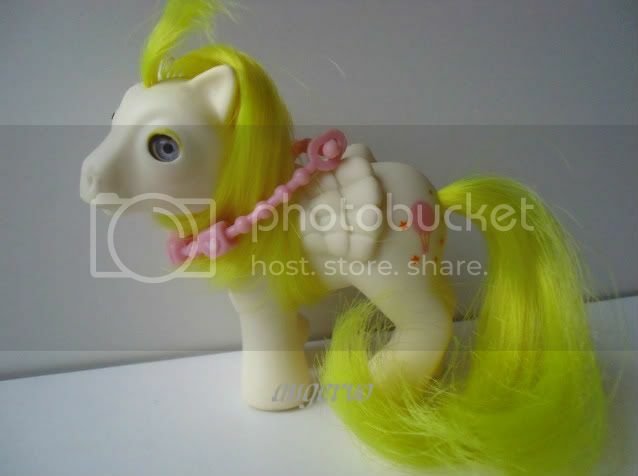 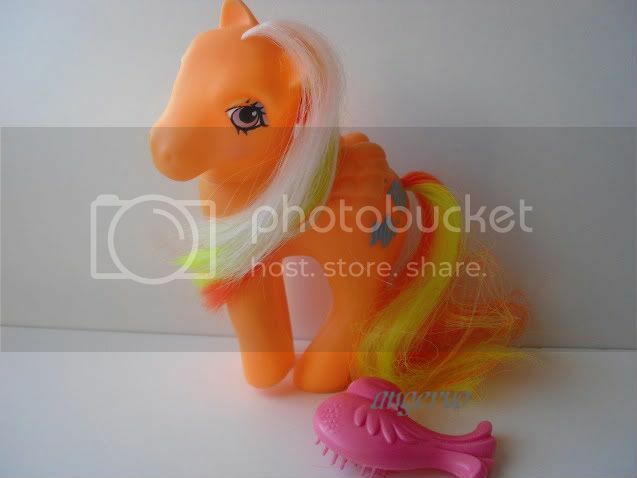 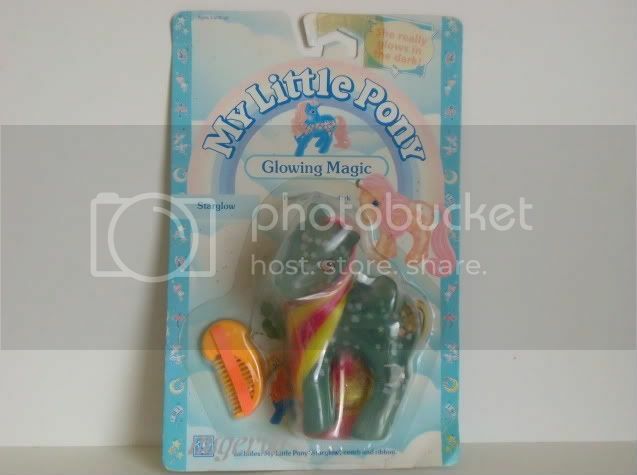 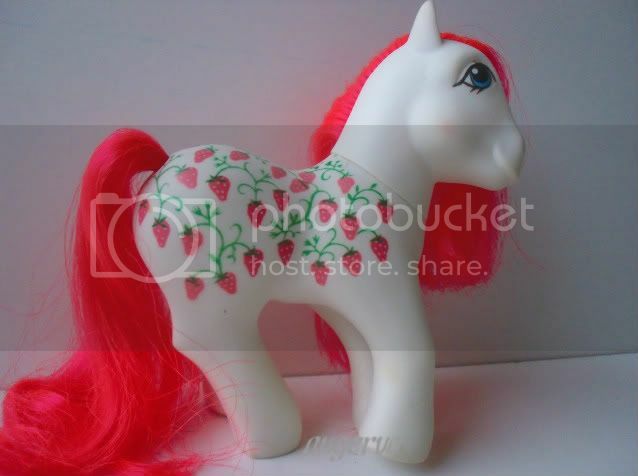 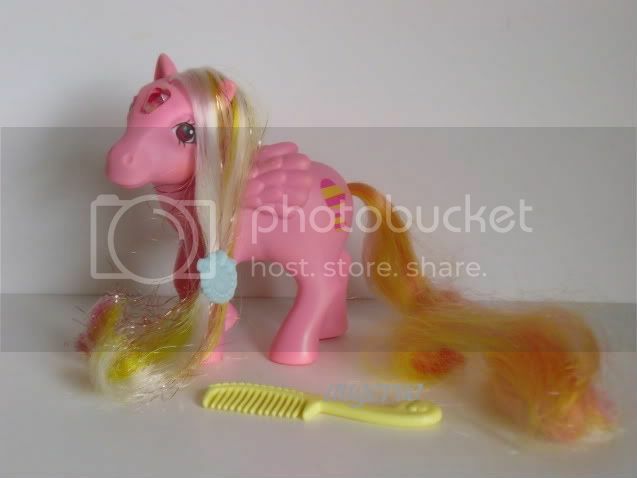 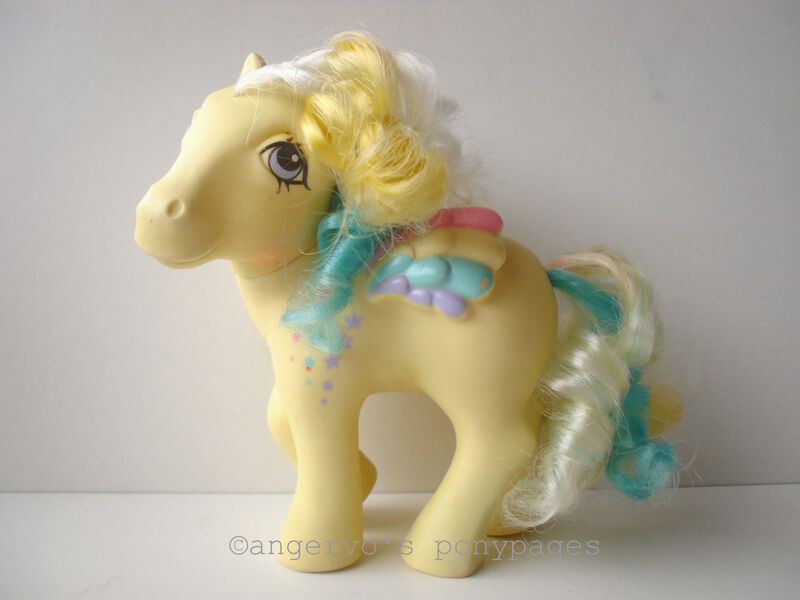 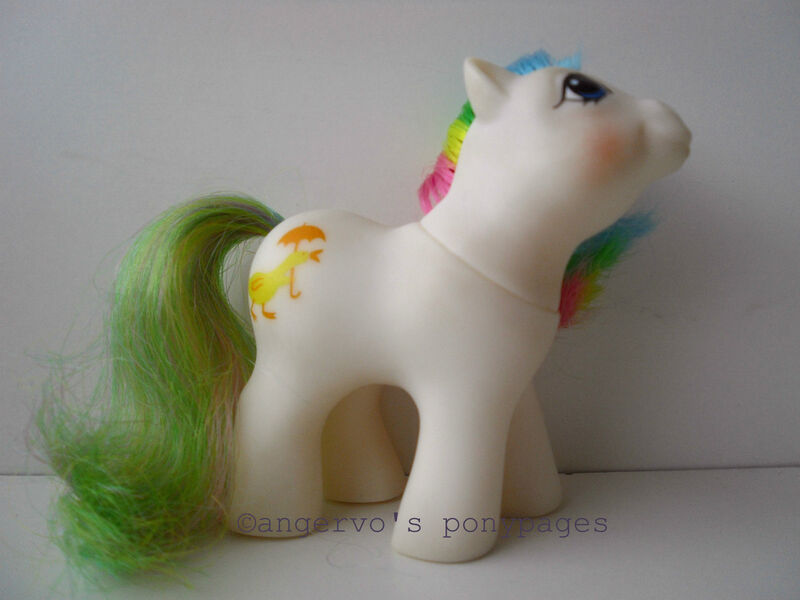 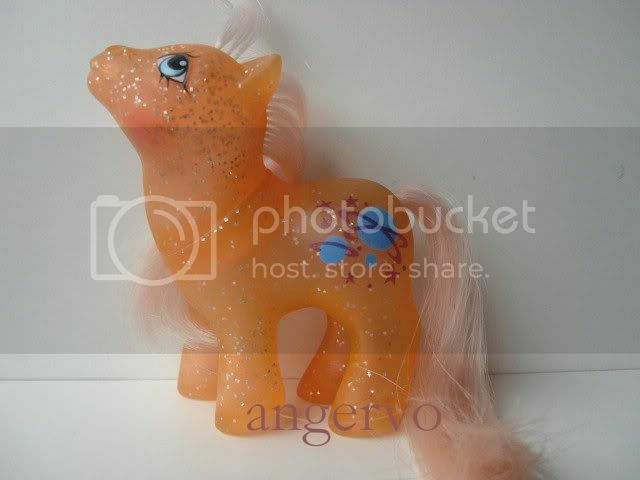 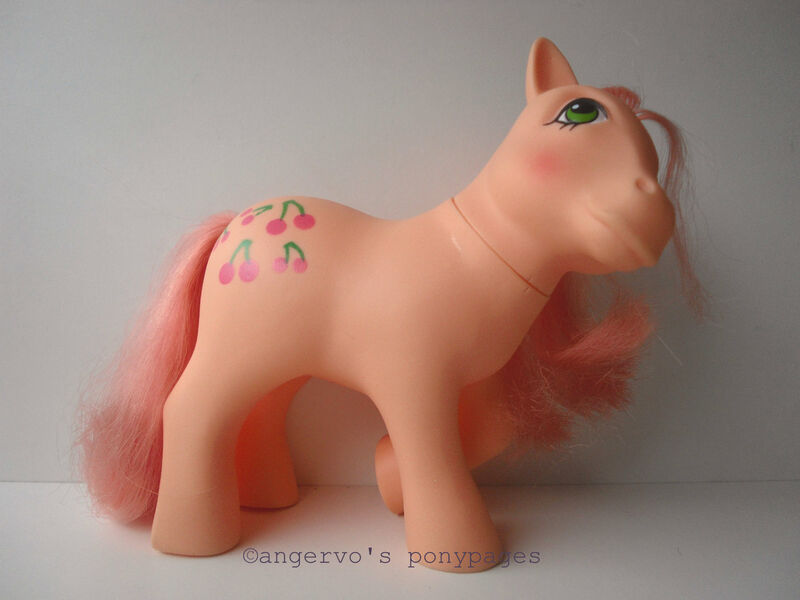 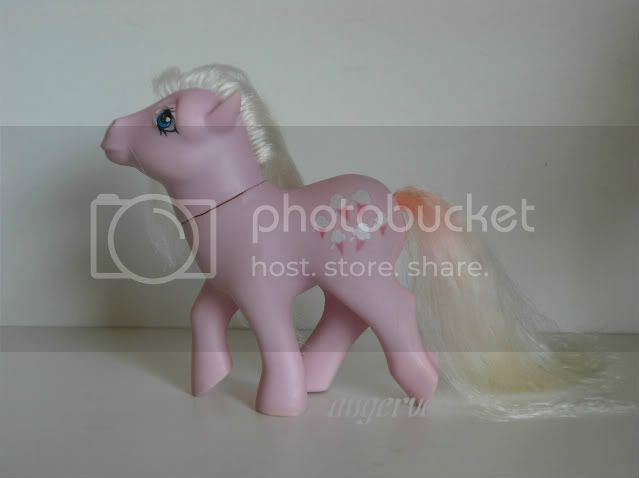 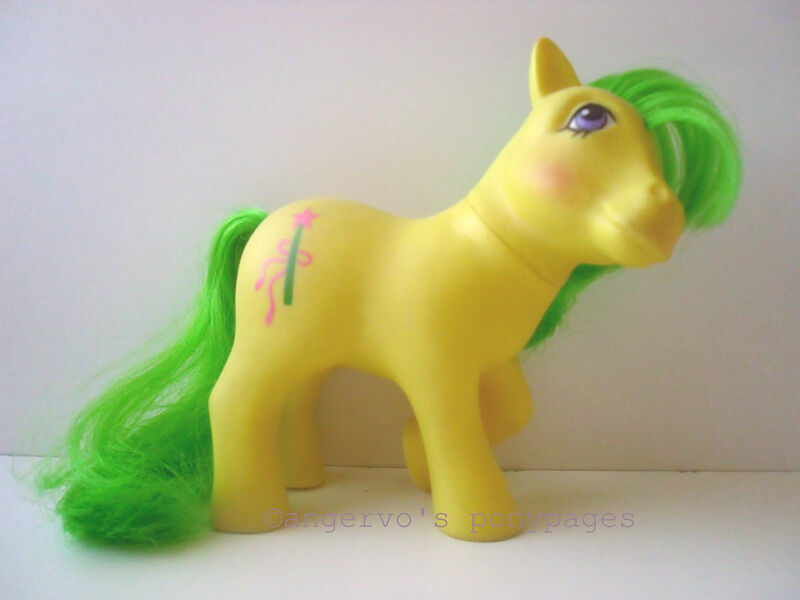 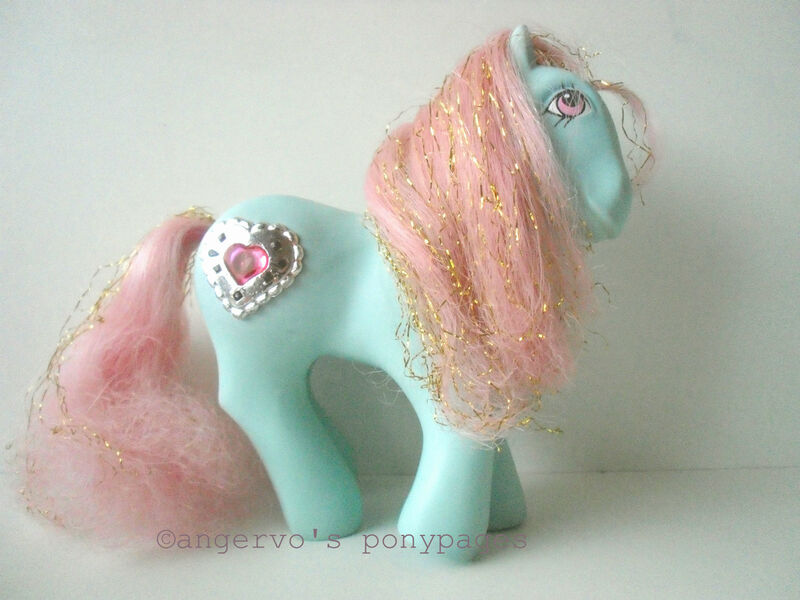 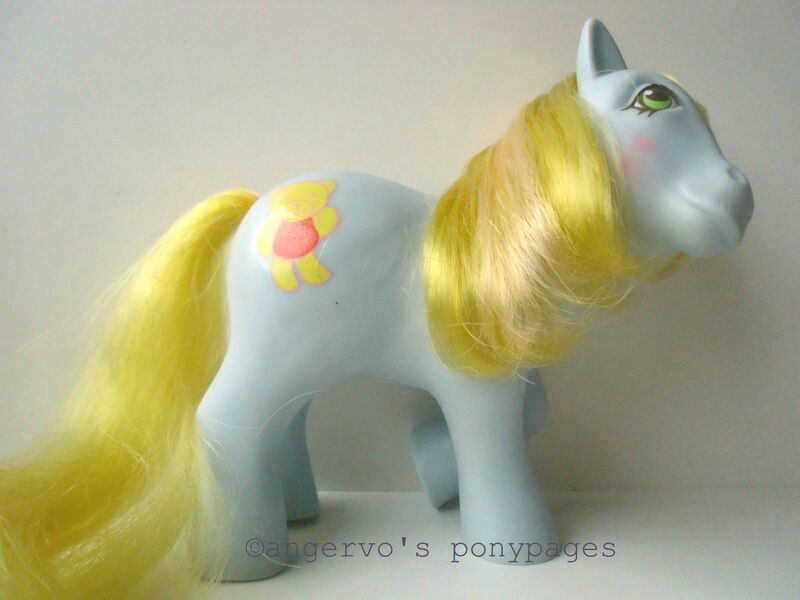 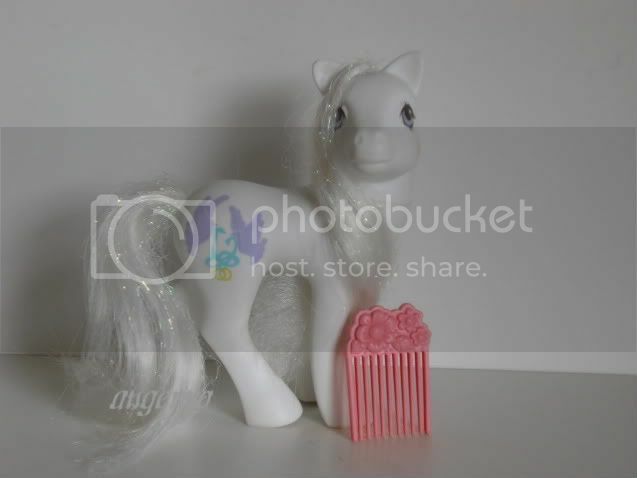 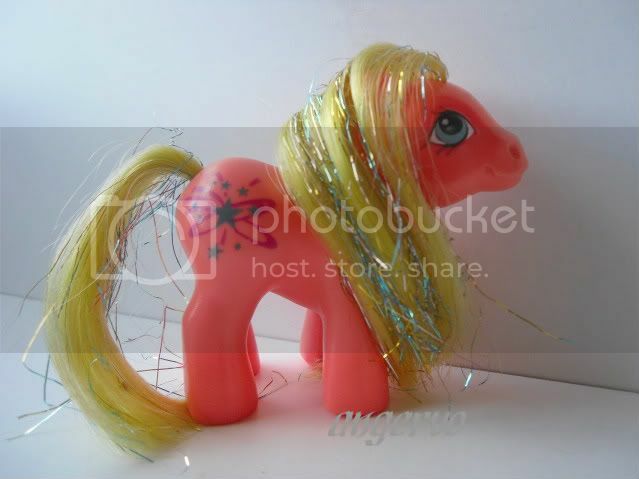 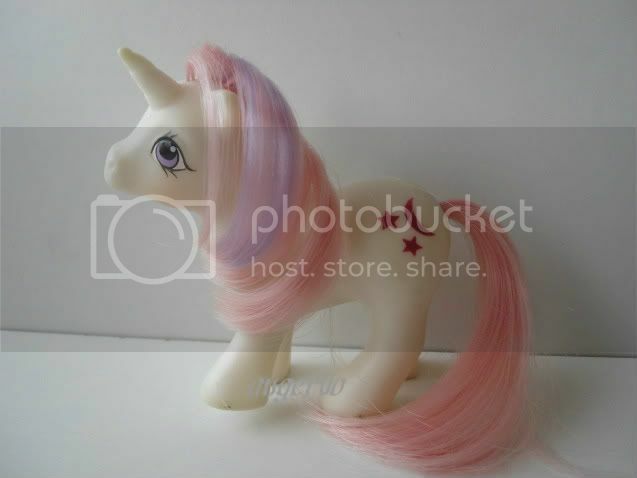 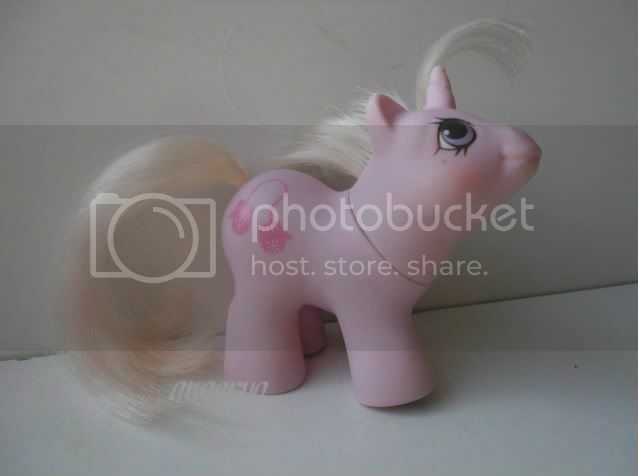 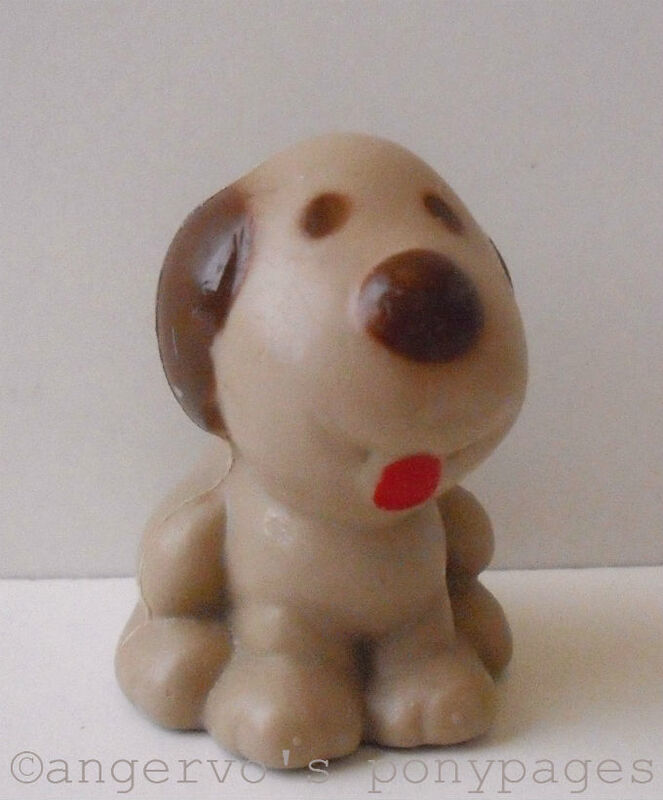 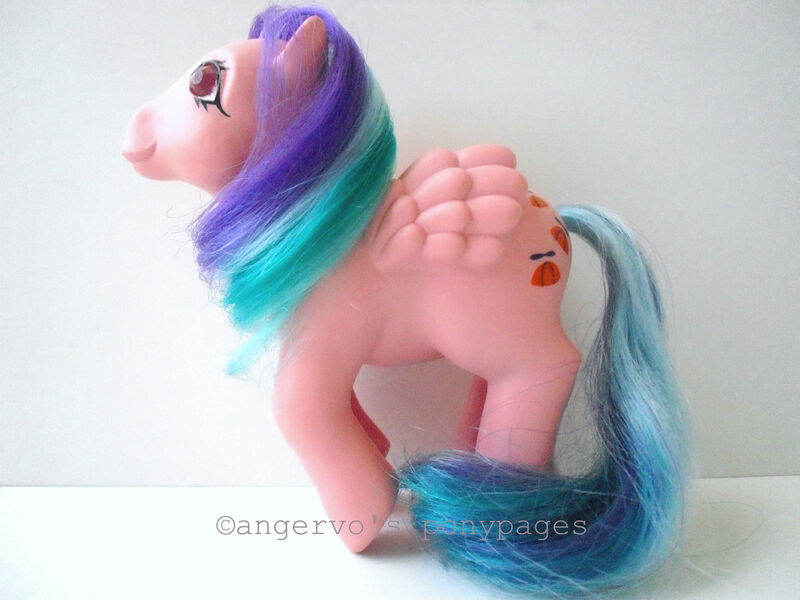 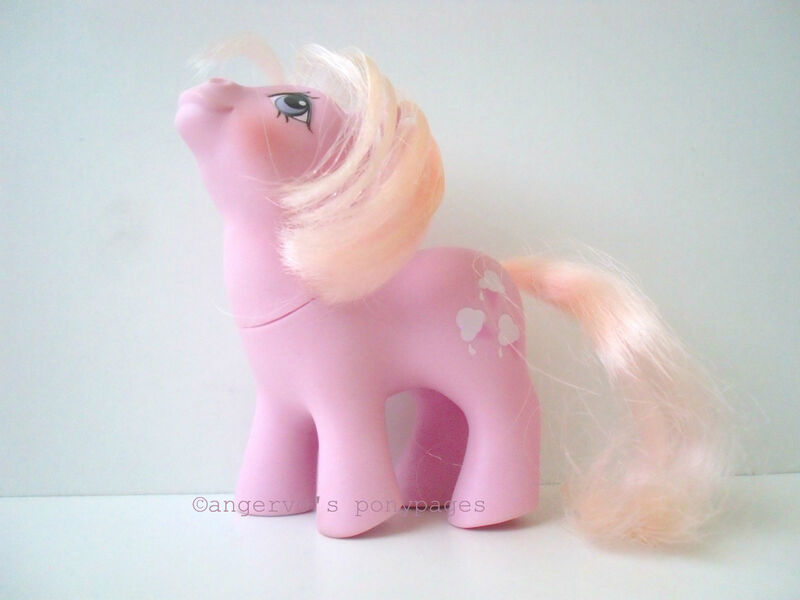 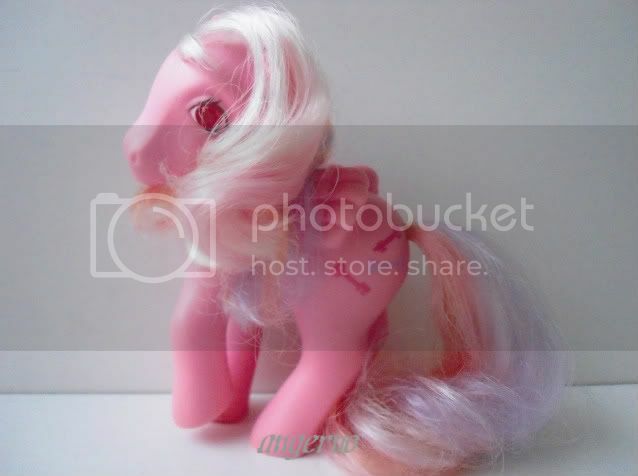 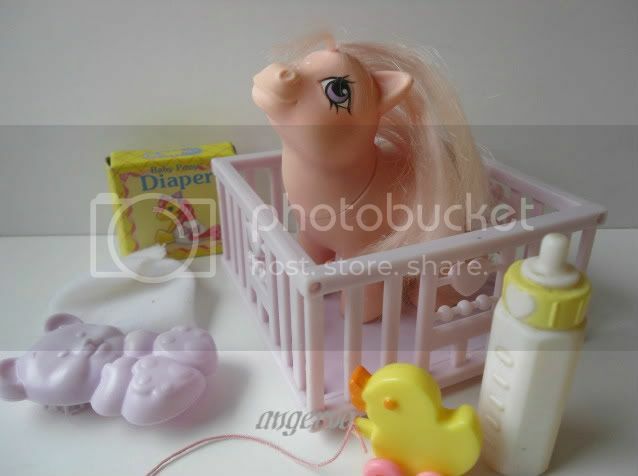 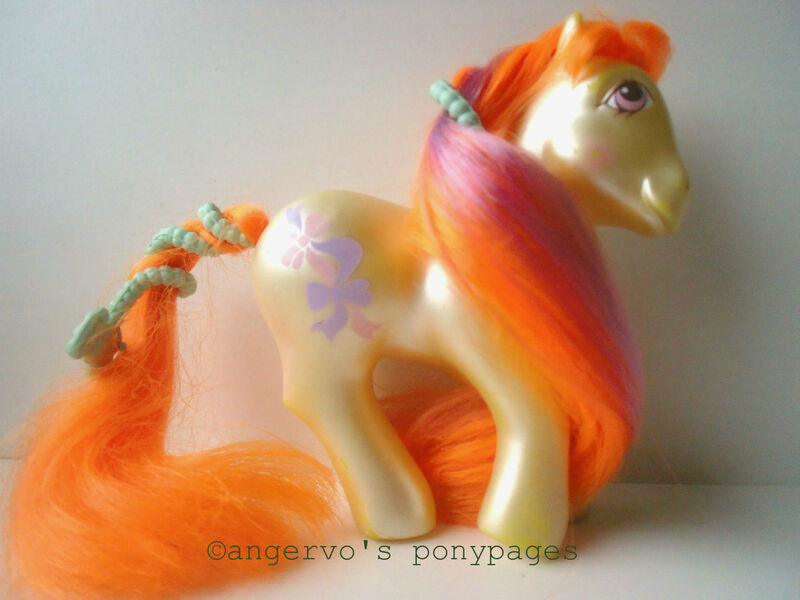 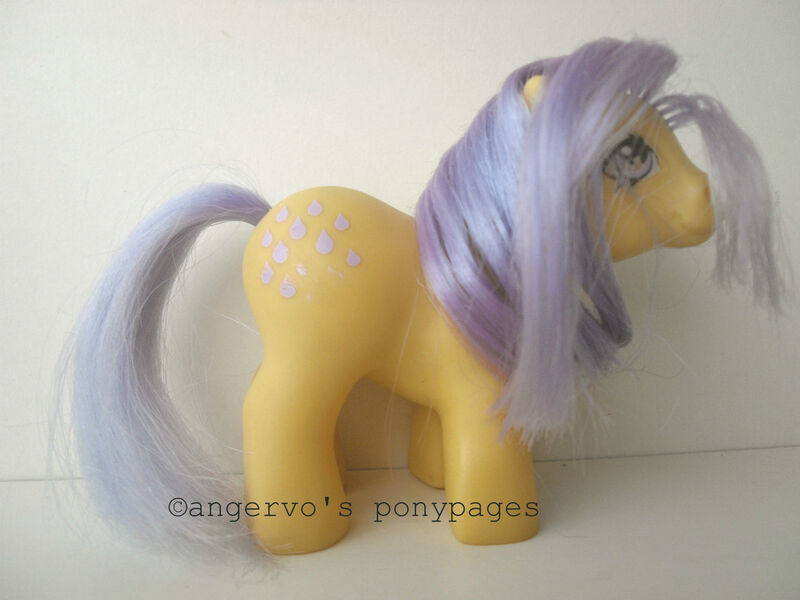 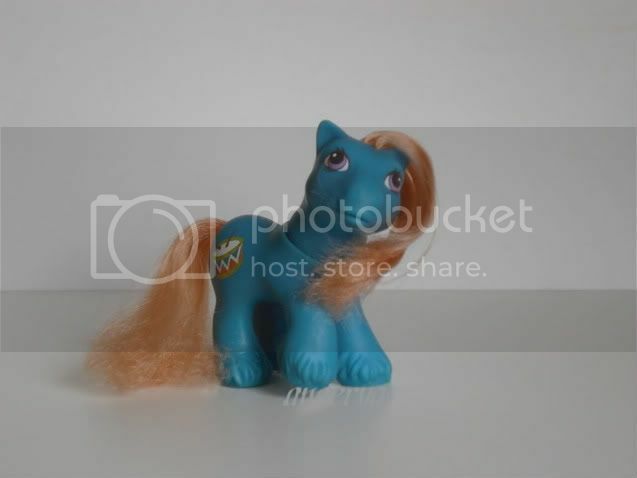 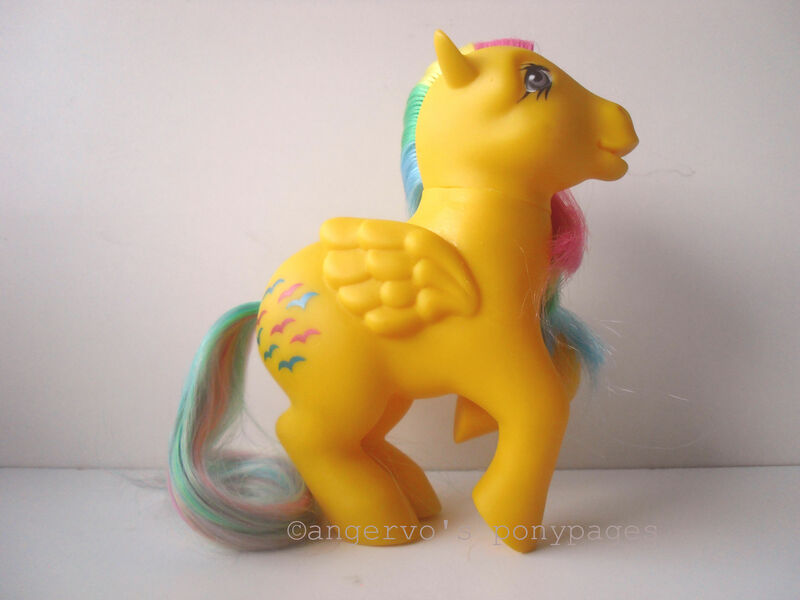 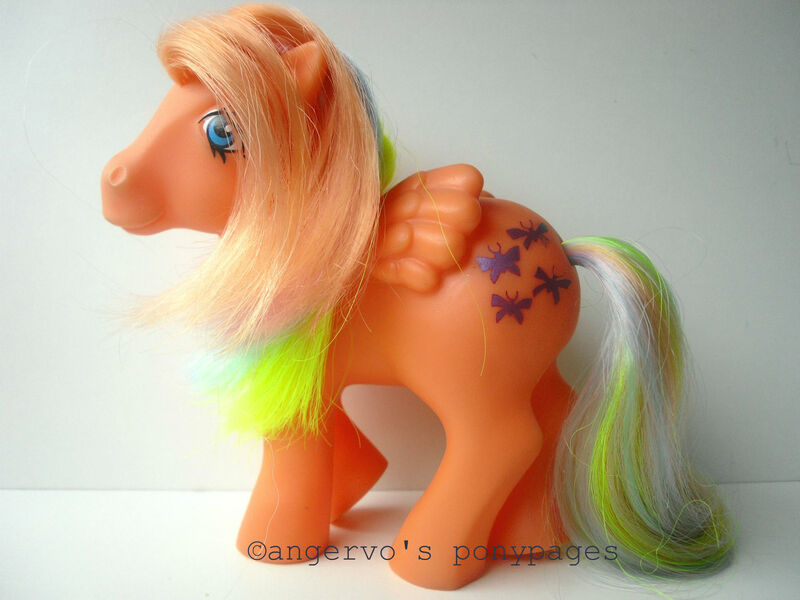 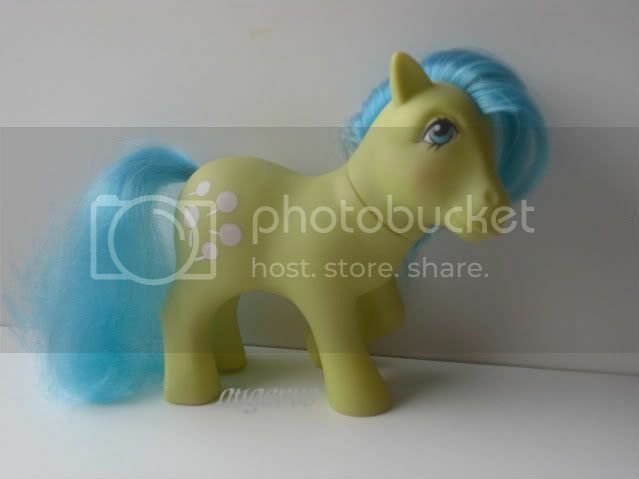 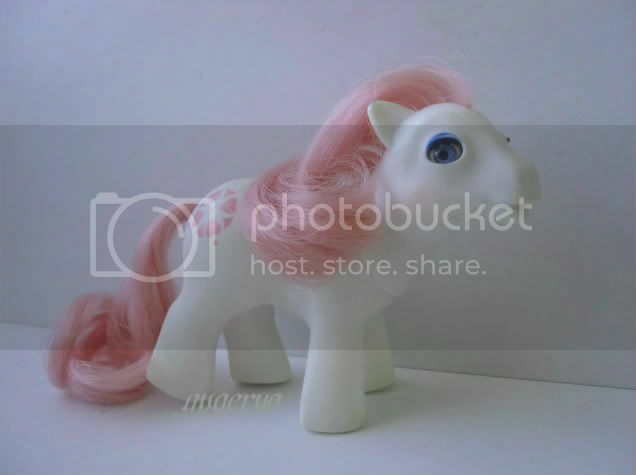 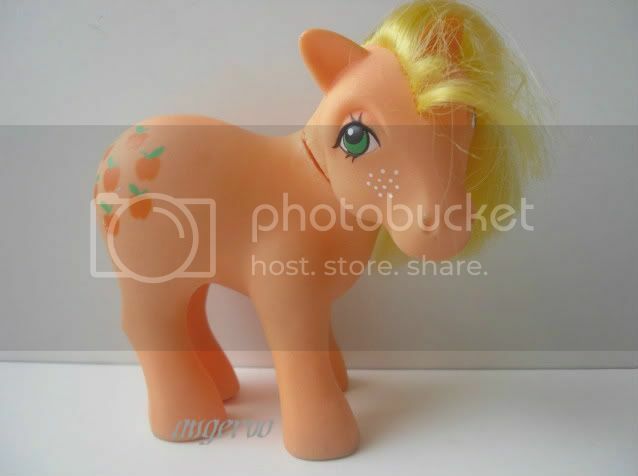 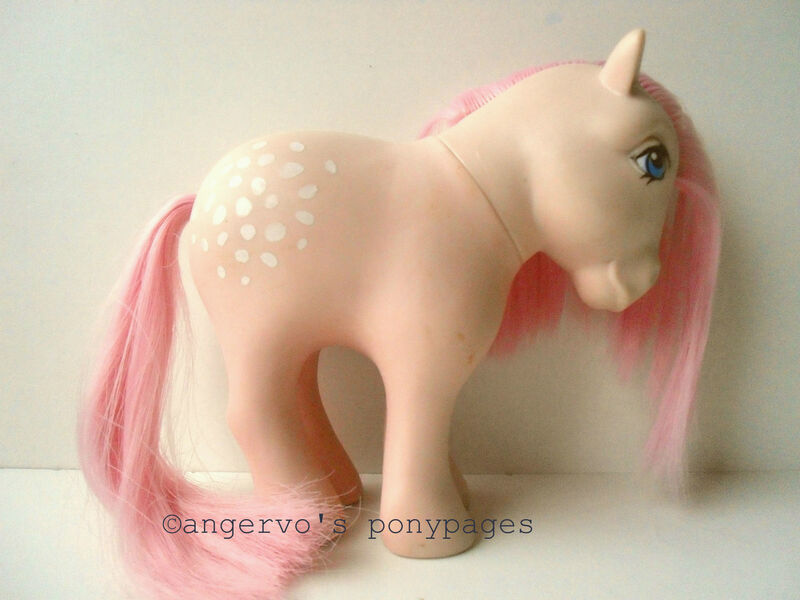 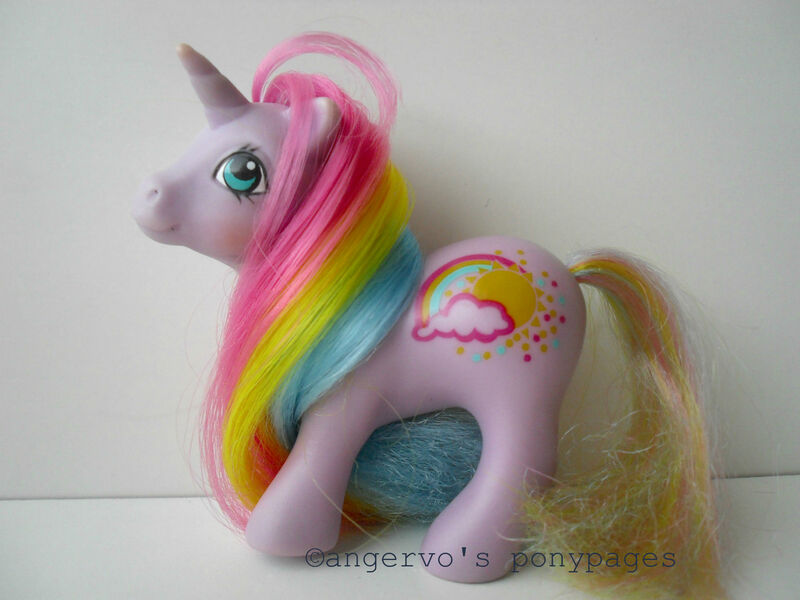 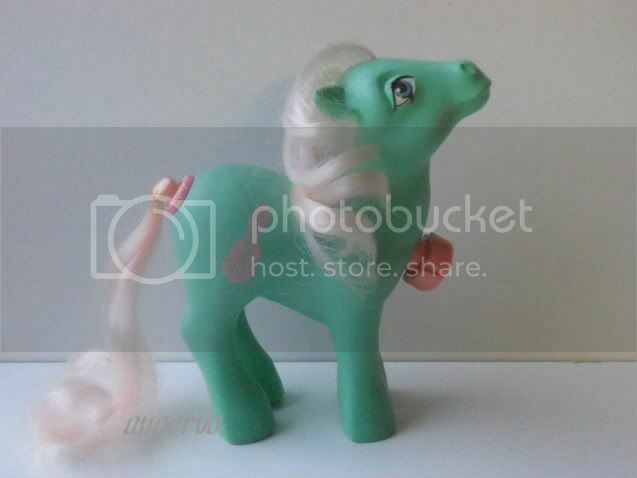 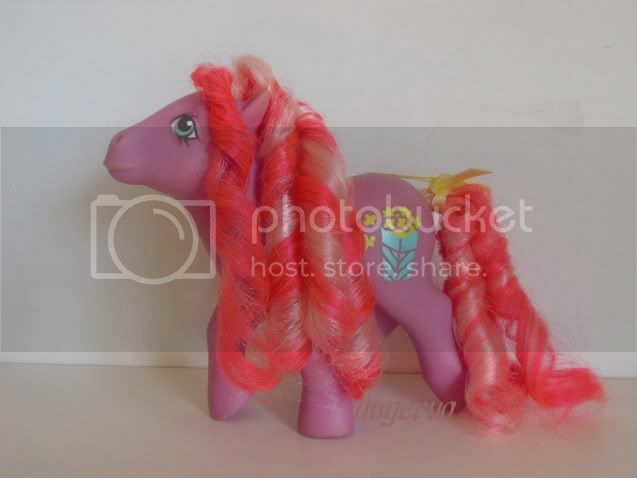 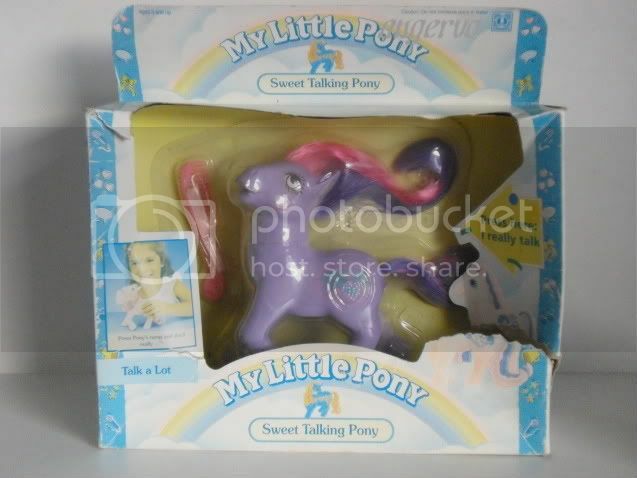 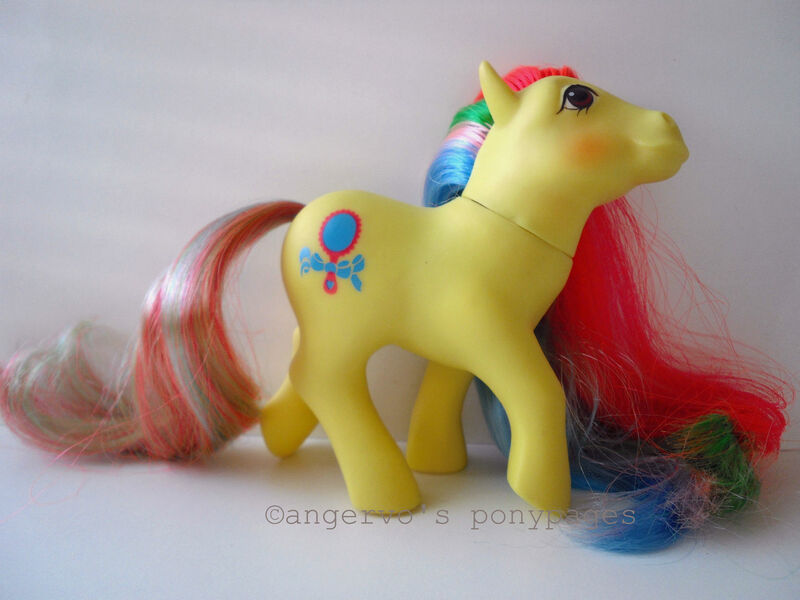 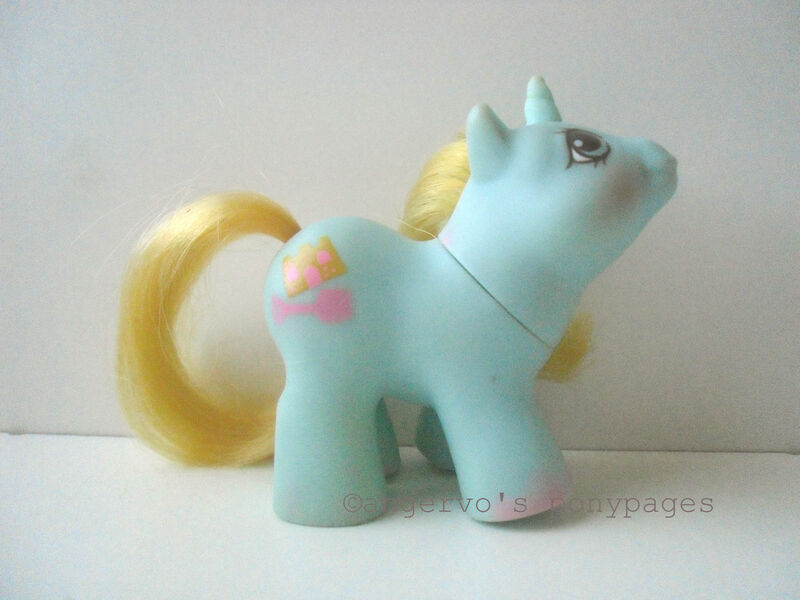 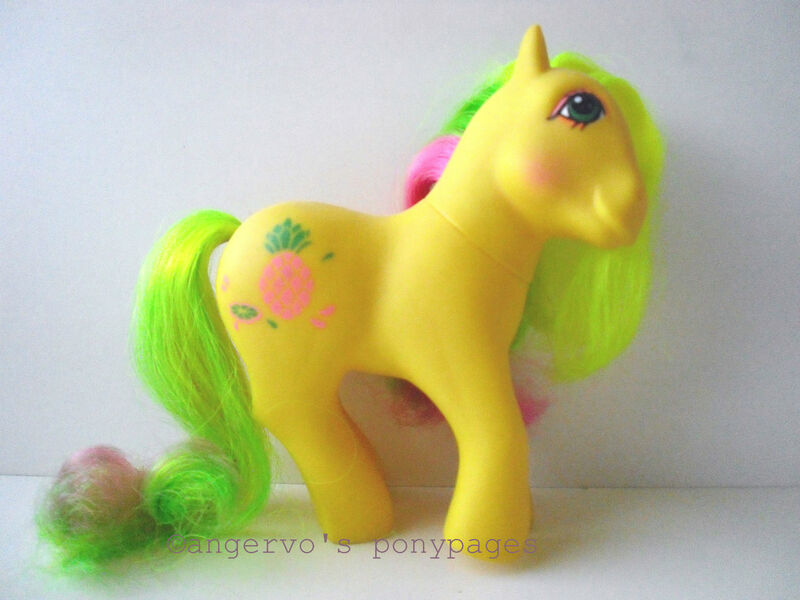 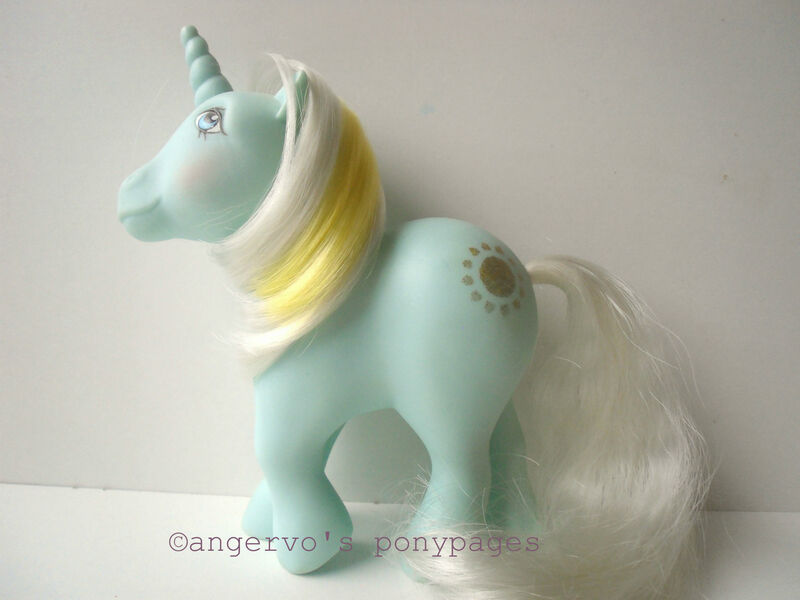 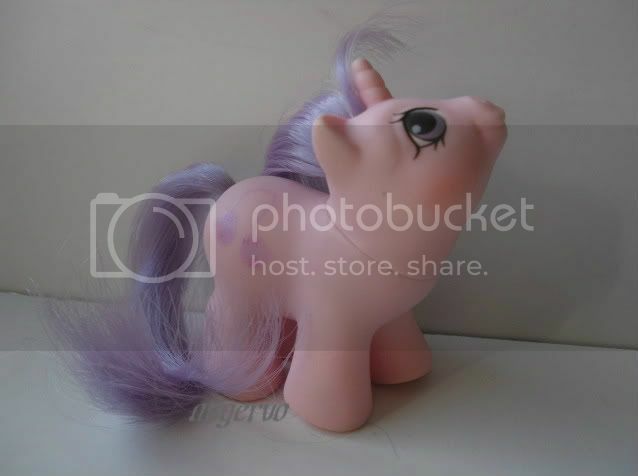 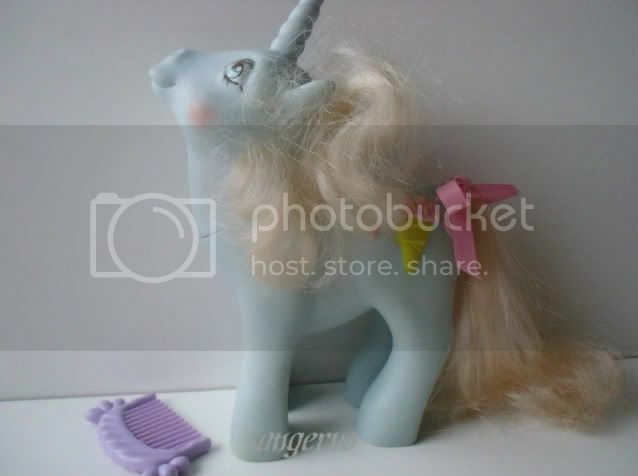 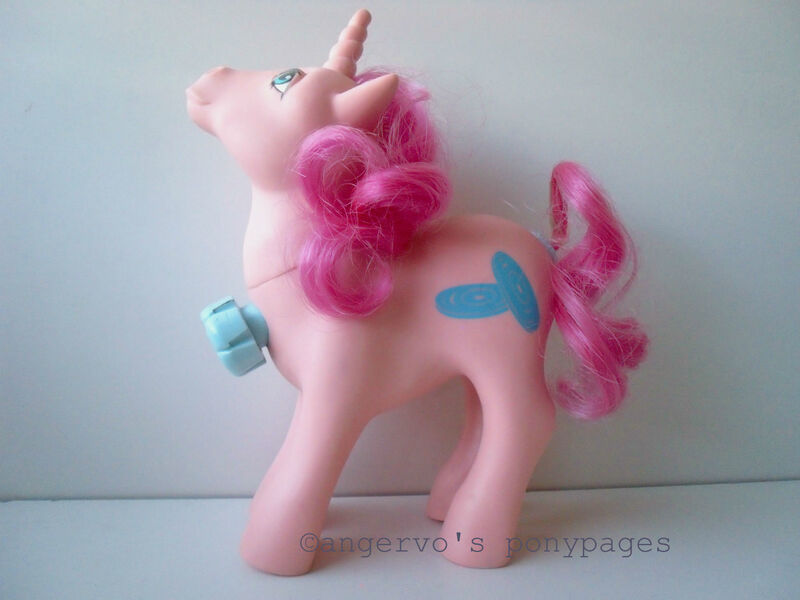 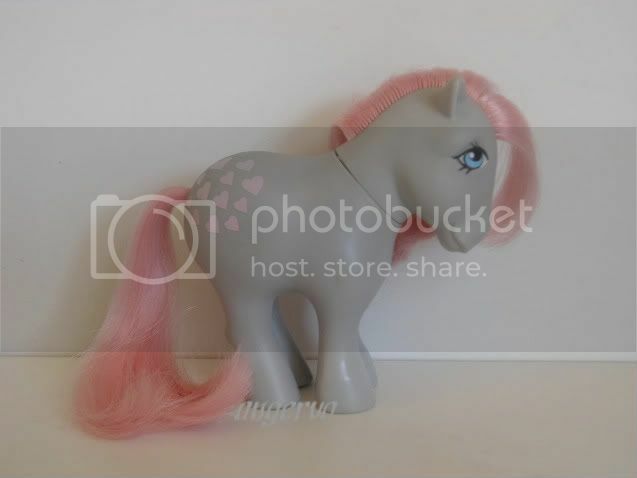 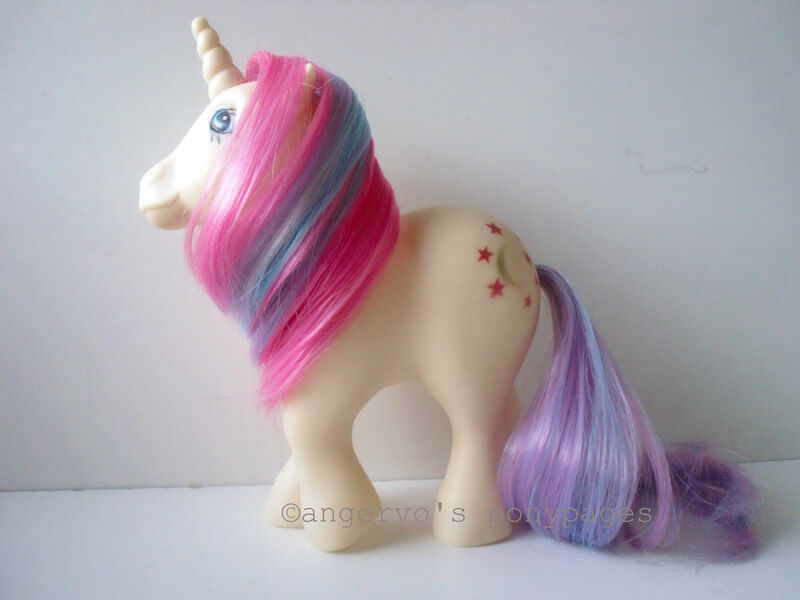 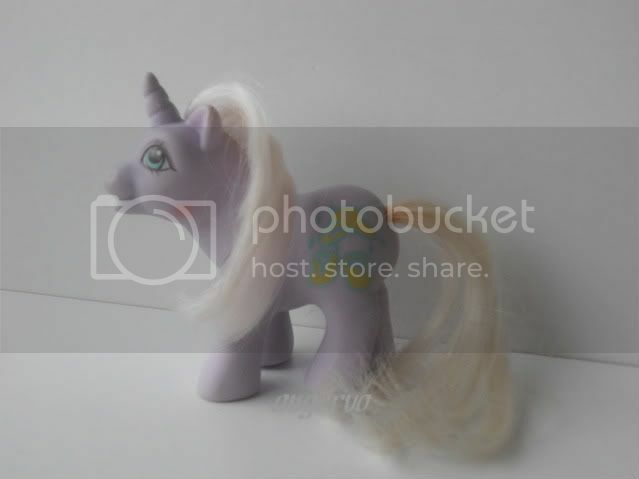 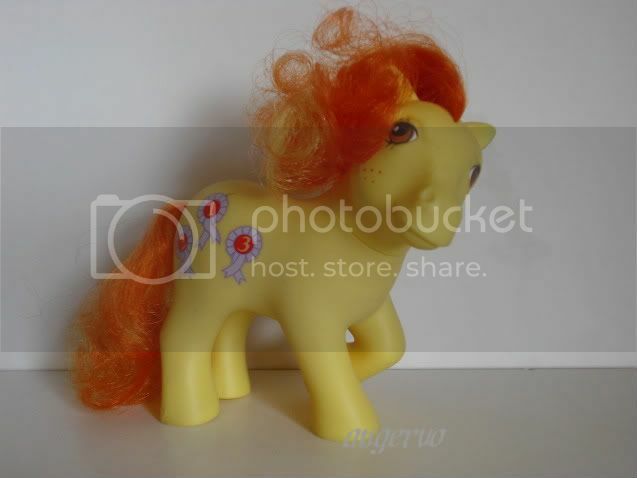 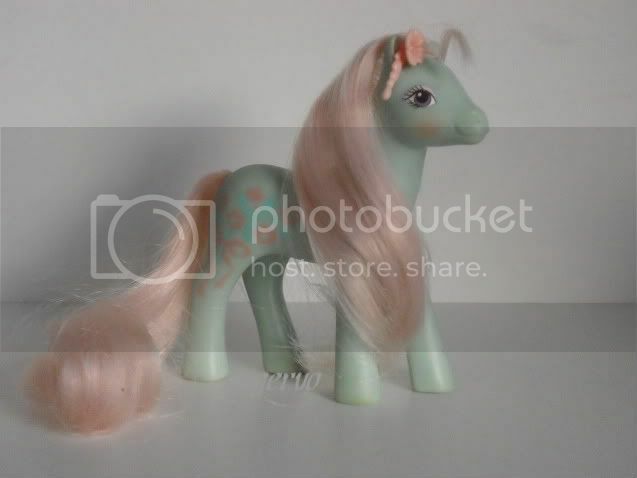 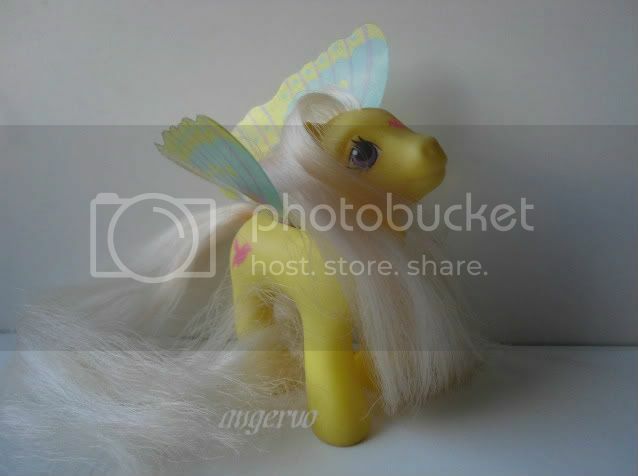 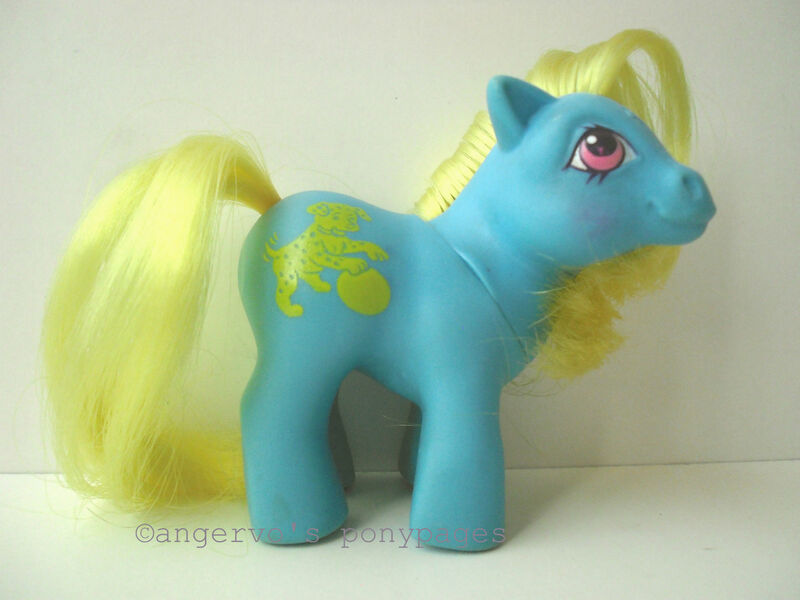 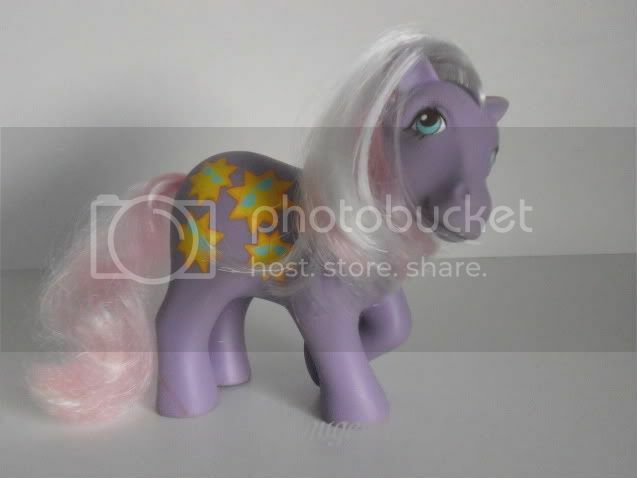 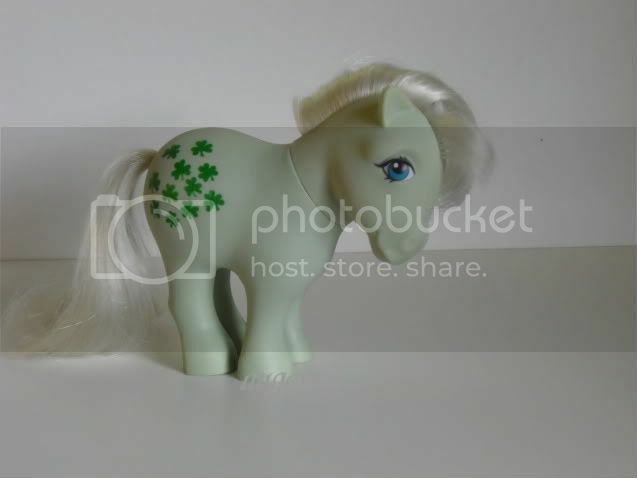 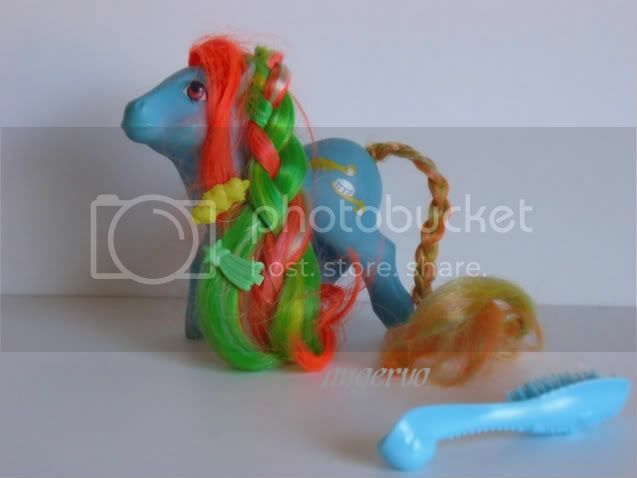 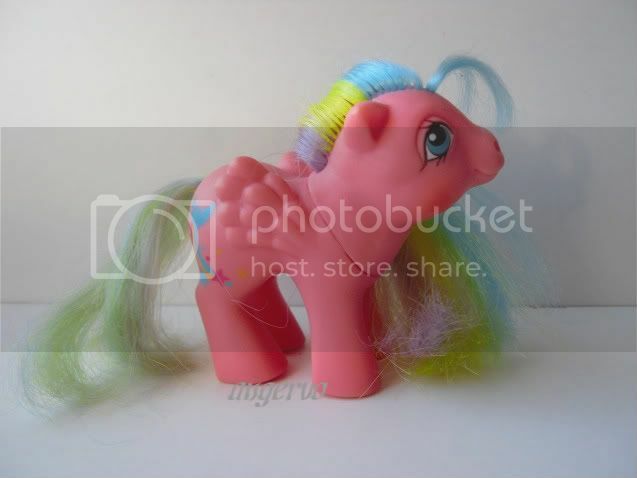 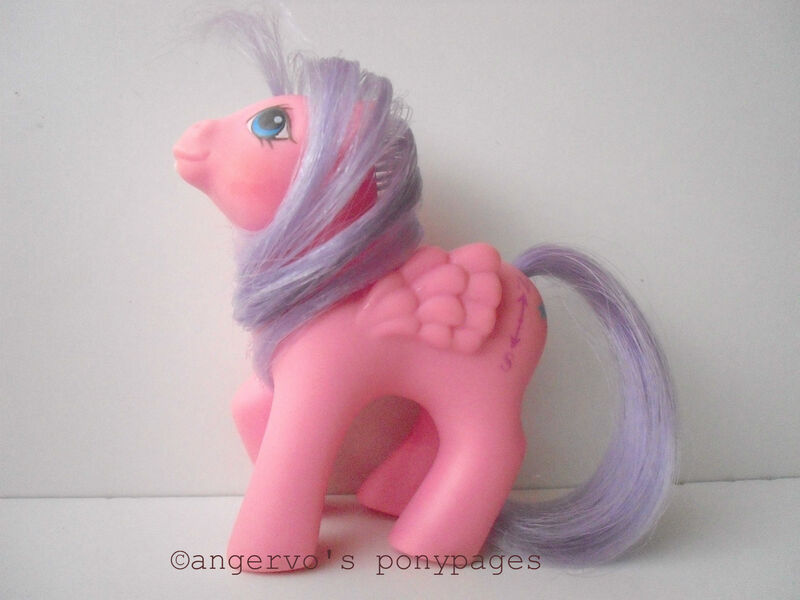 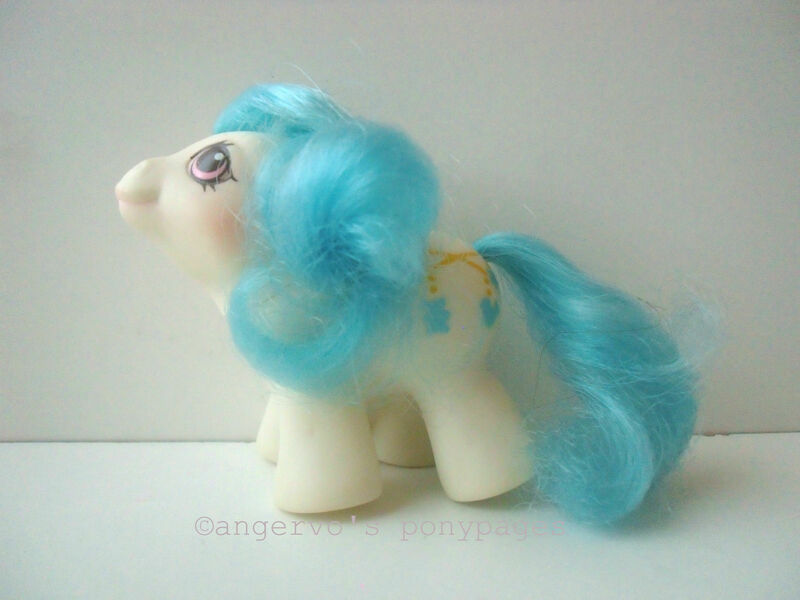 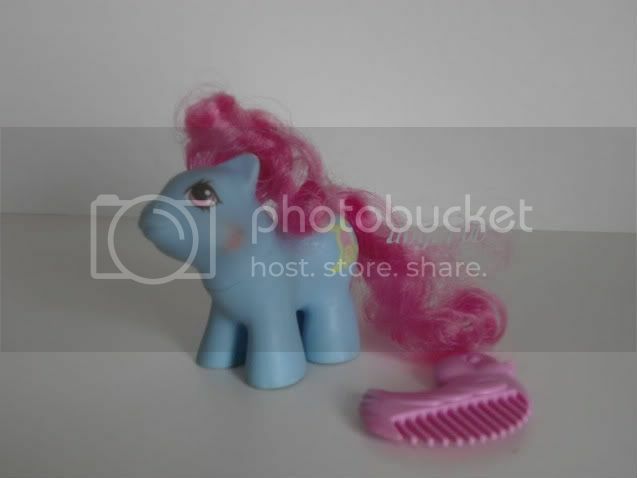 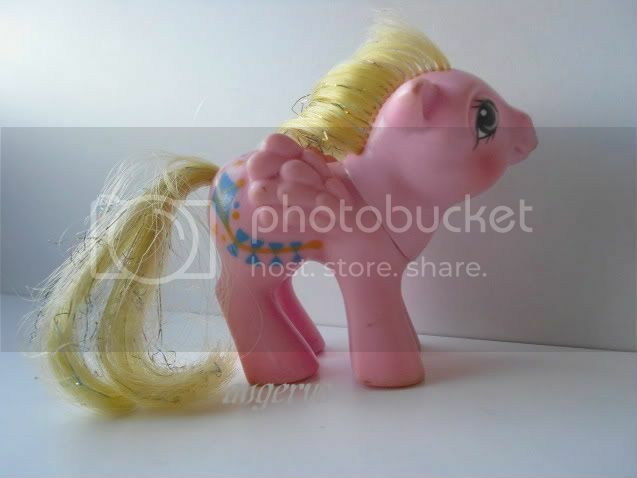 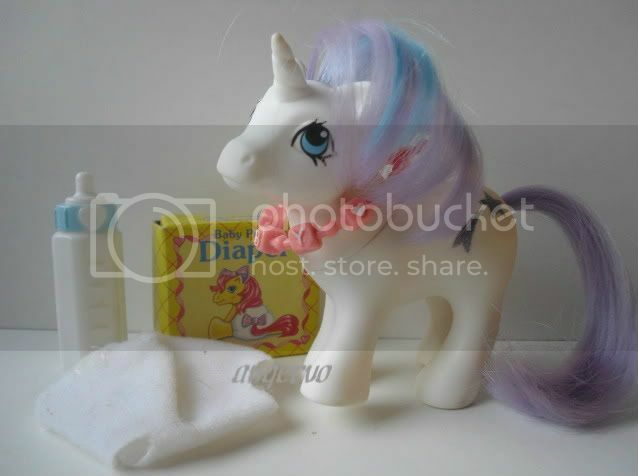 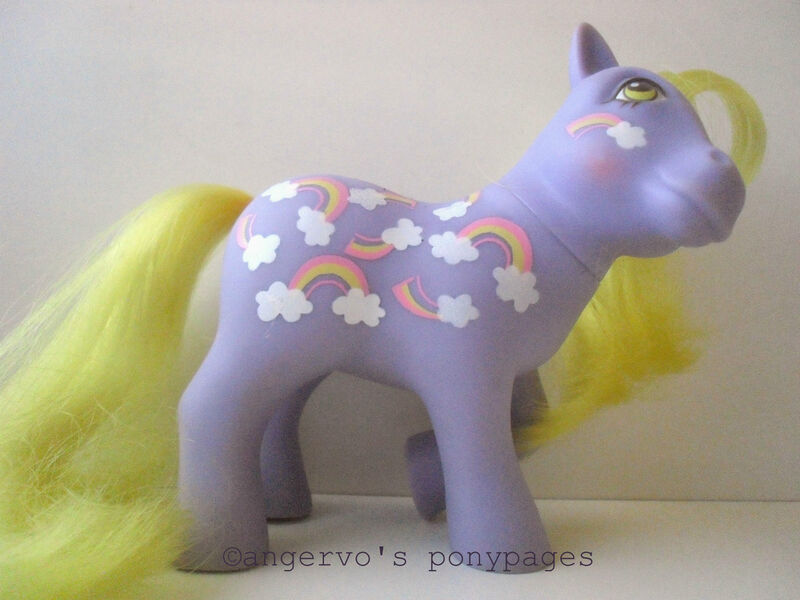 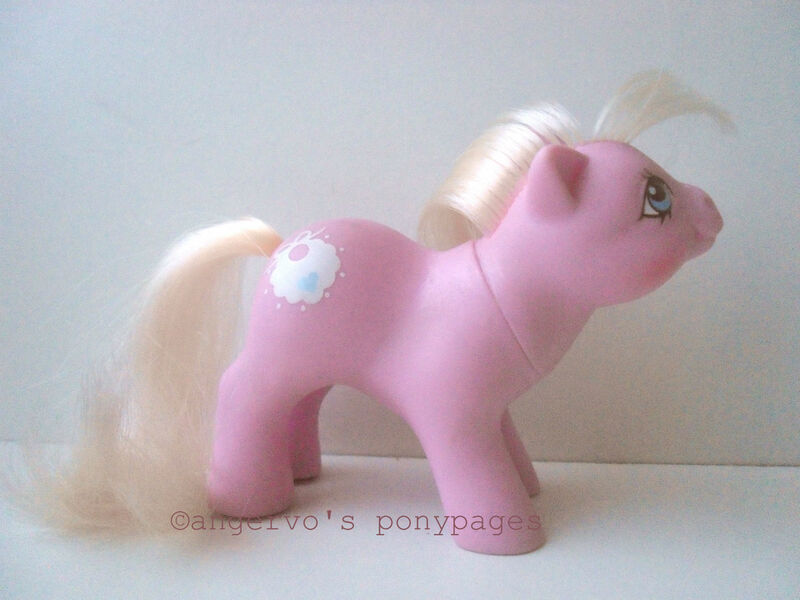 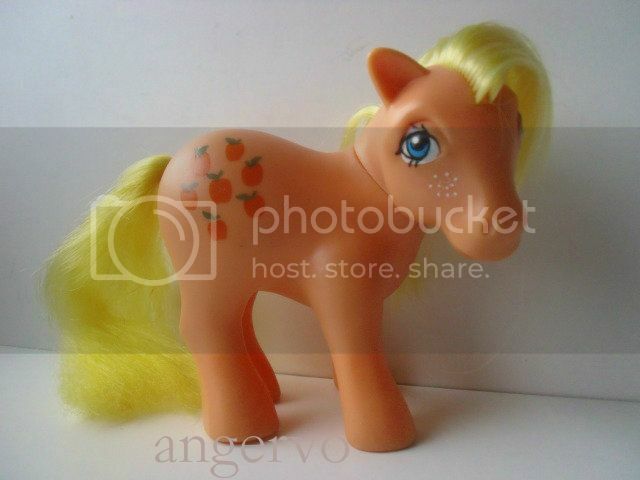 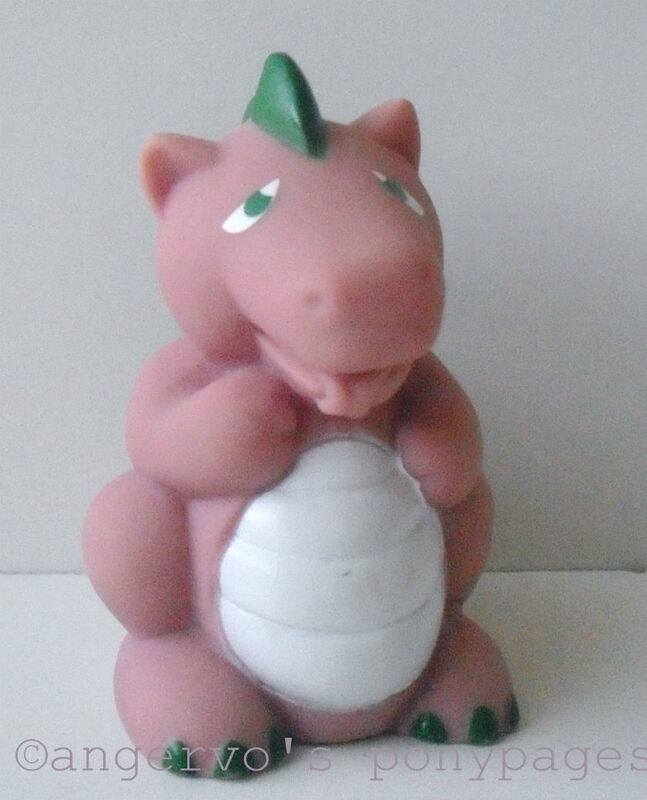 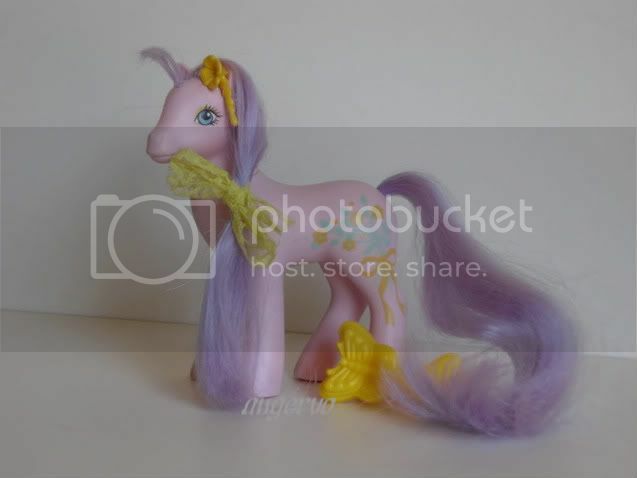 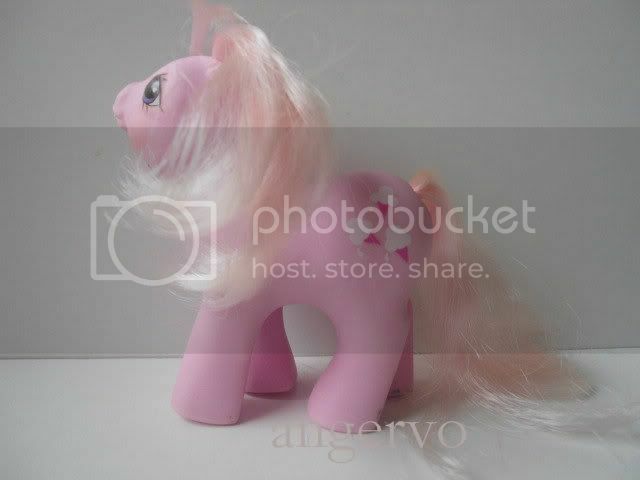 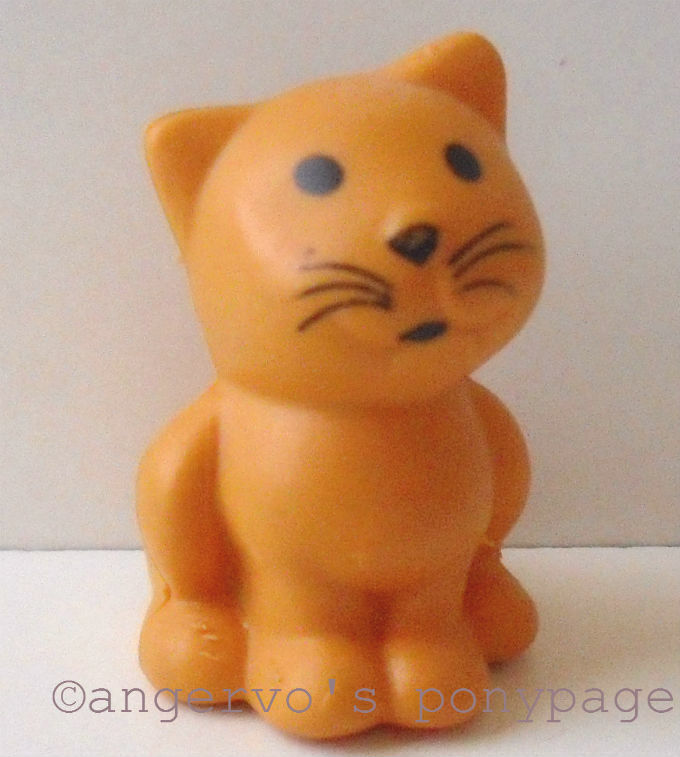 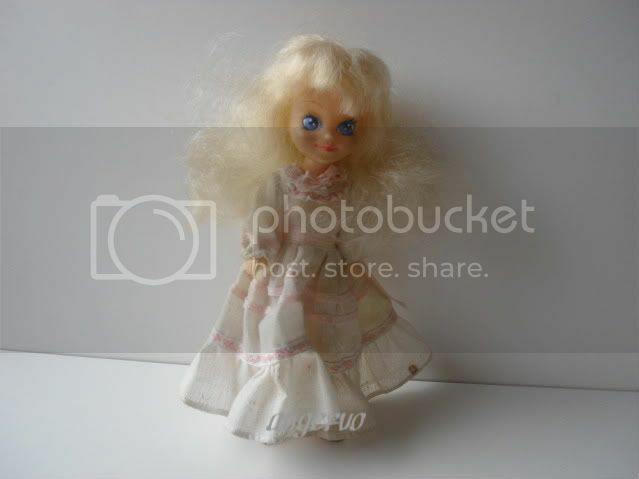 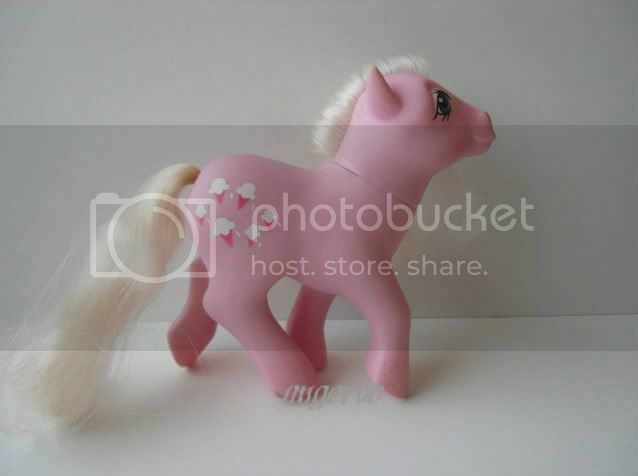 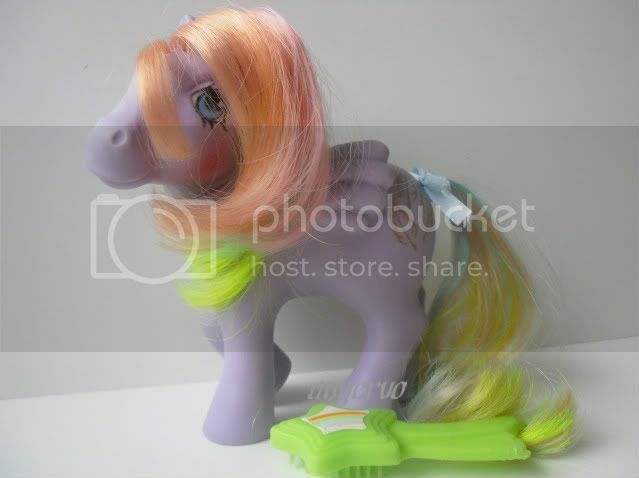 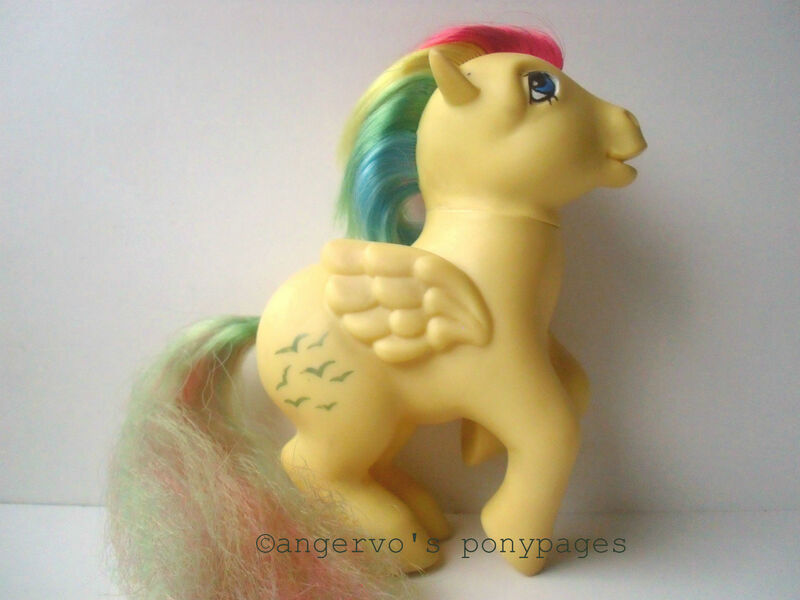 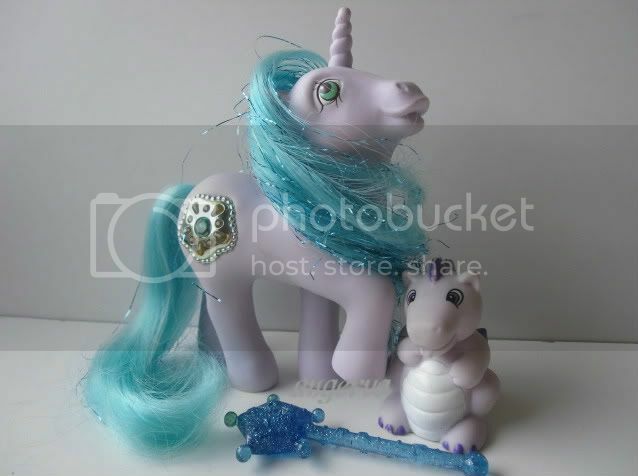 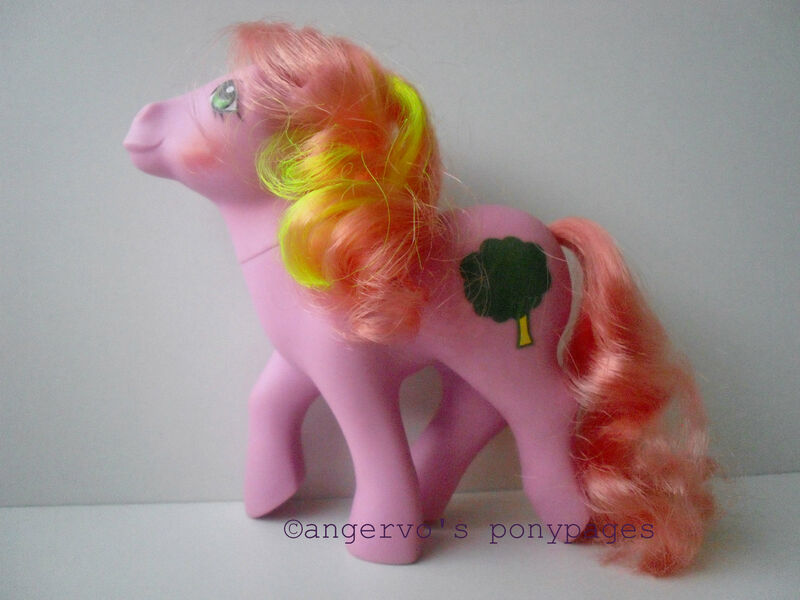 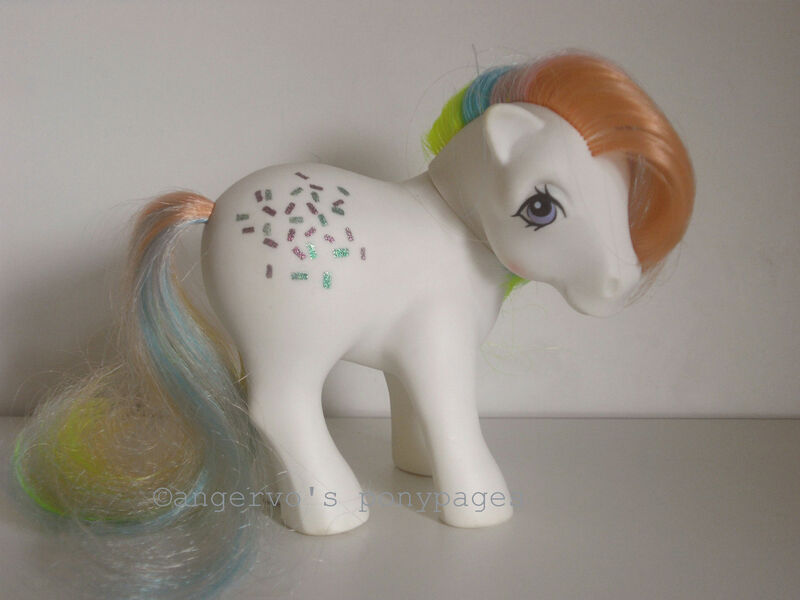 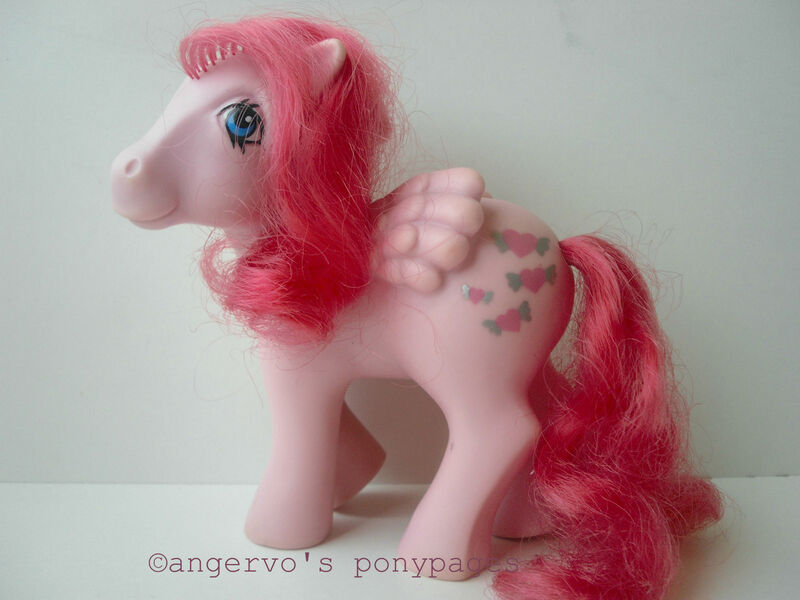 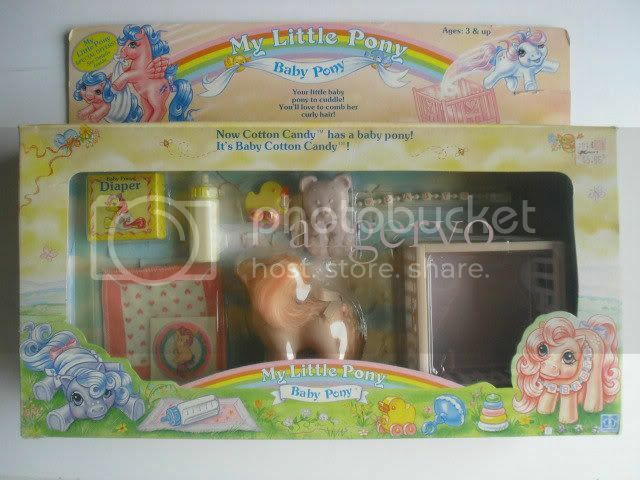 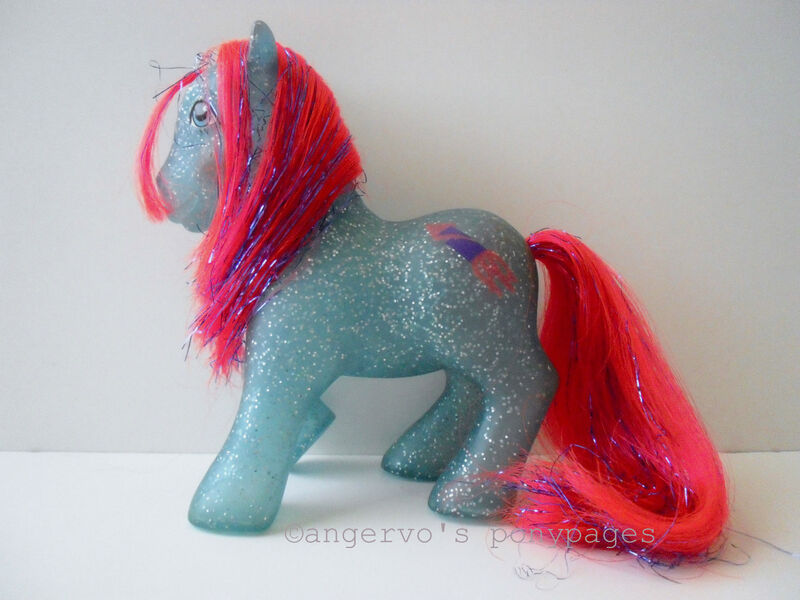 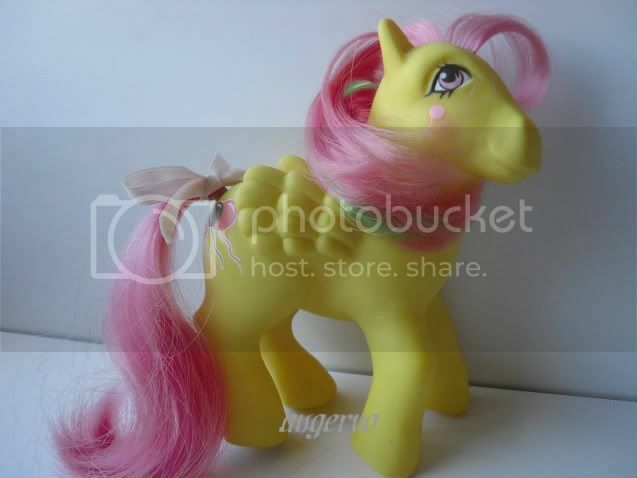 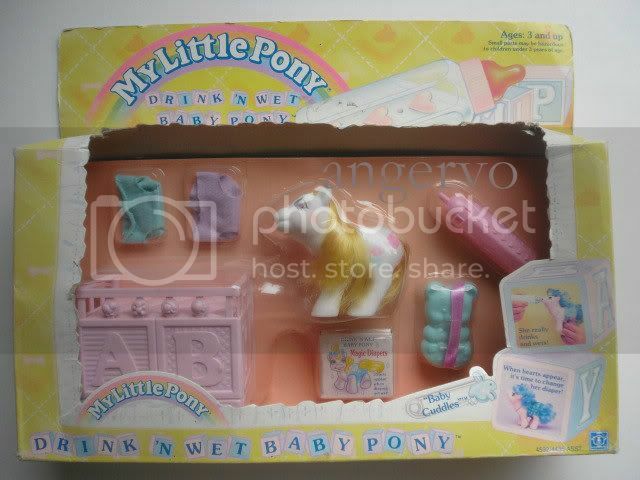 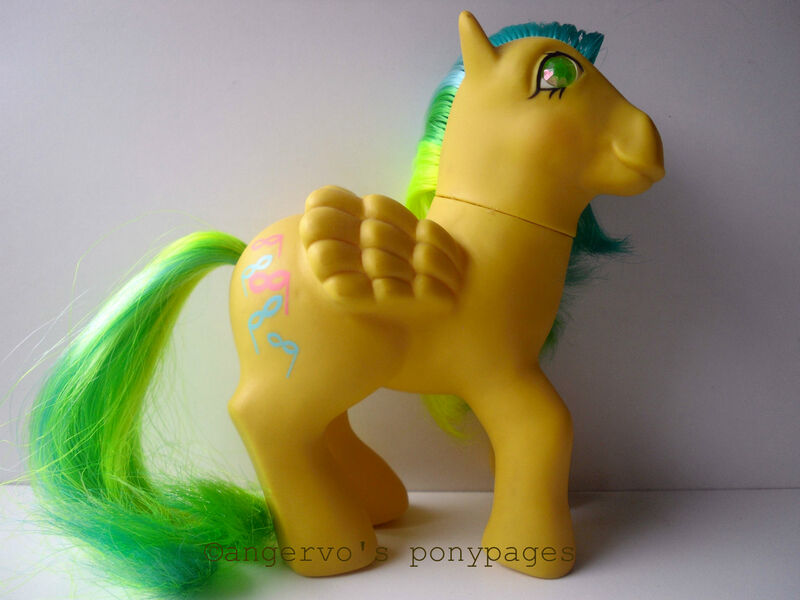 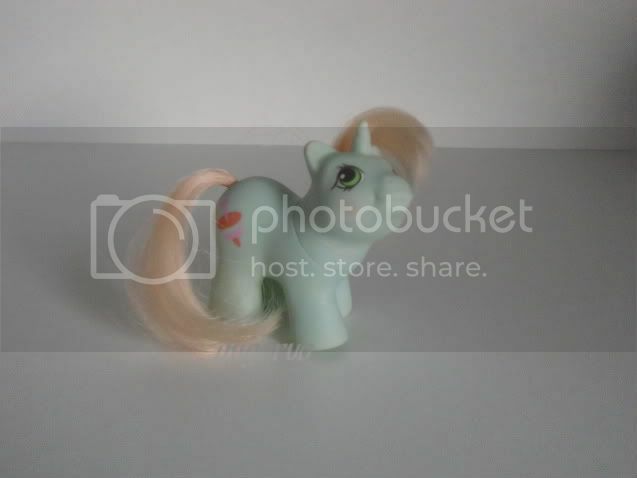 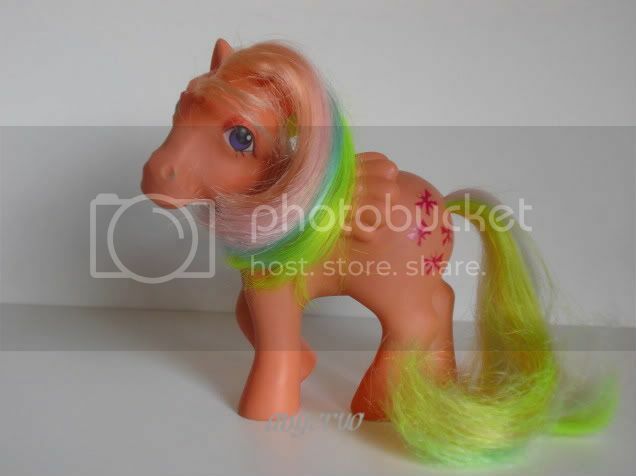 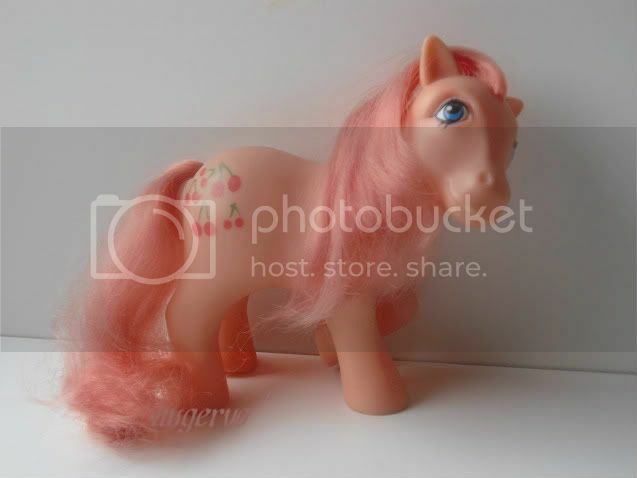 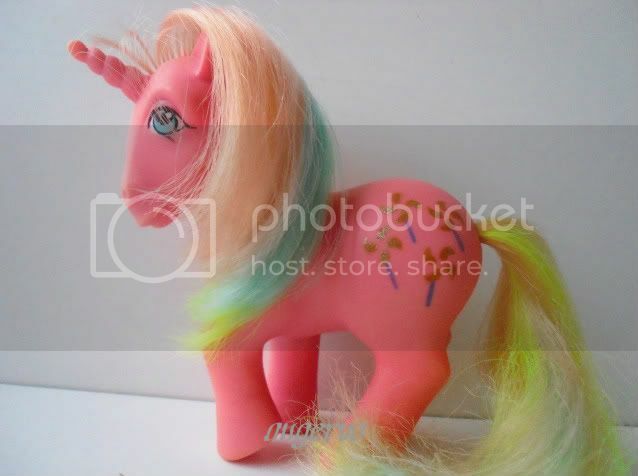 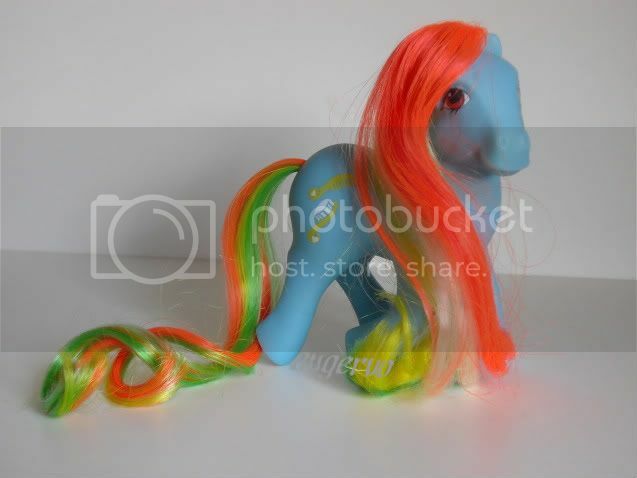 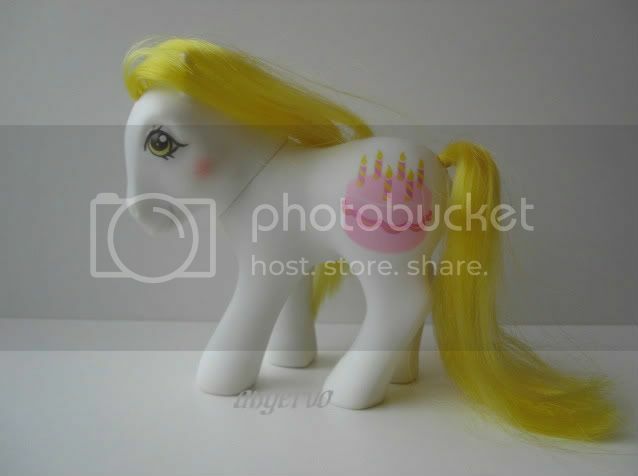 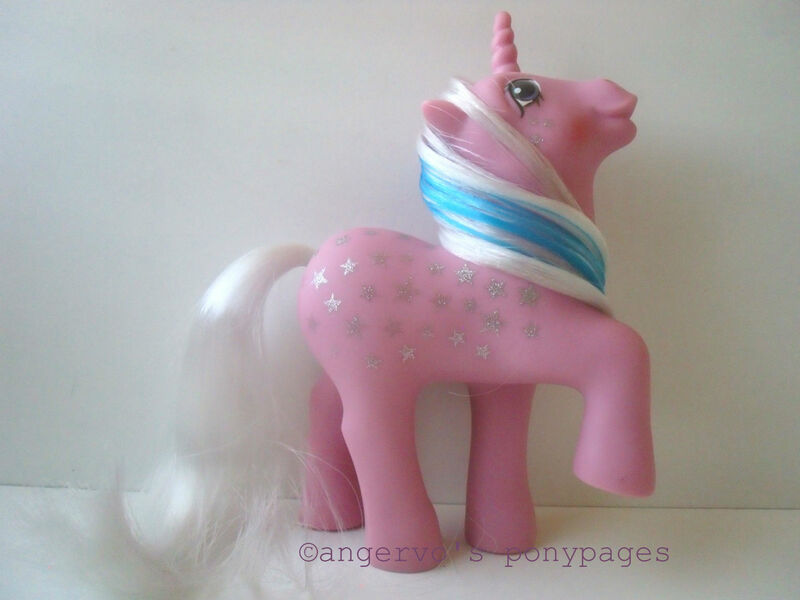 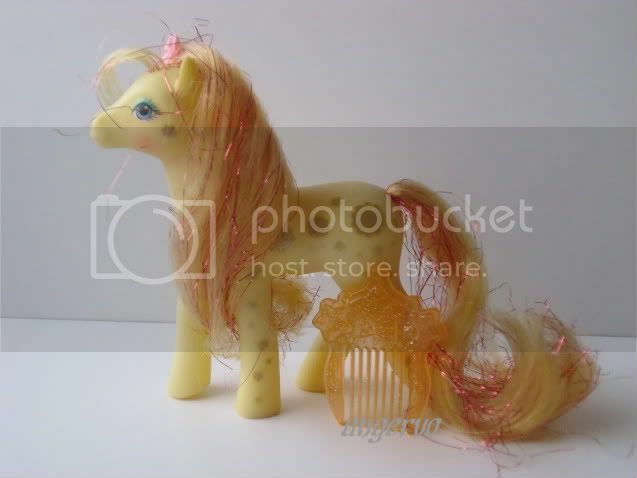 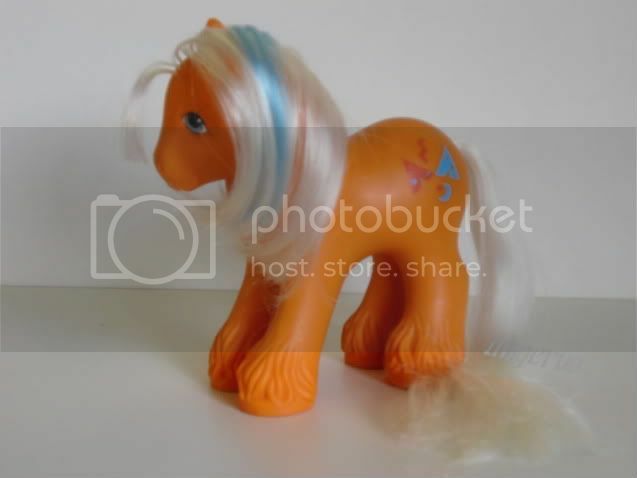 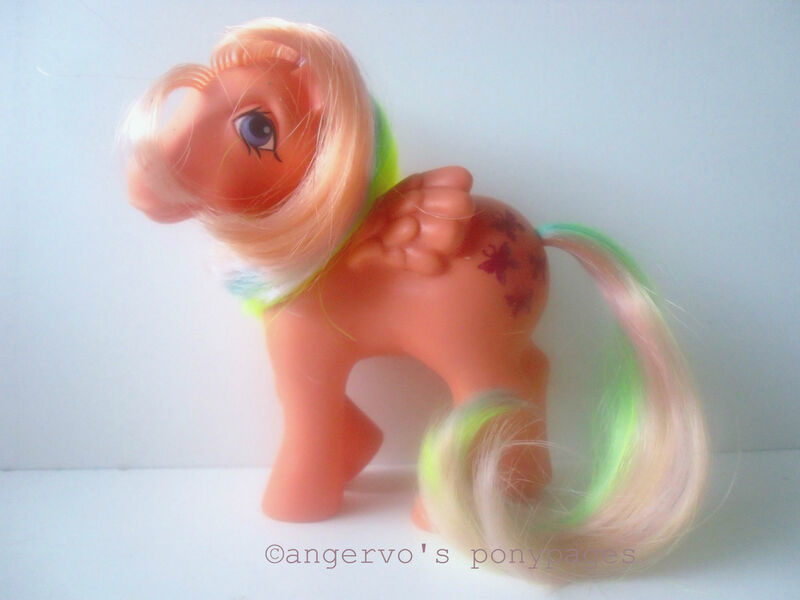 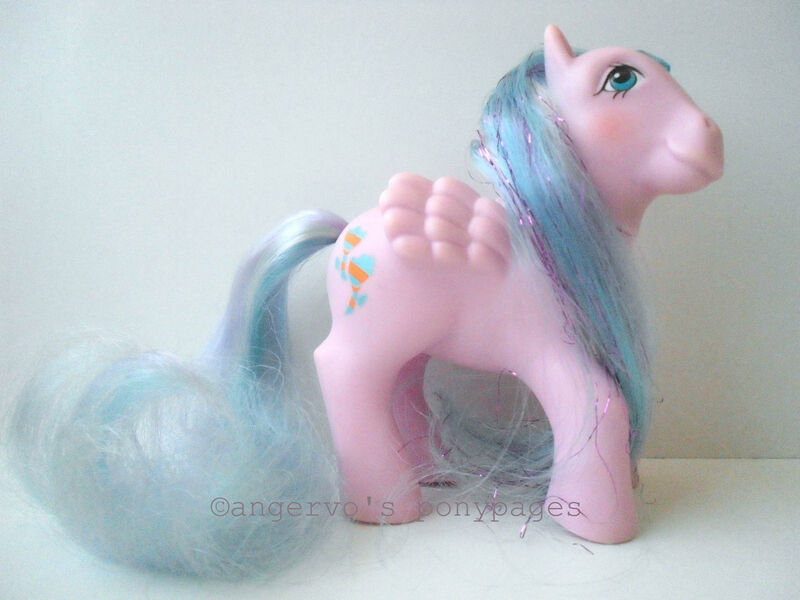 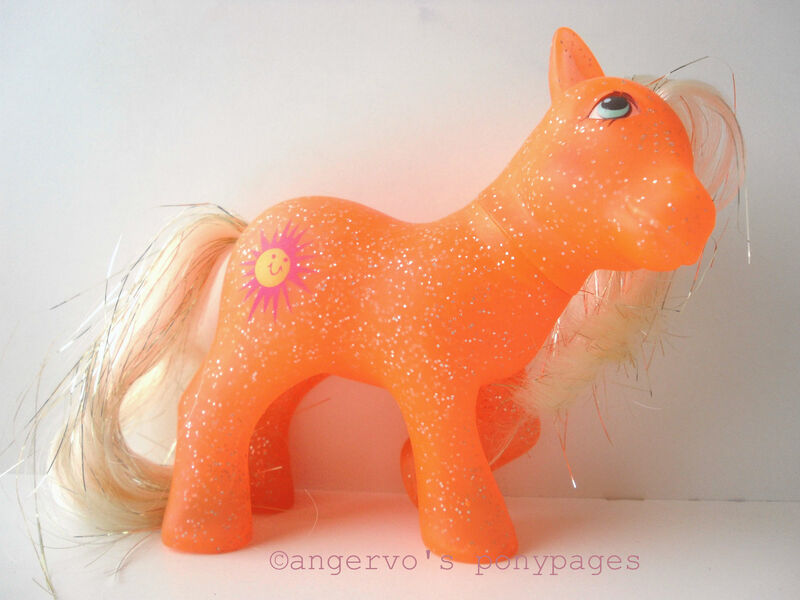 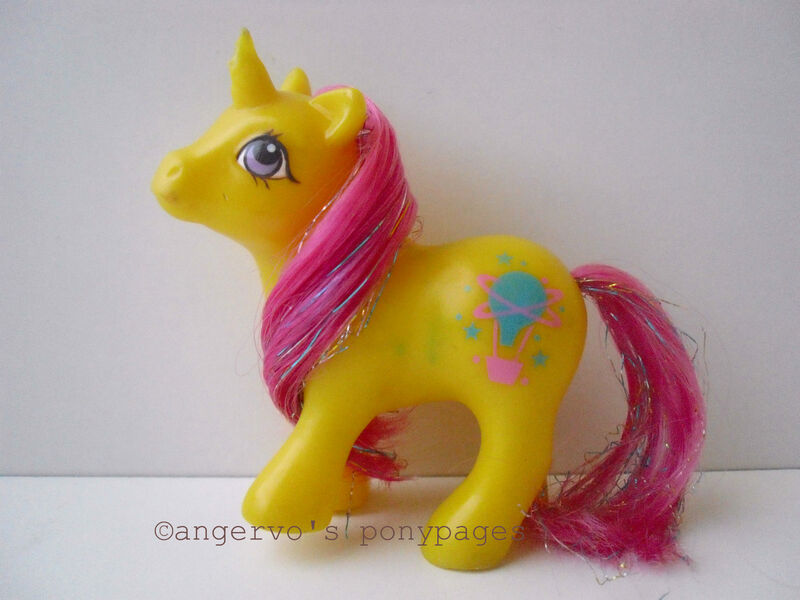 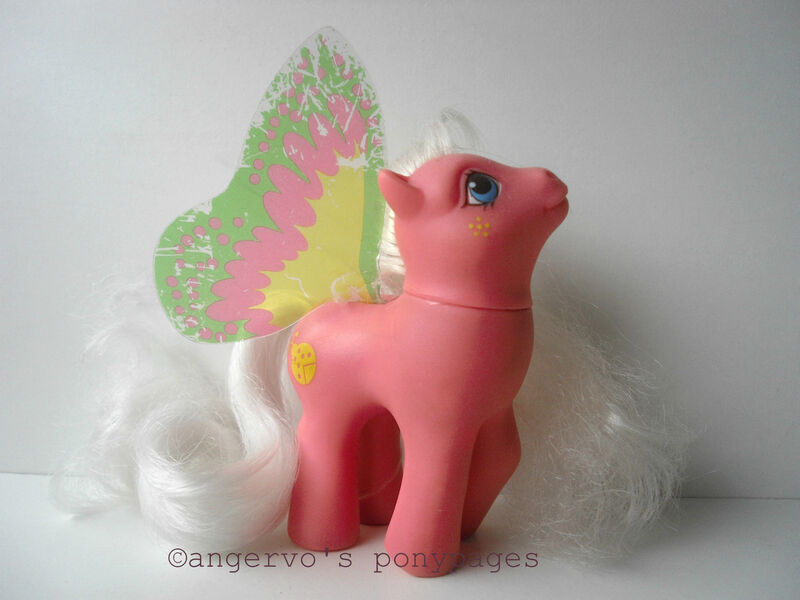 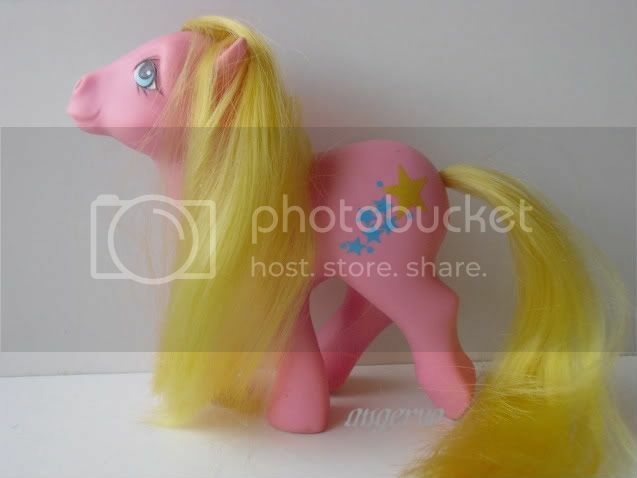 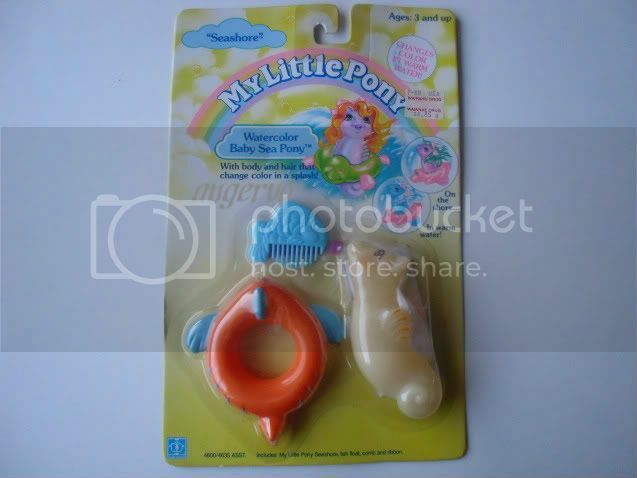 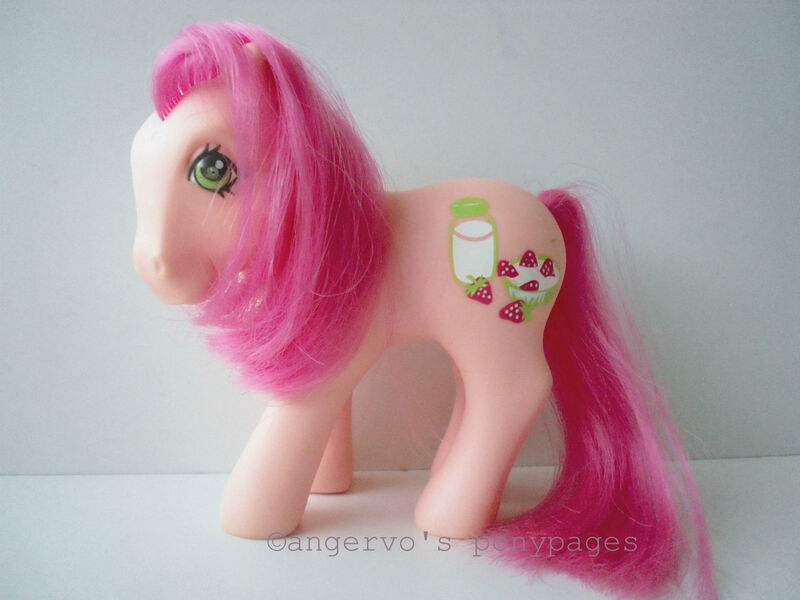 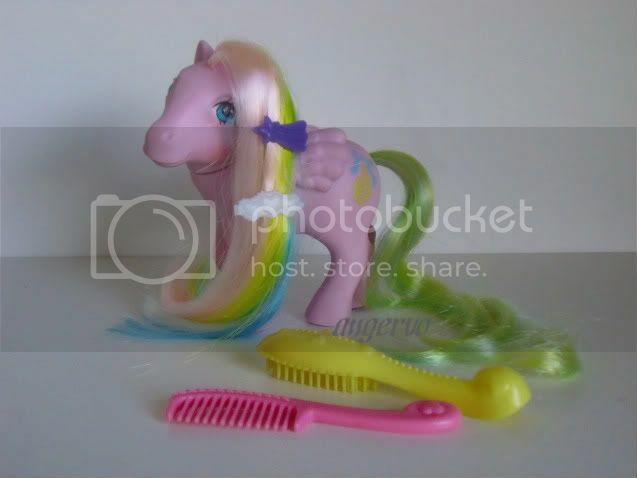 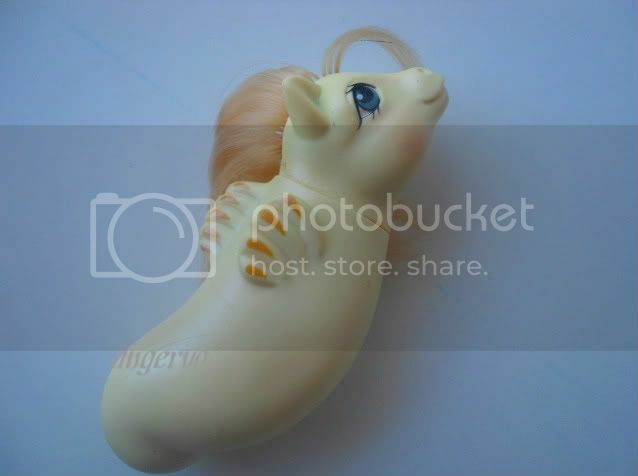 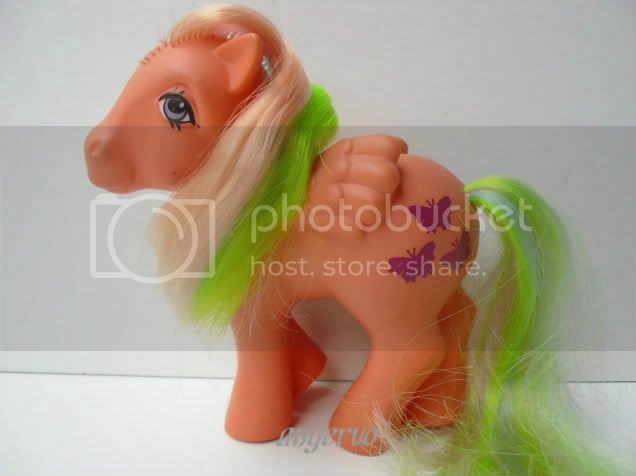 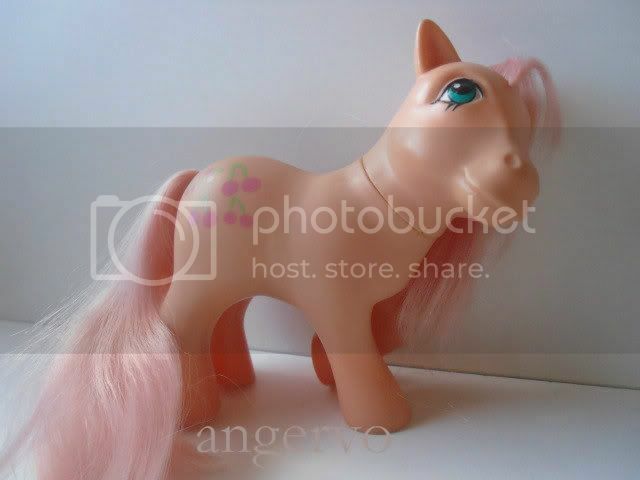 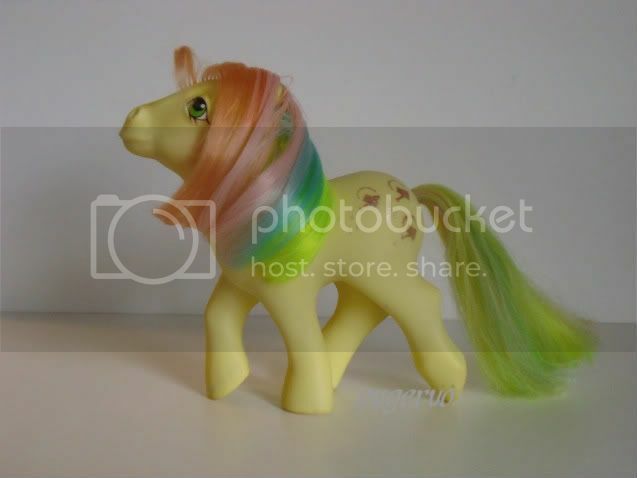 Peachy - G1 Playset Ponies (Pretty Parlor; FF) UK year 2(?) 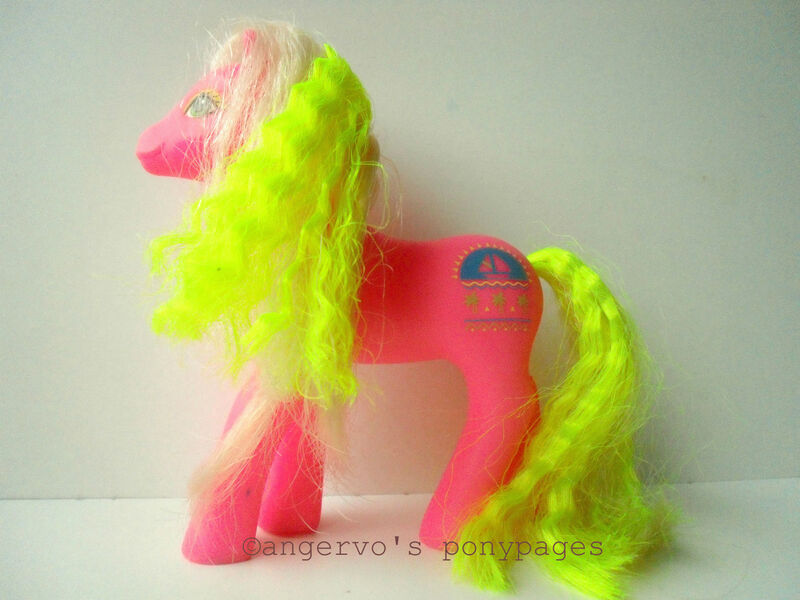 or as an individual in 1982-83? 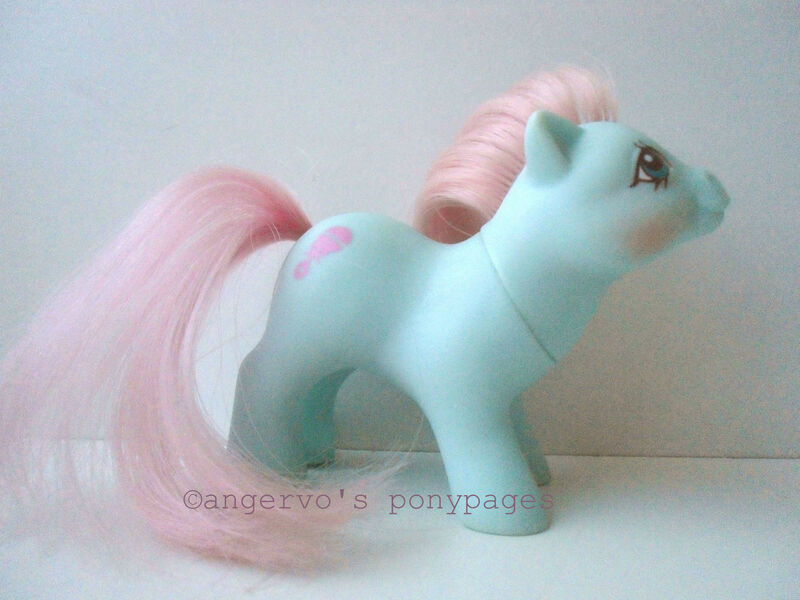 Polidoro (Powder) - G1 Italian Unicorns & Pegasi (blue eyes, painted symbols) IT/SWE/DAN ? 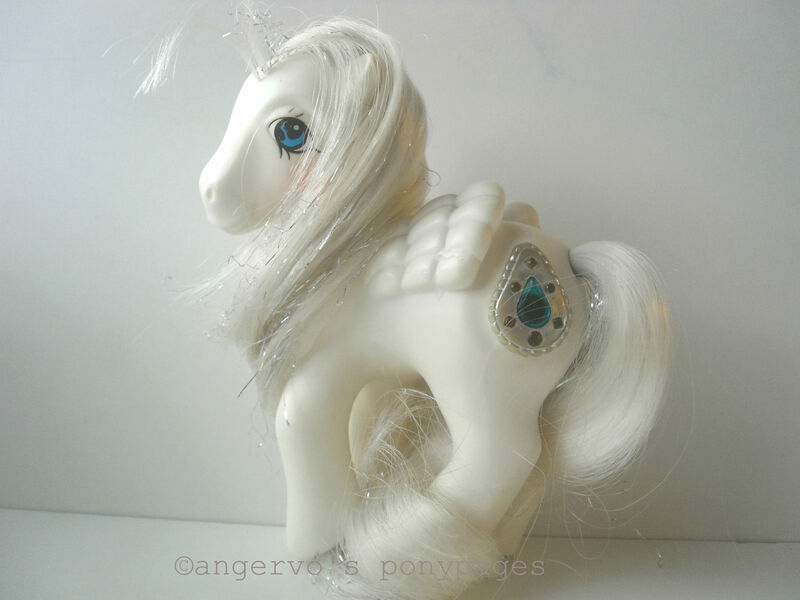 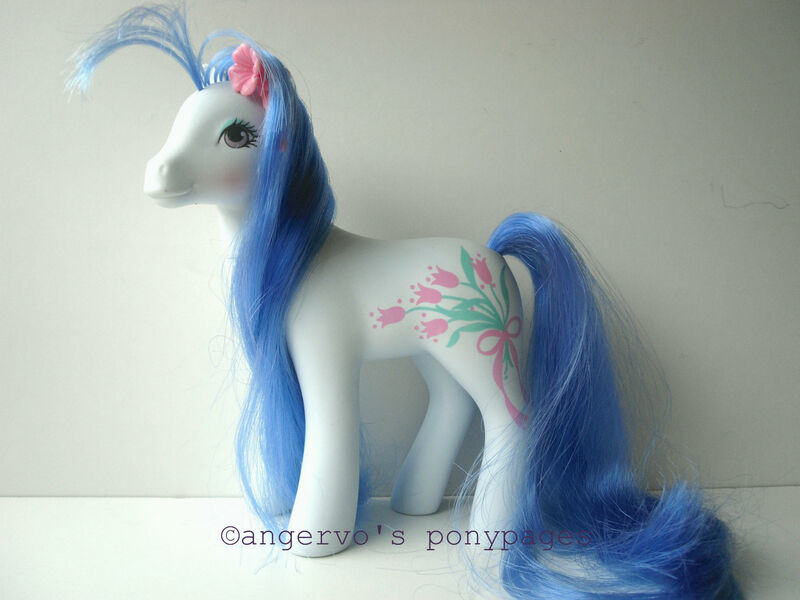 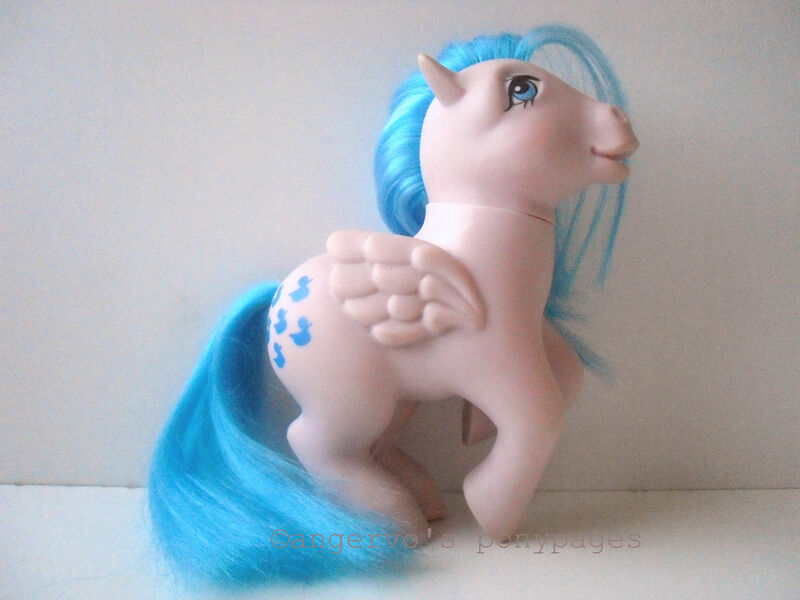 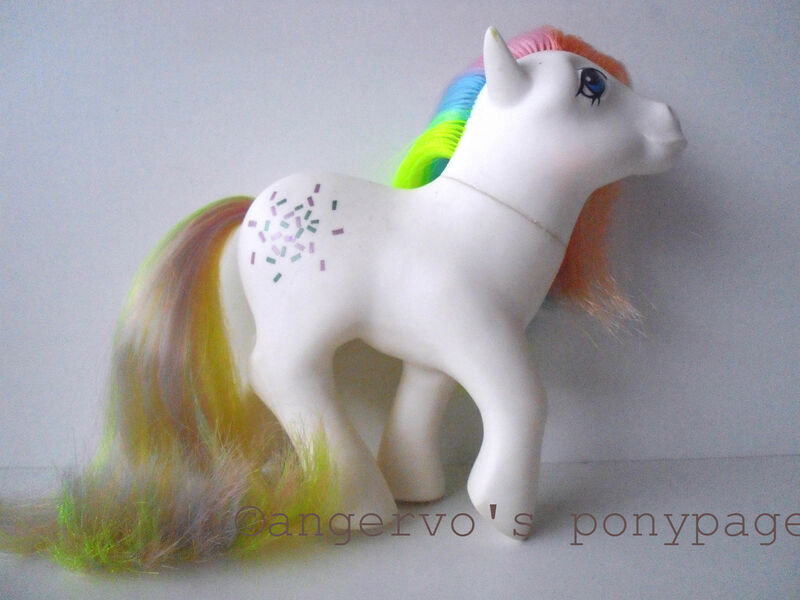 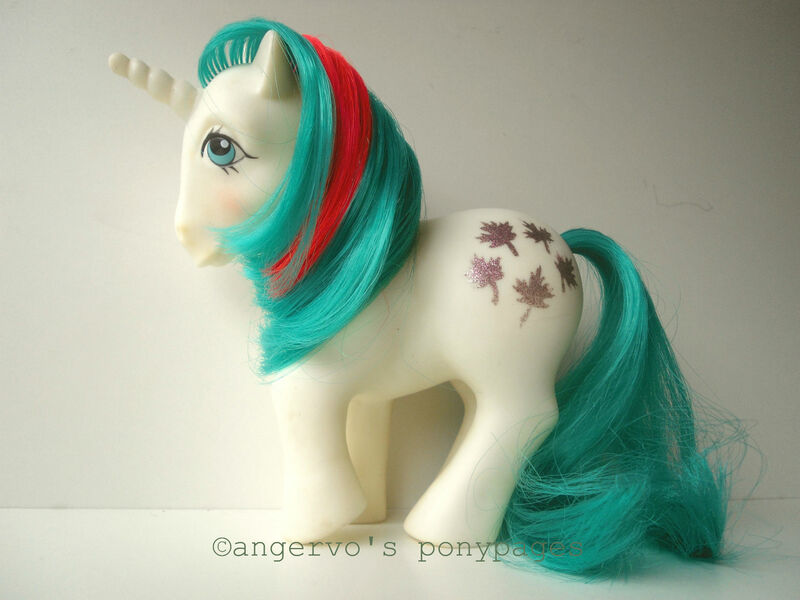 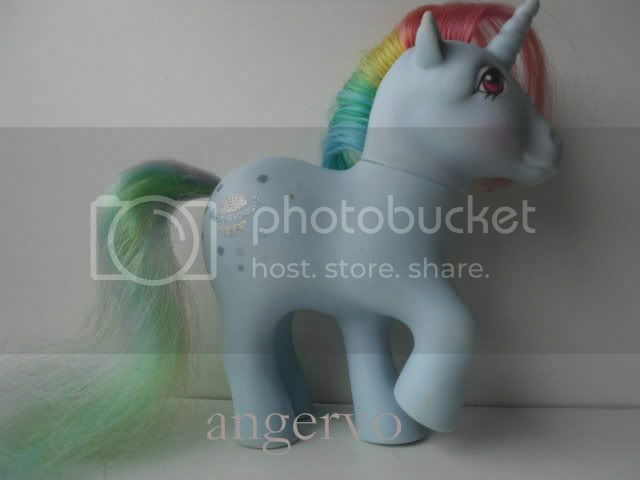 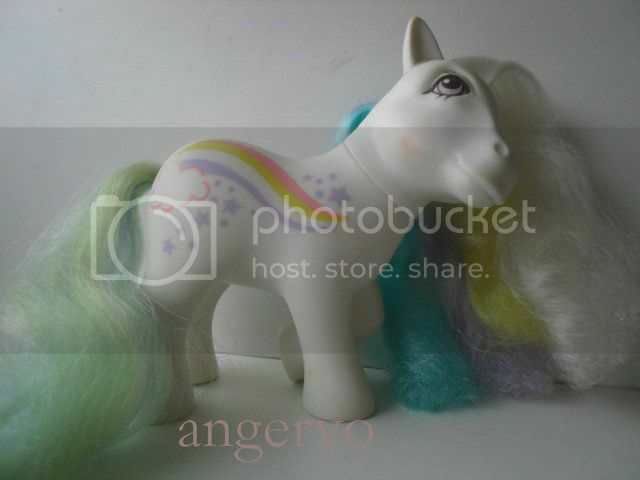 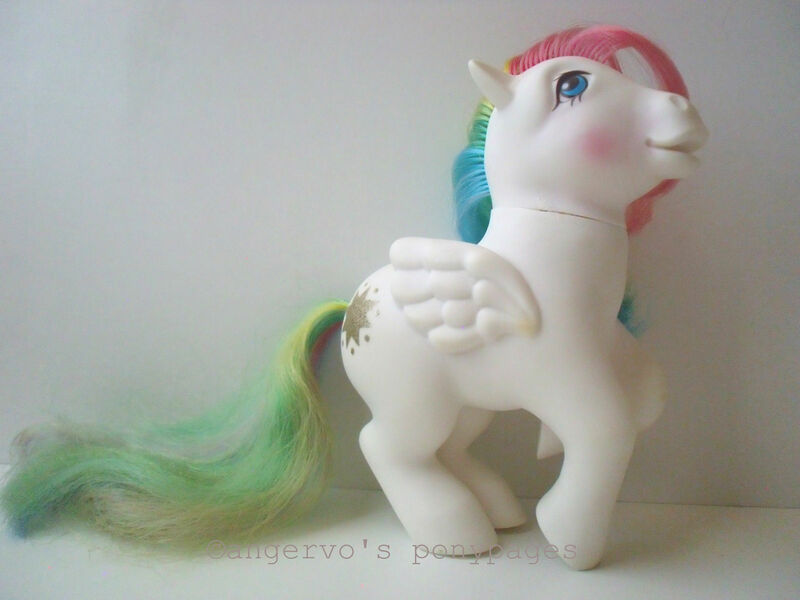 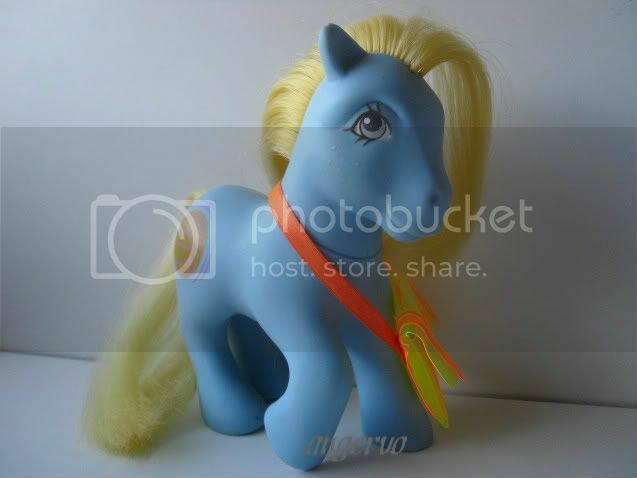 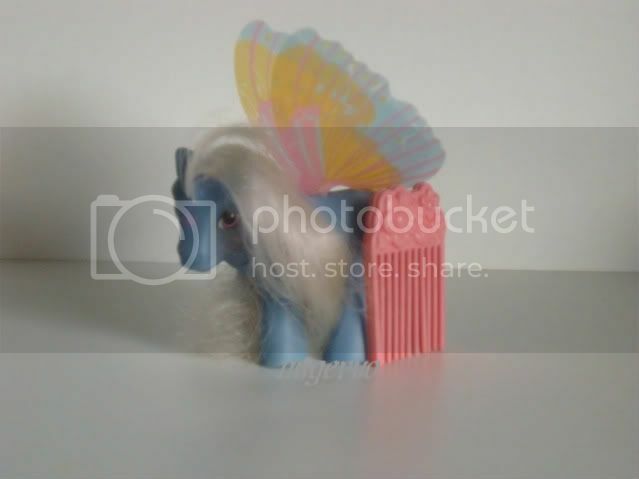 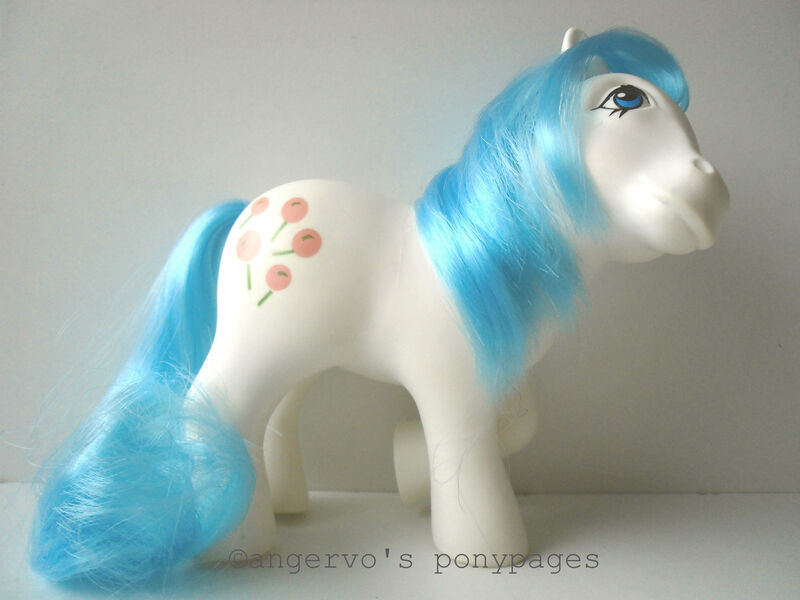 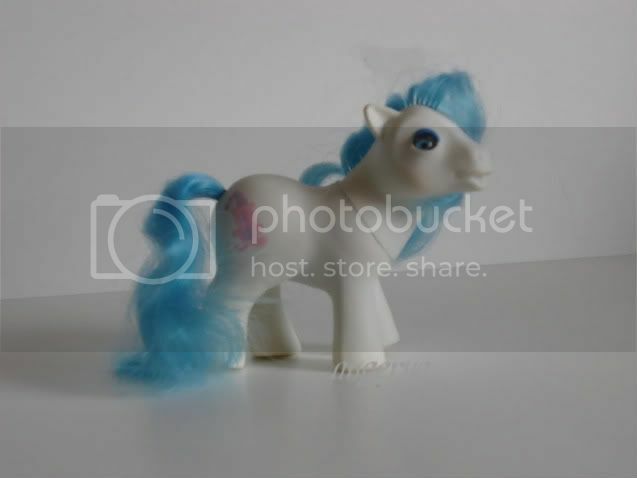 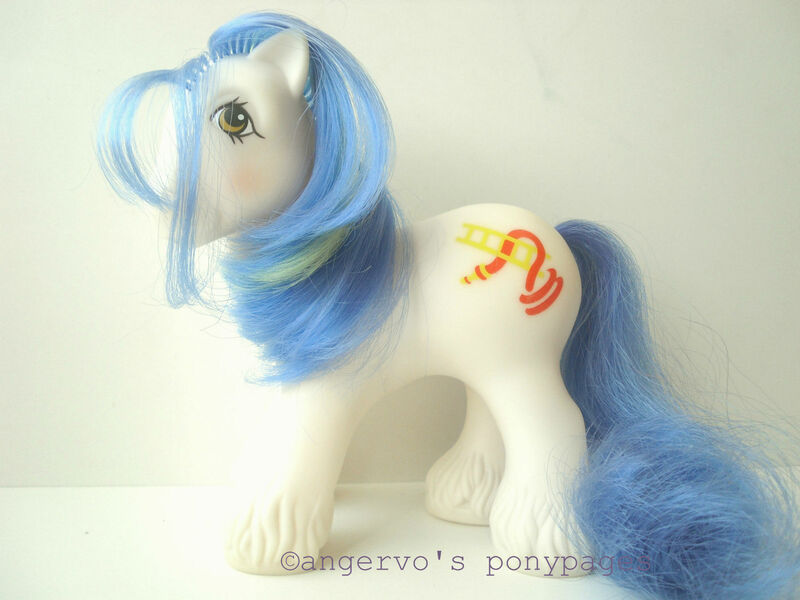 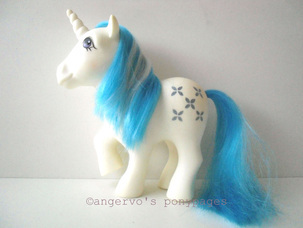 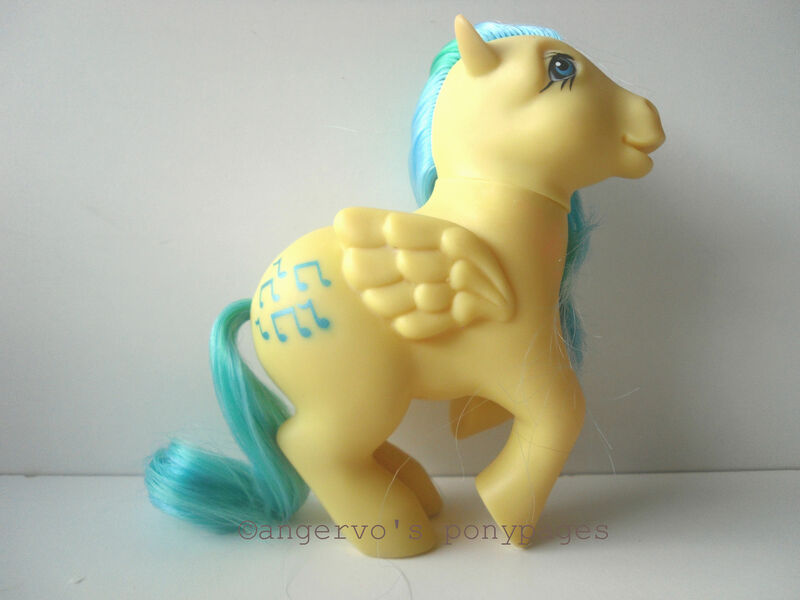 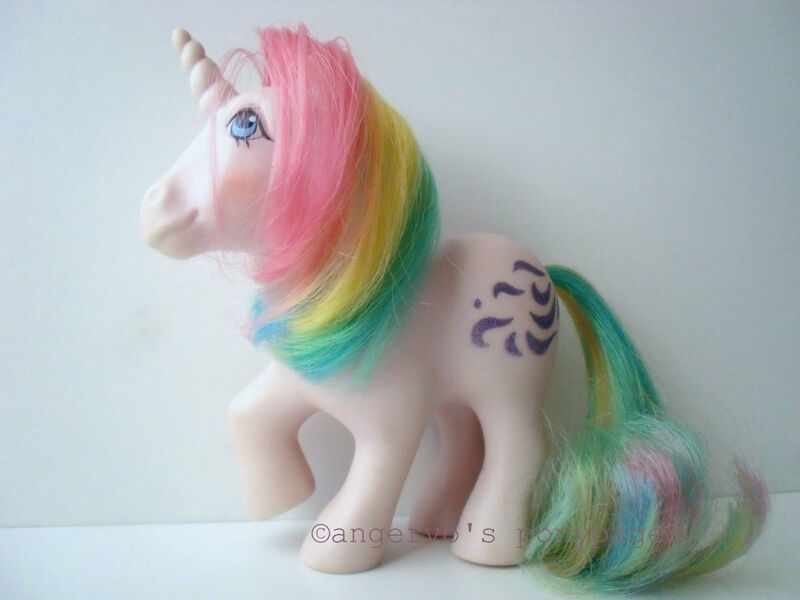 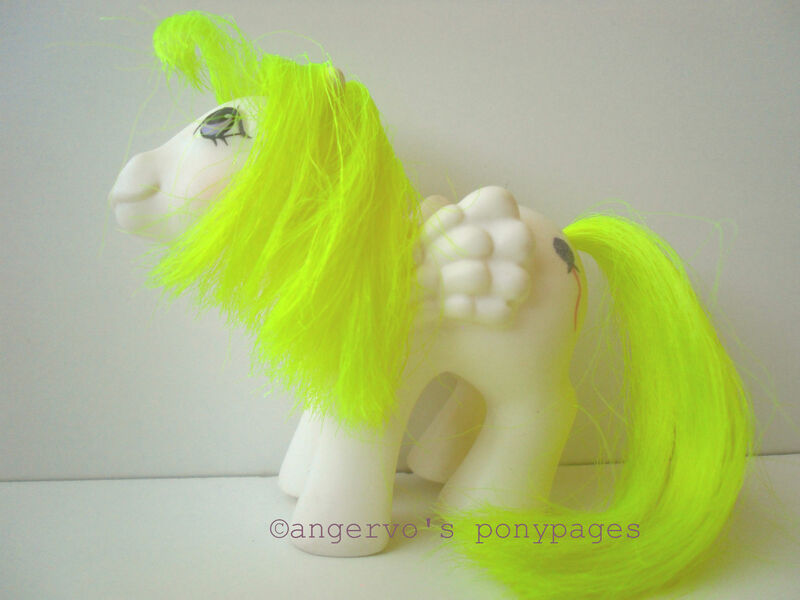 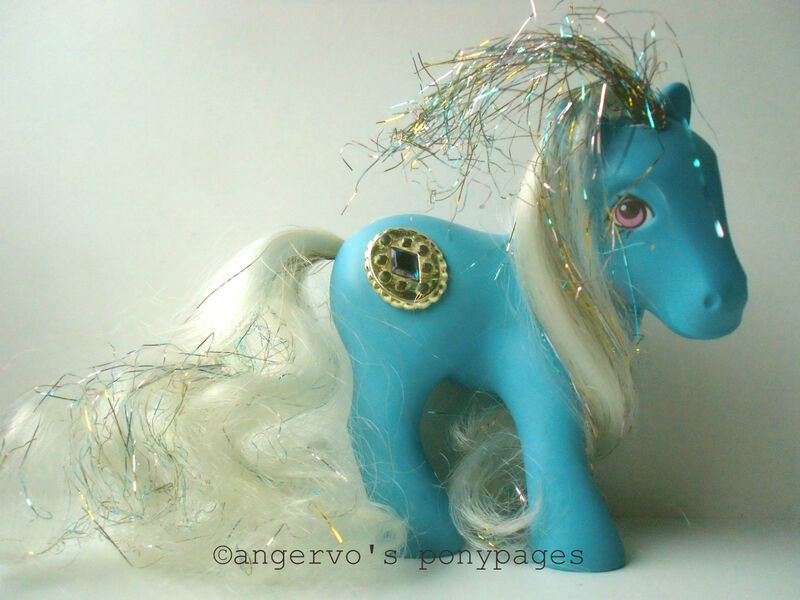 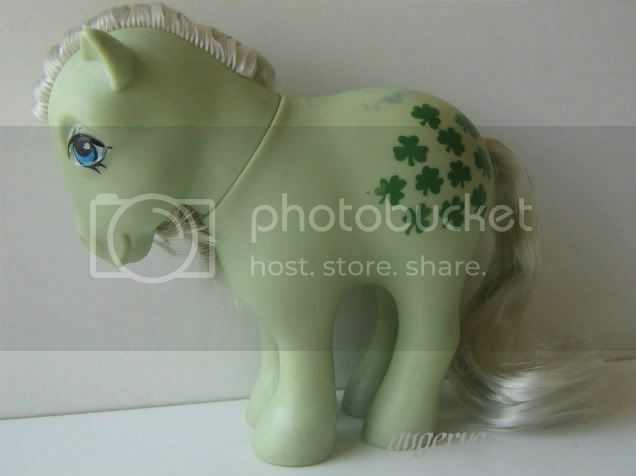 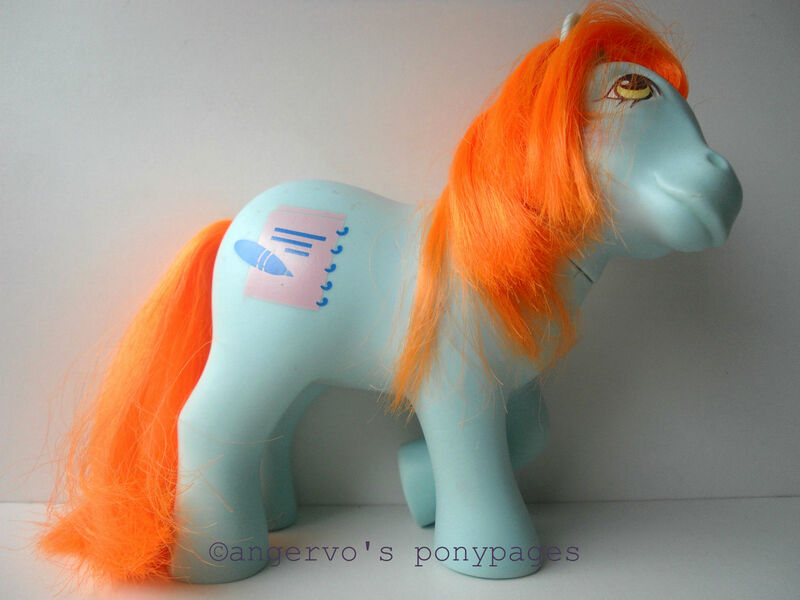 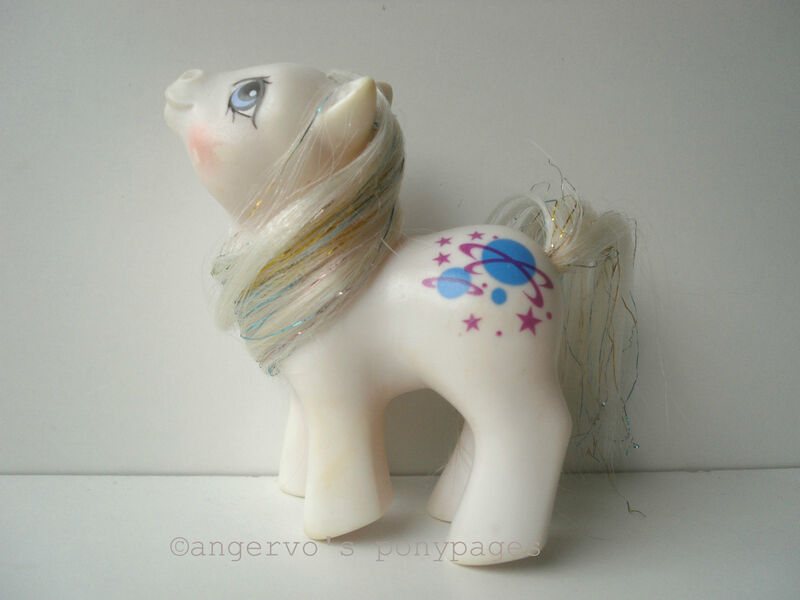 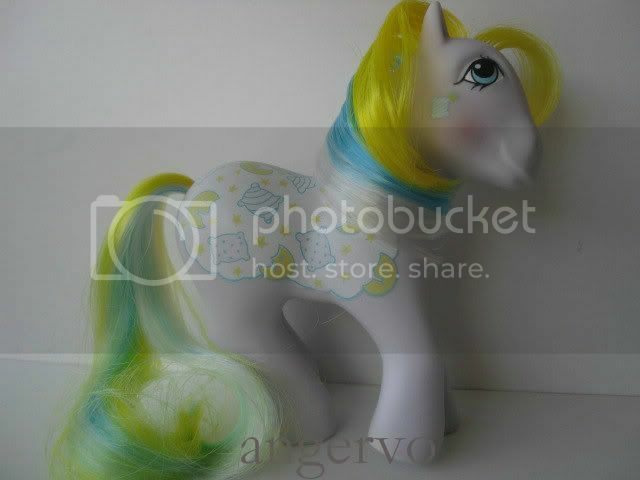 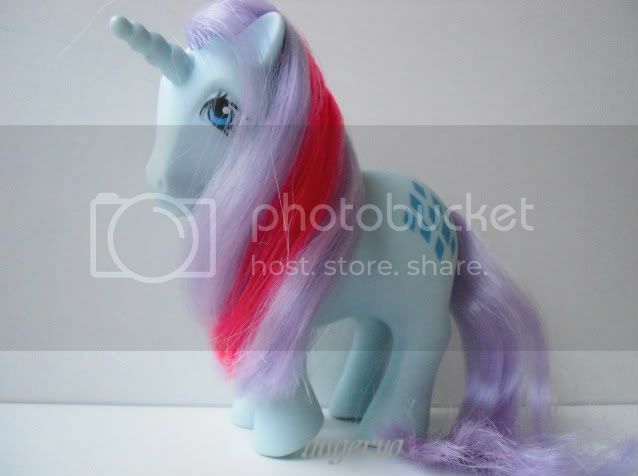 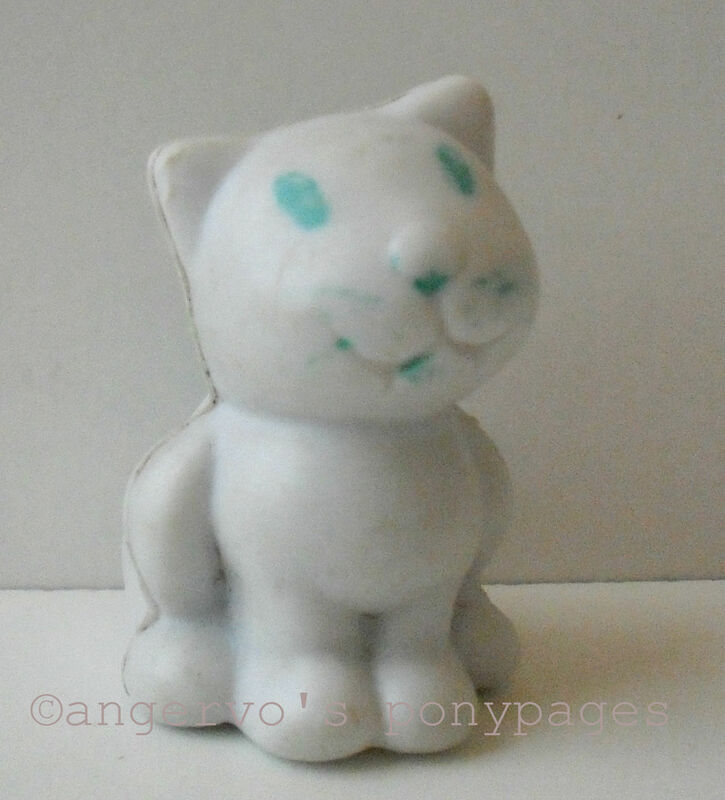 Powder - G1 Italian Unicorns & Pegasi ("Polidoro"; blue eyes, painted symbols) IT/SWE/DAN ? 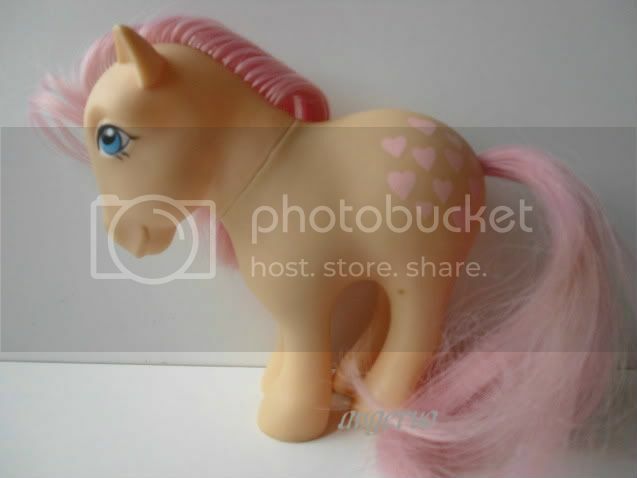 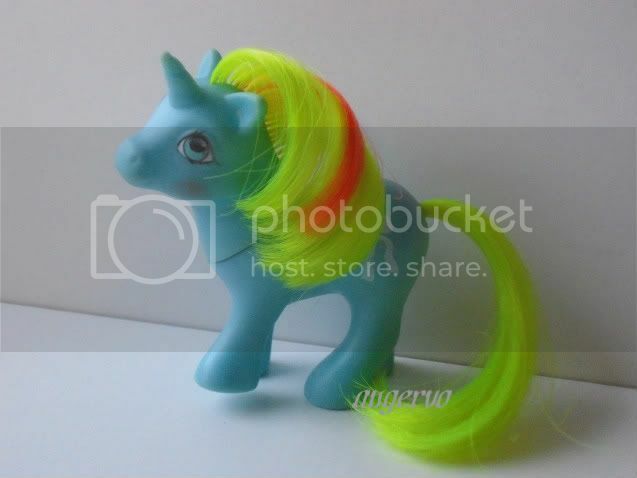 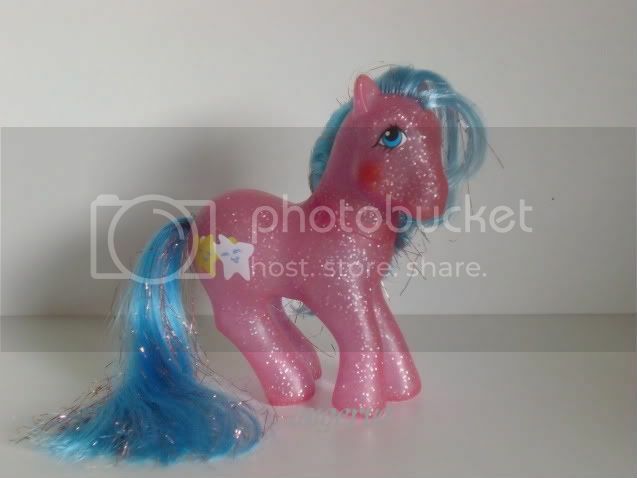 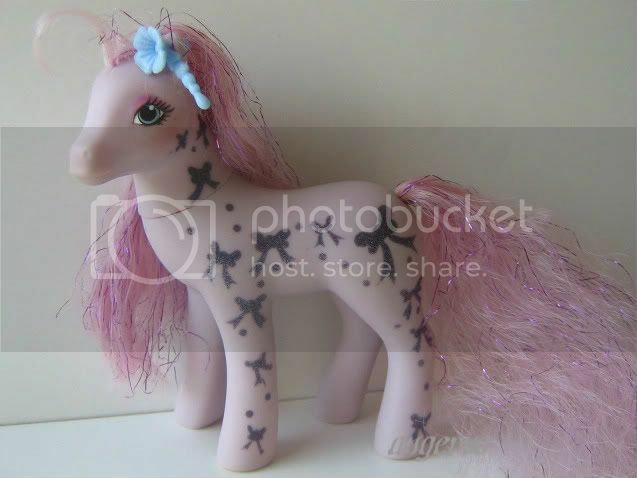 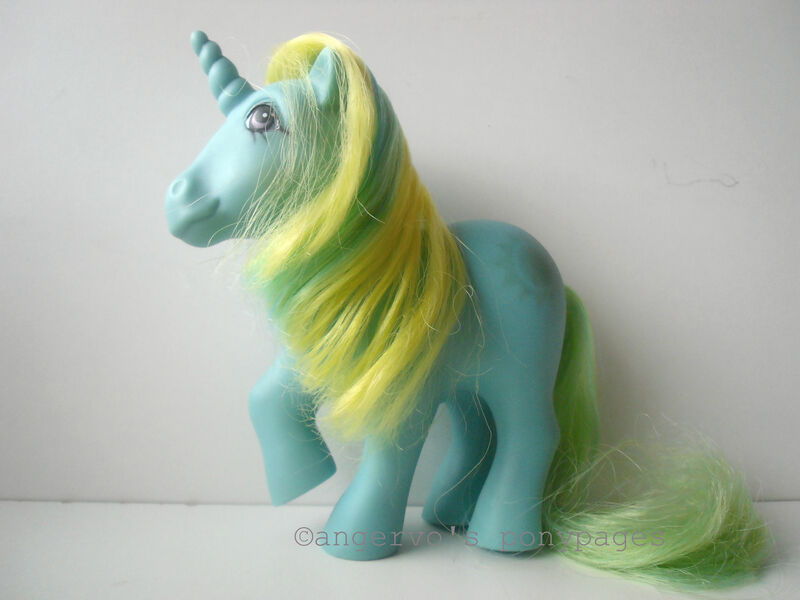 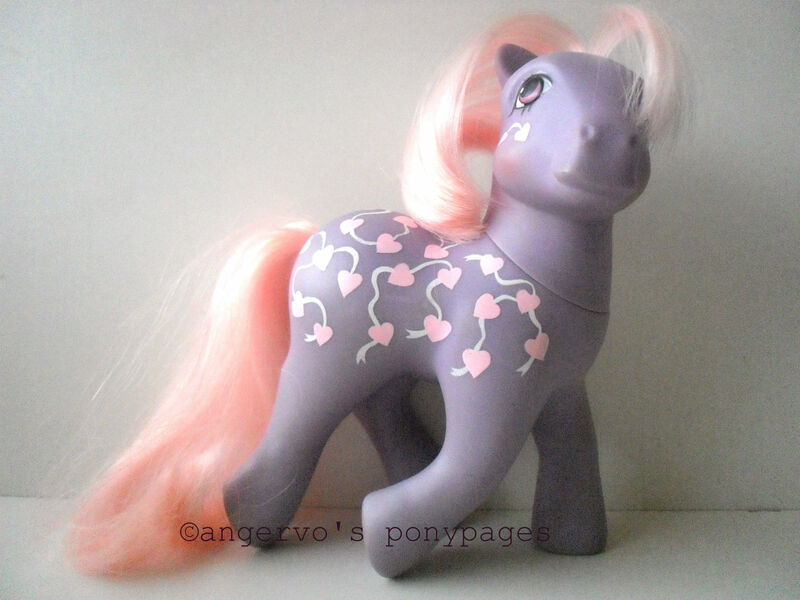 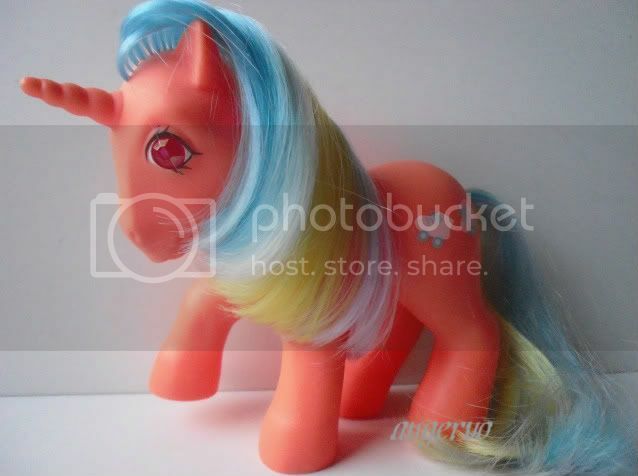 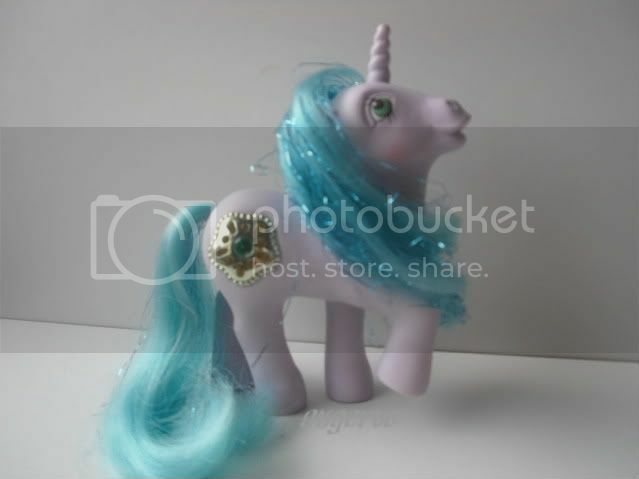 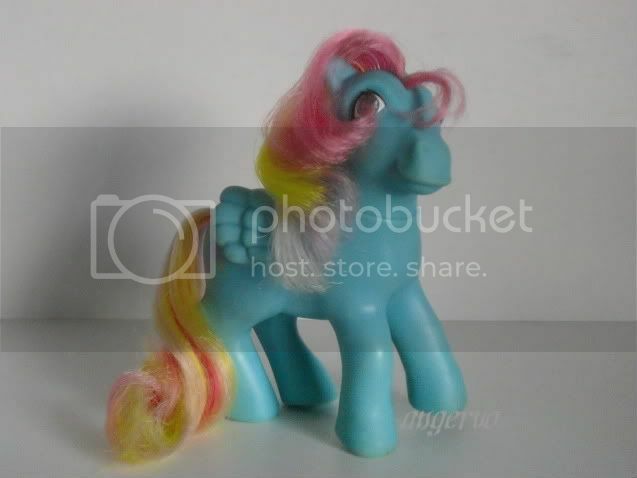 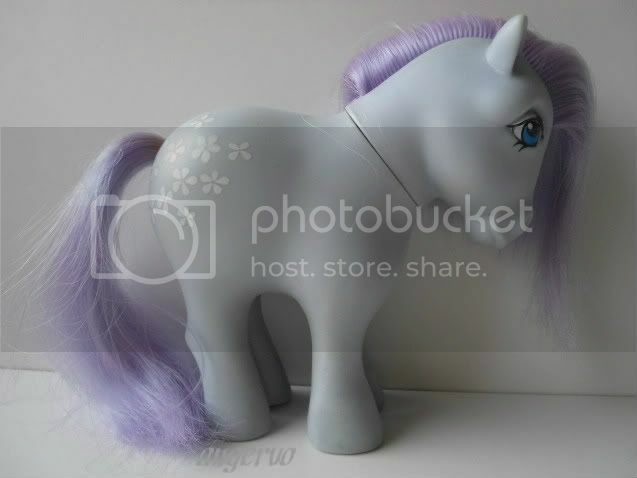 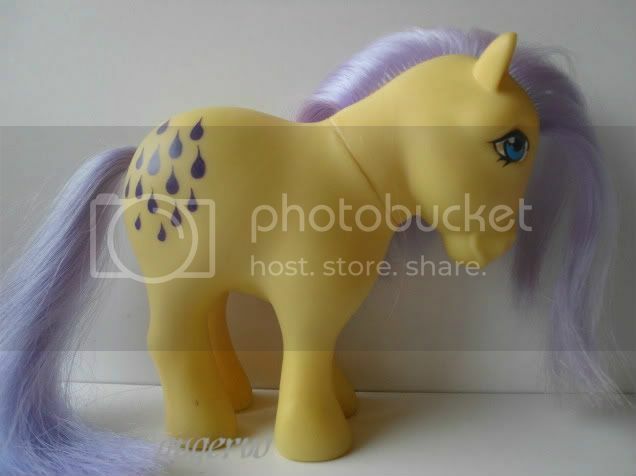 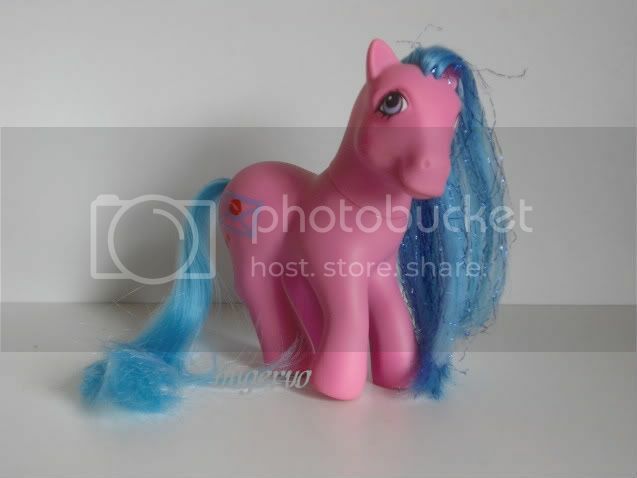 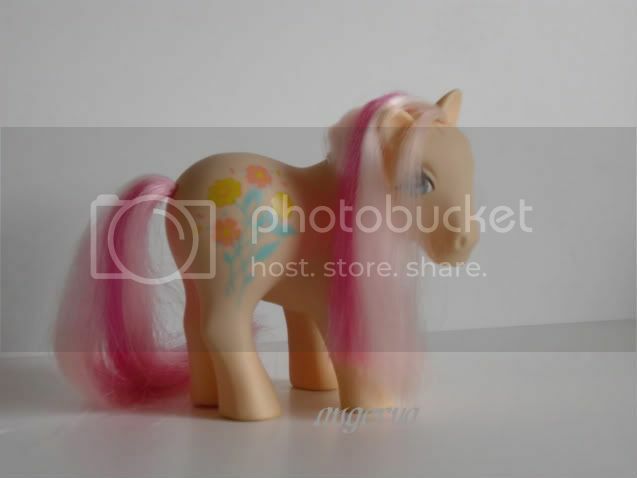 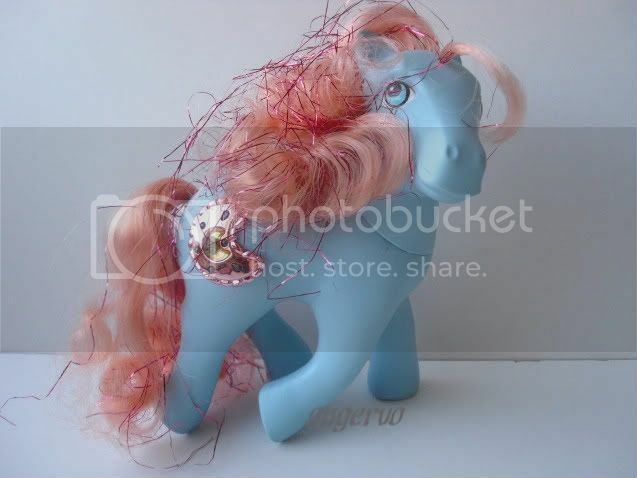 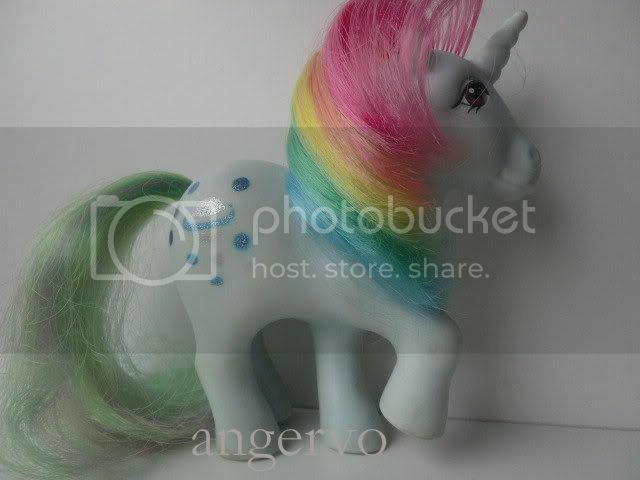 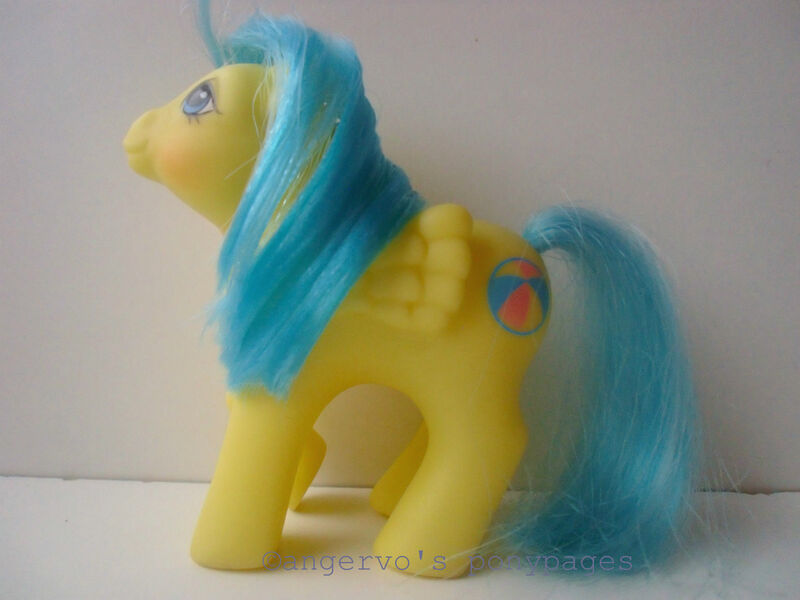 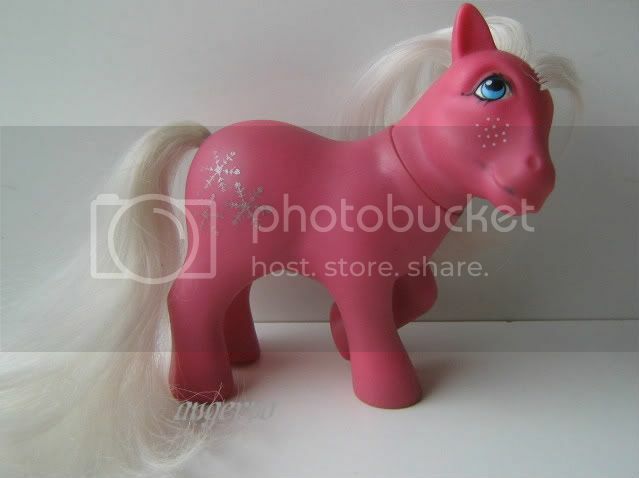 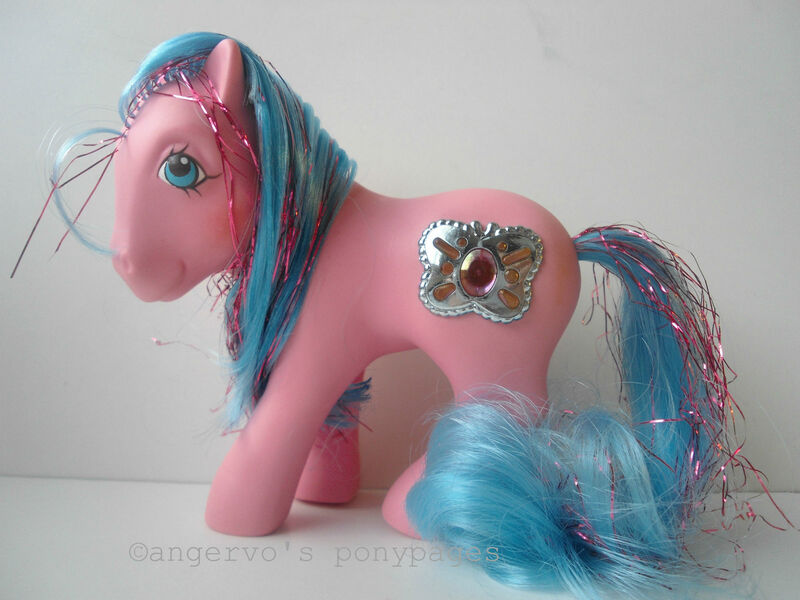 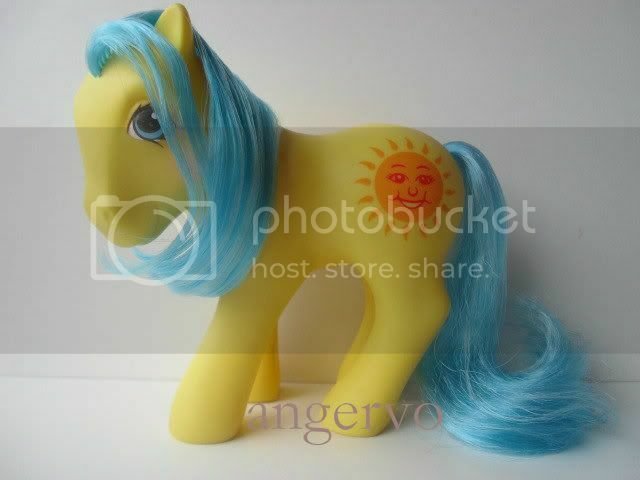 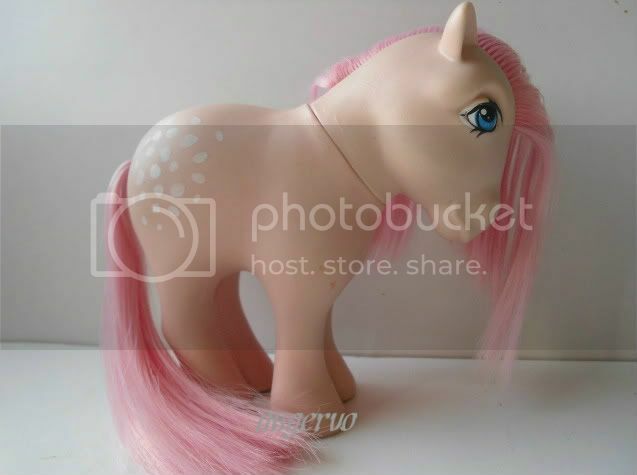 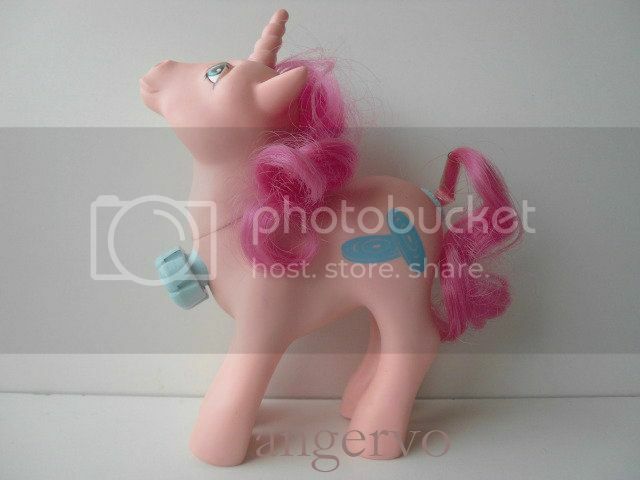 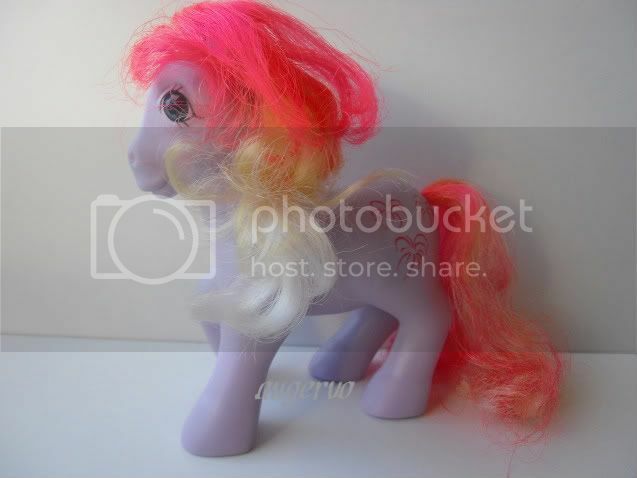 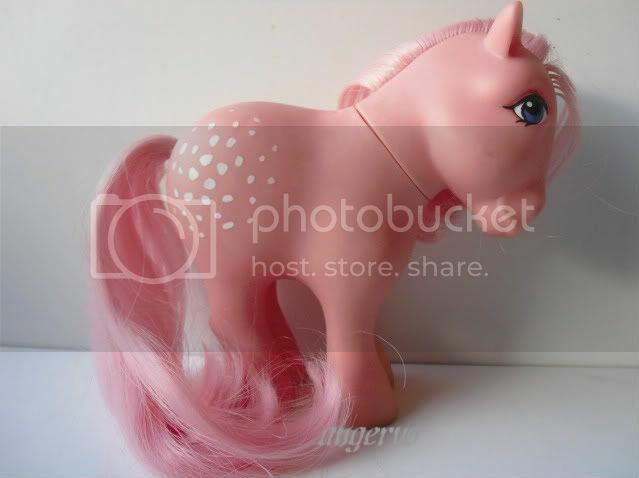 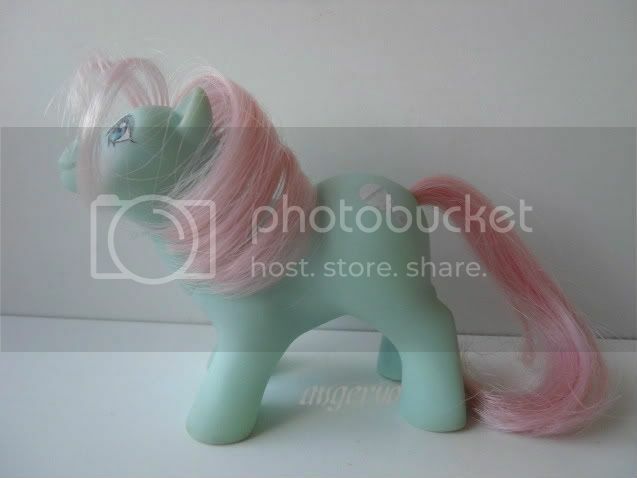 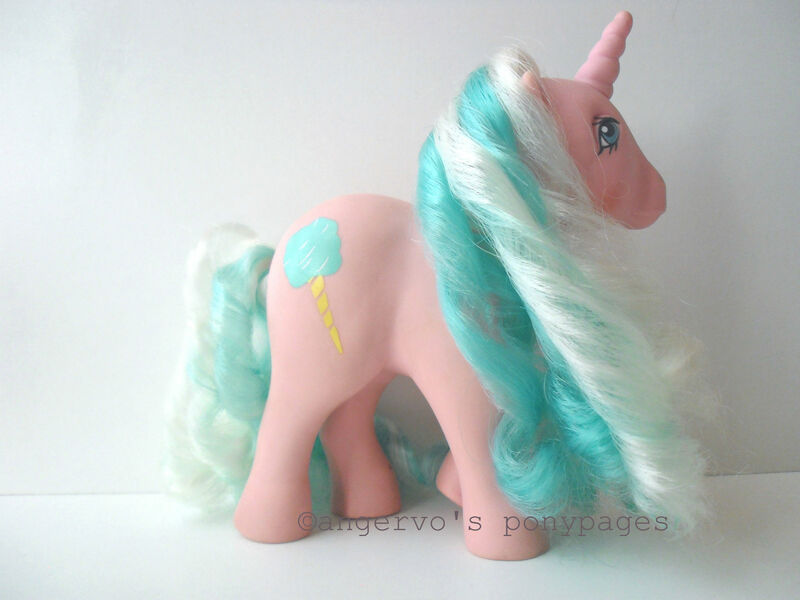 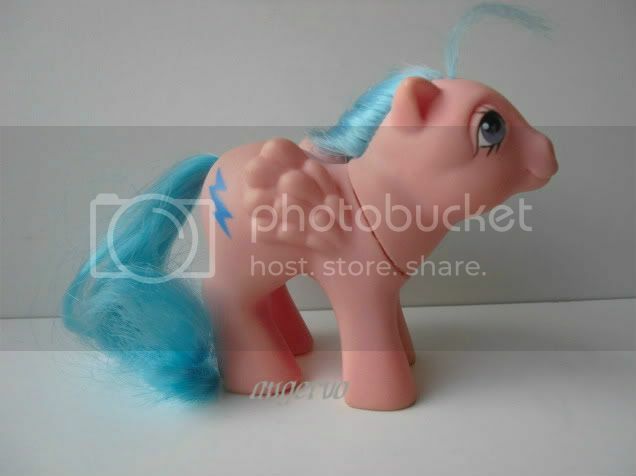 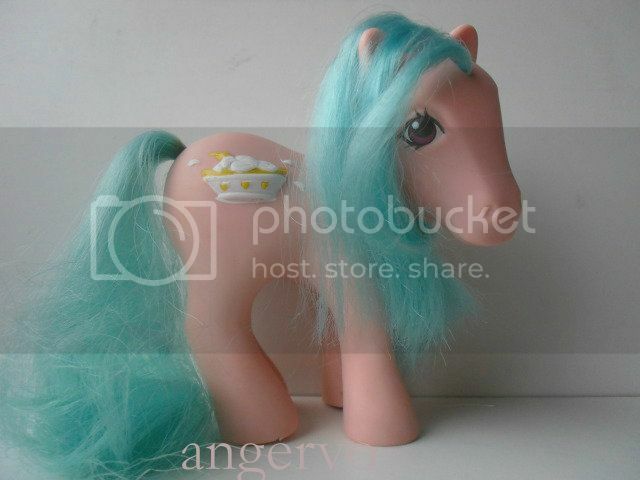 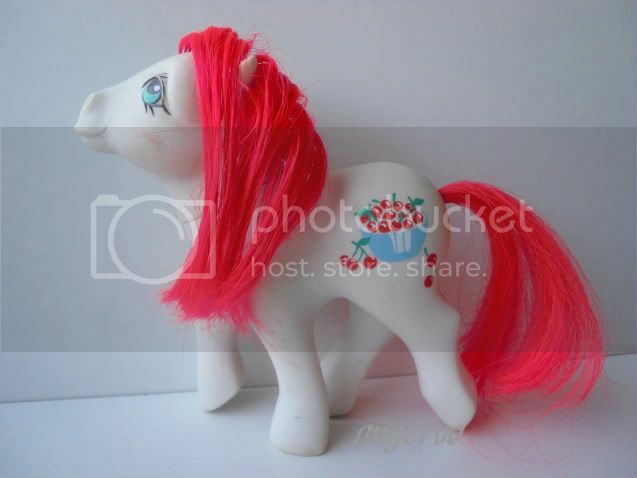 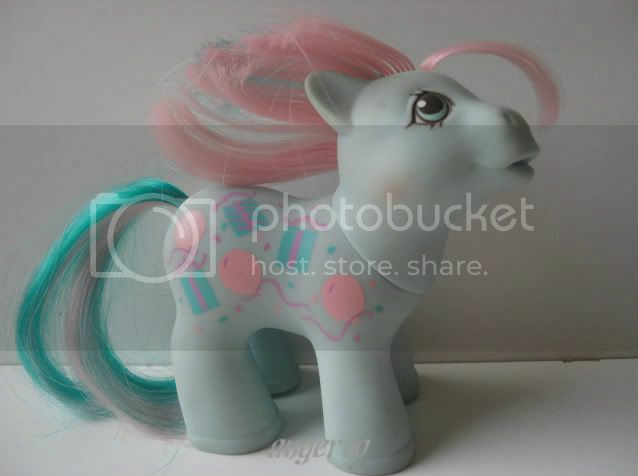 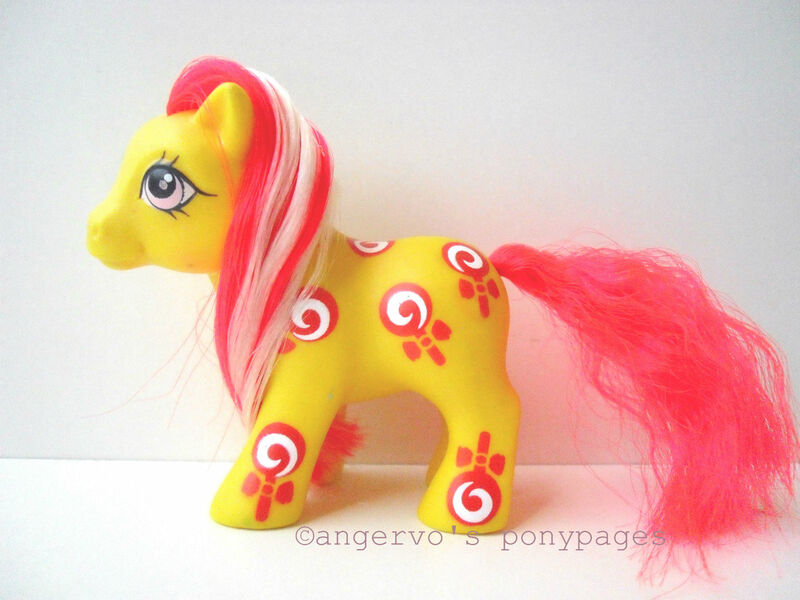 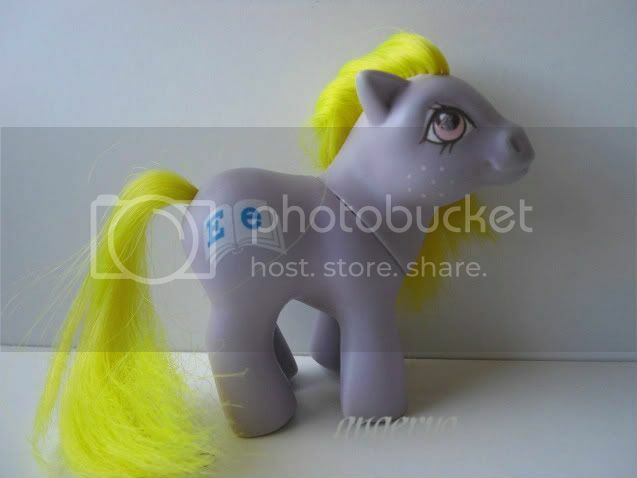 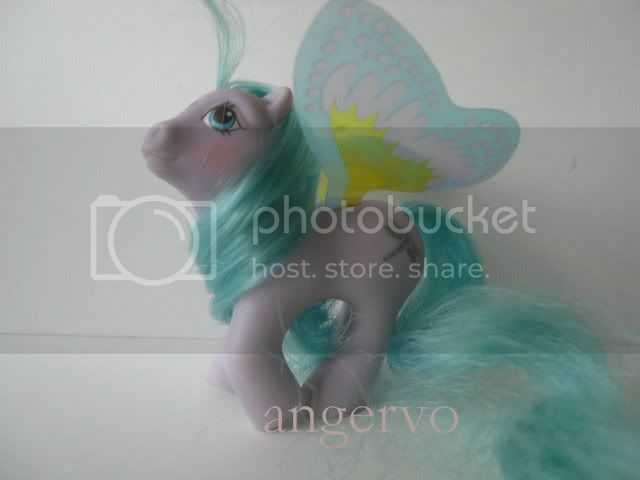 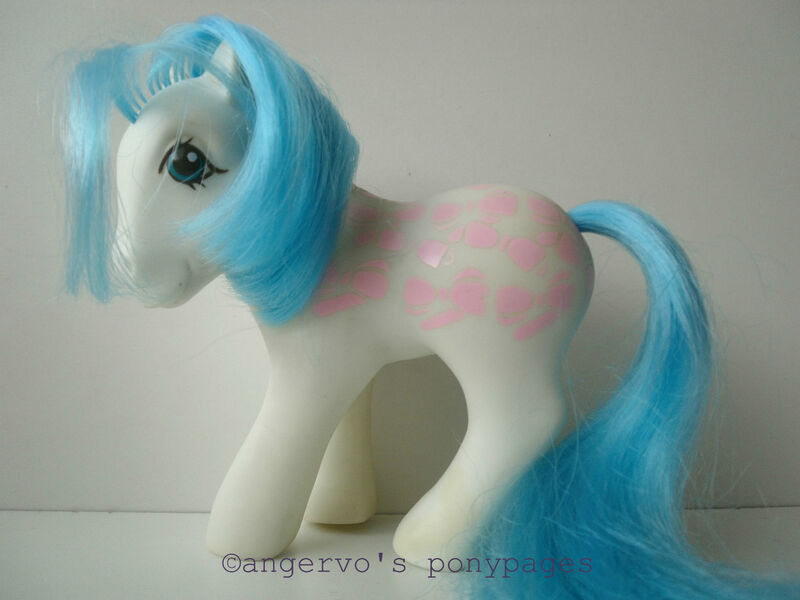 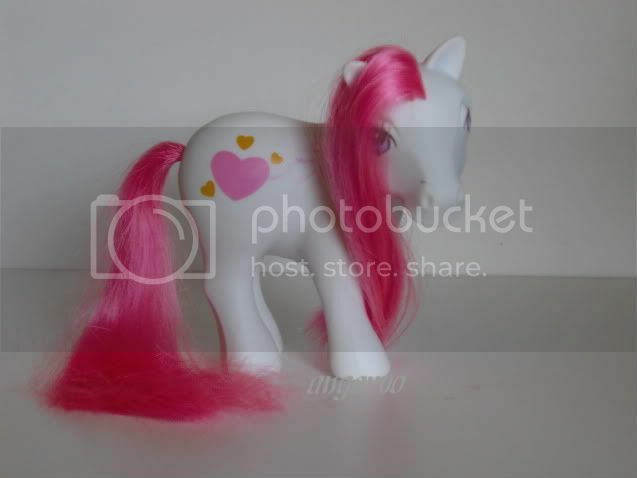 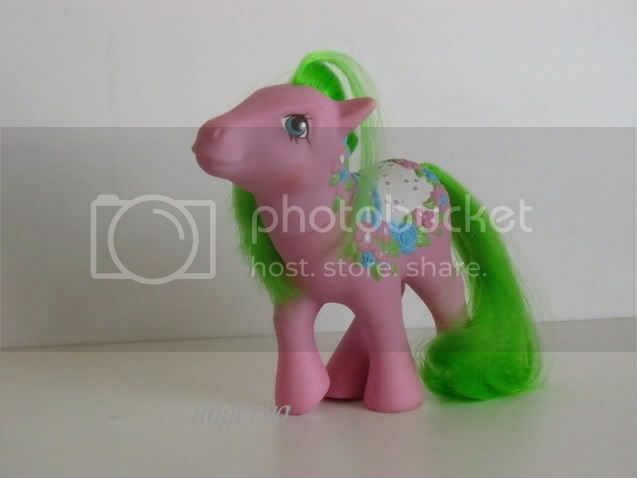 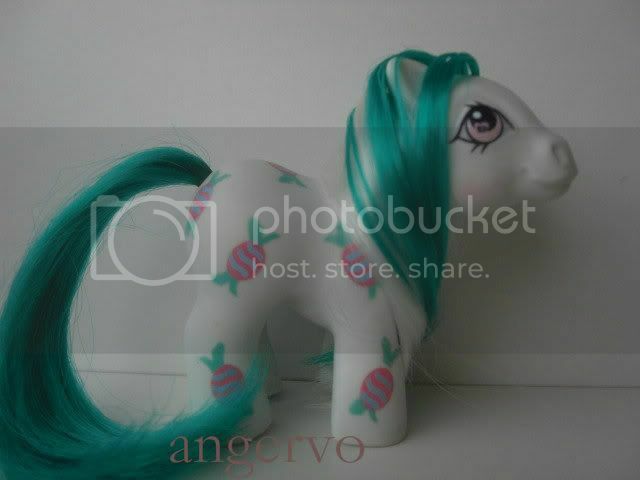 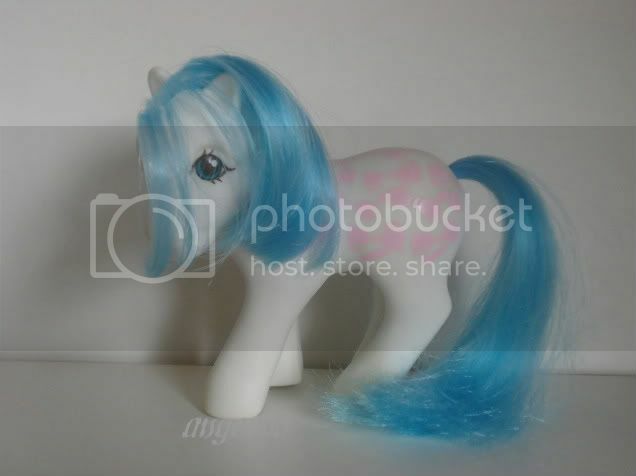 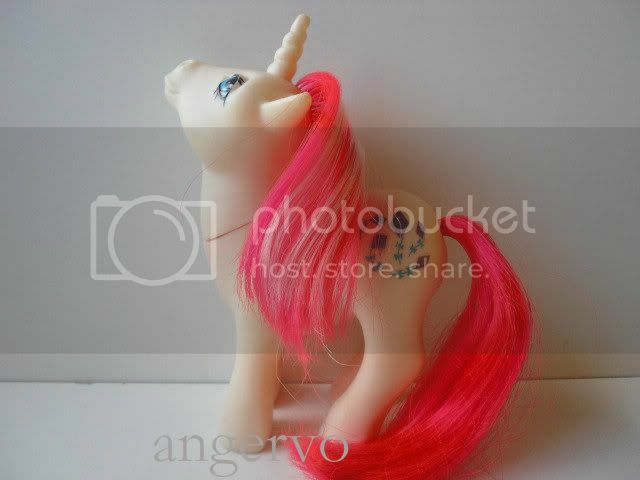 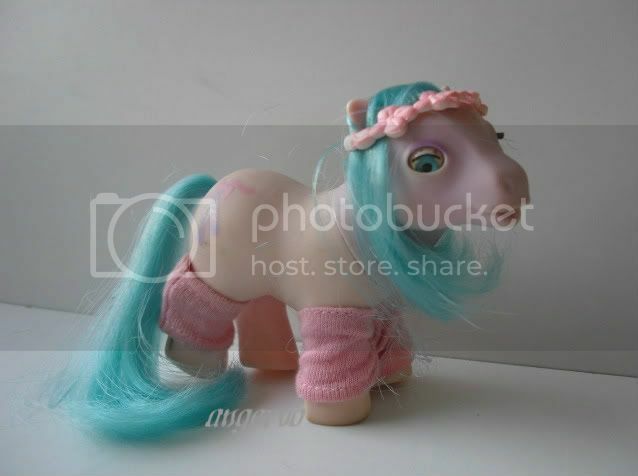 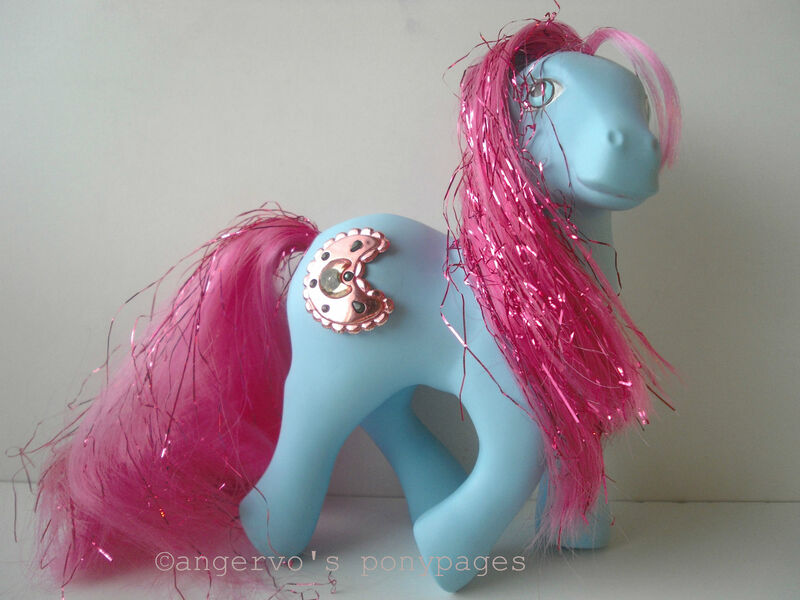 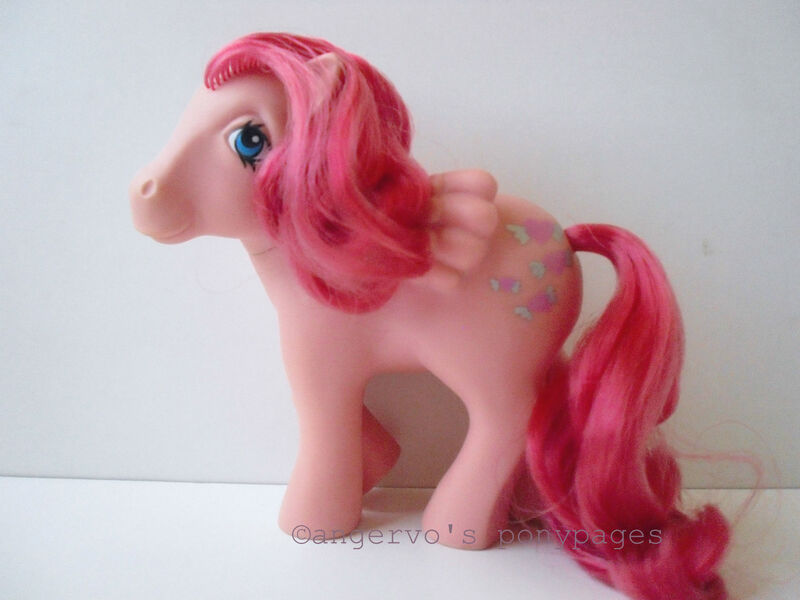 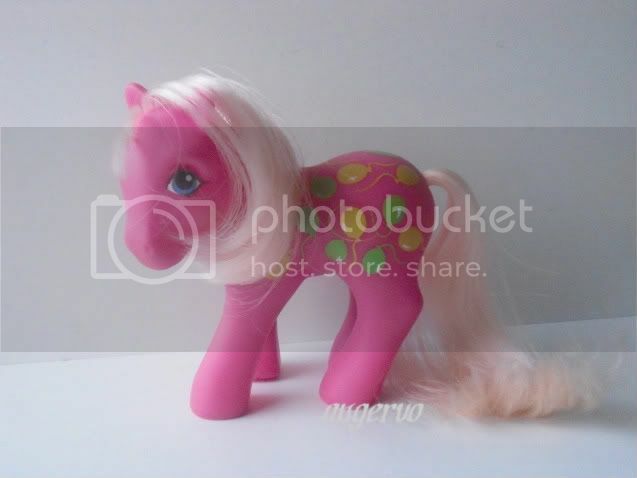 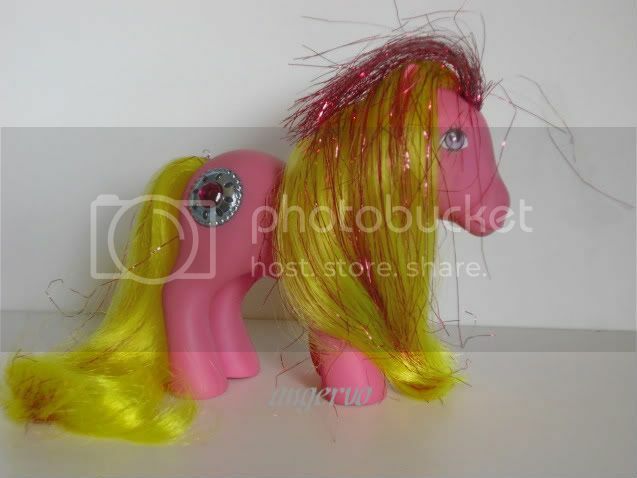 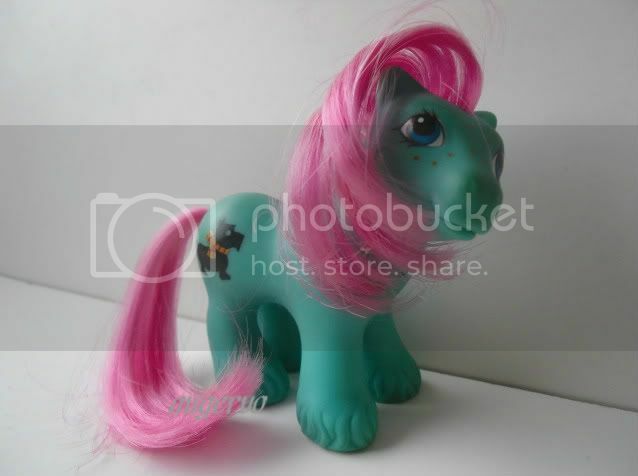 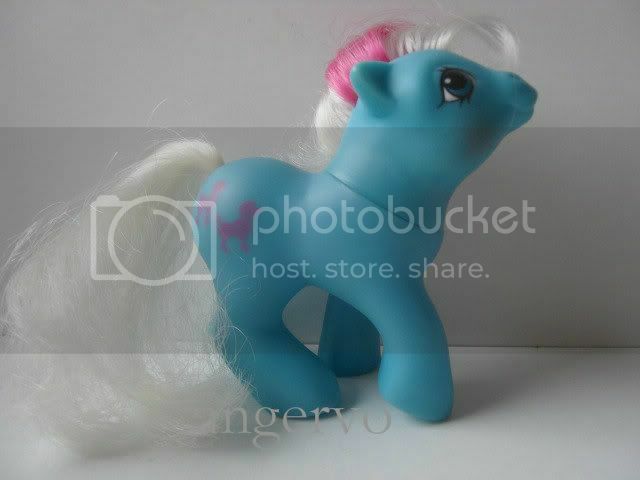 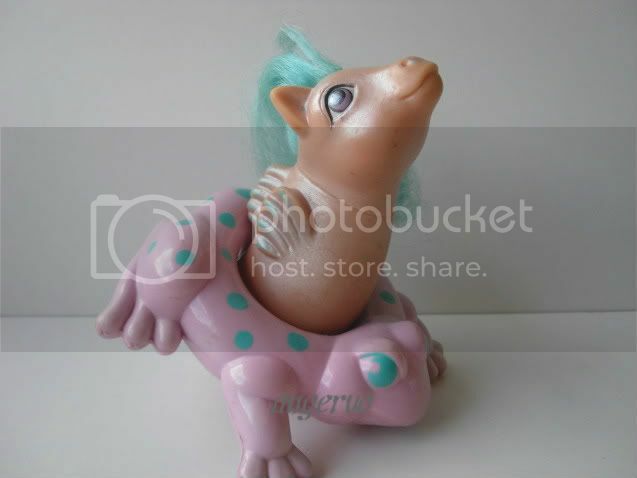 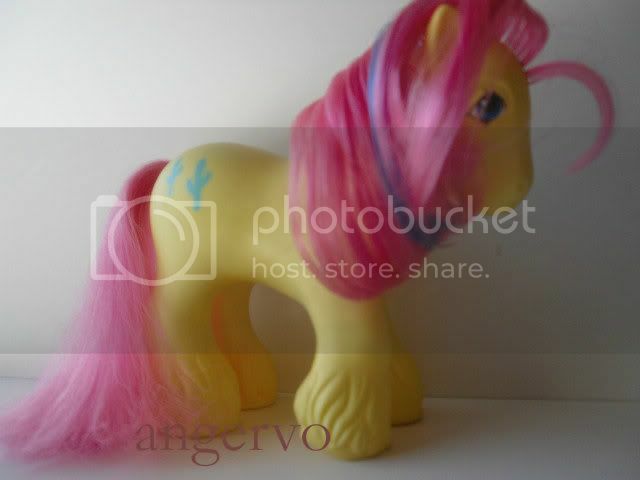 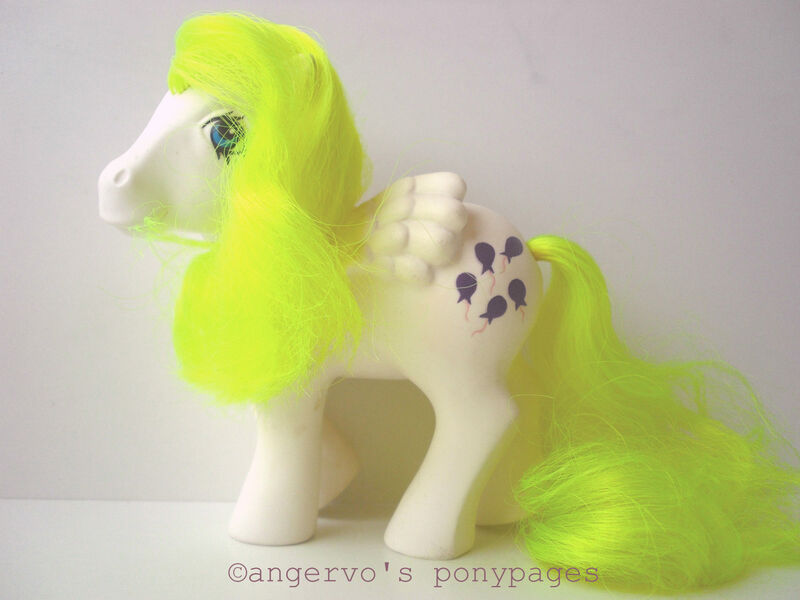 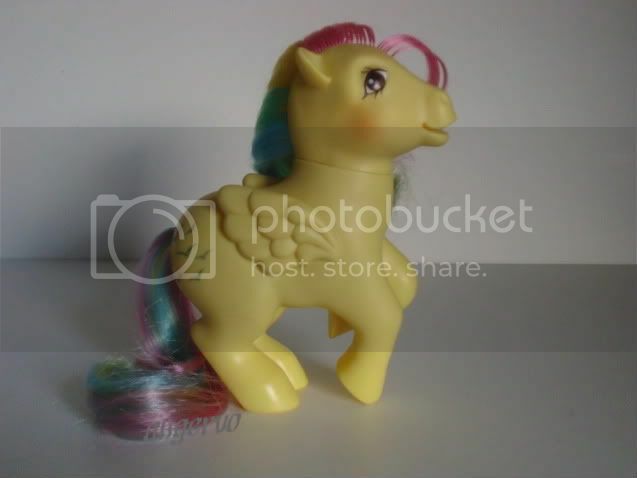 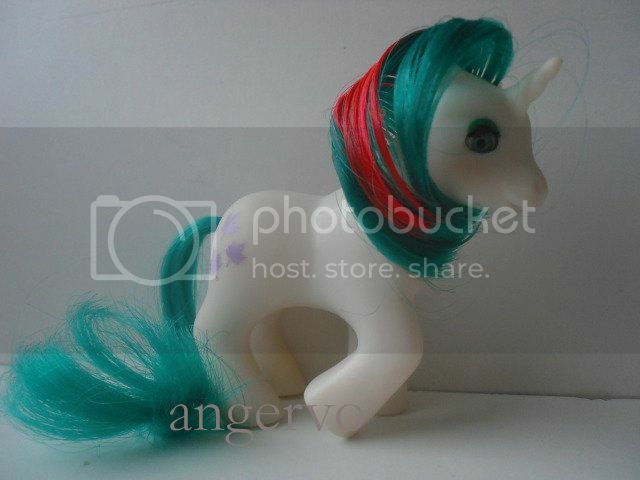 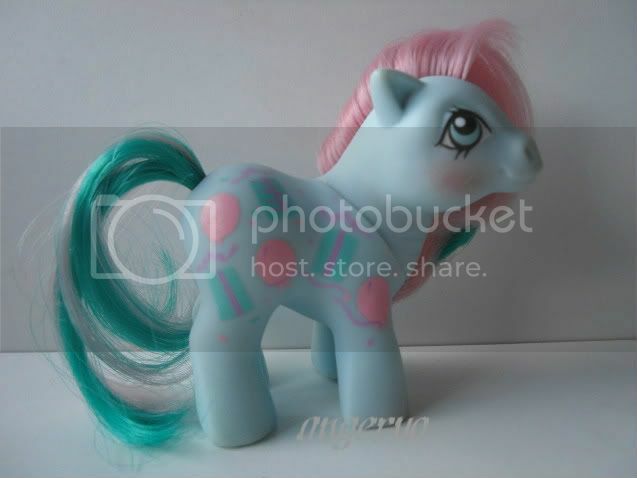 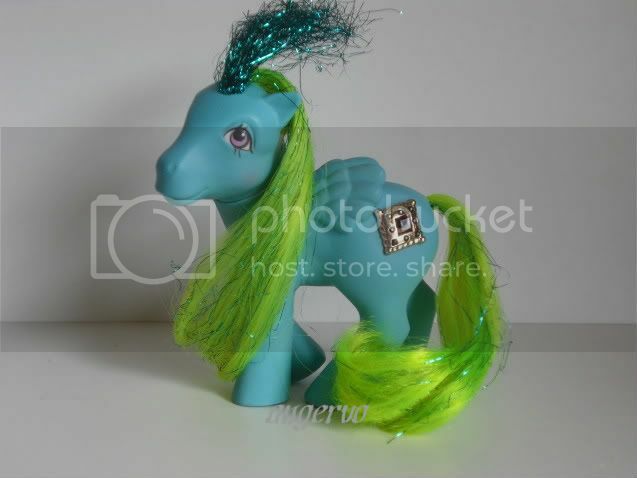 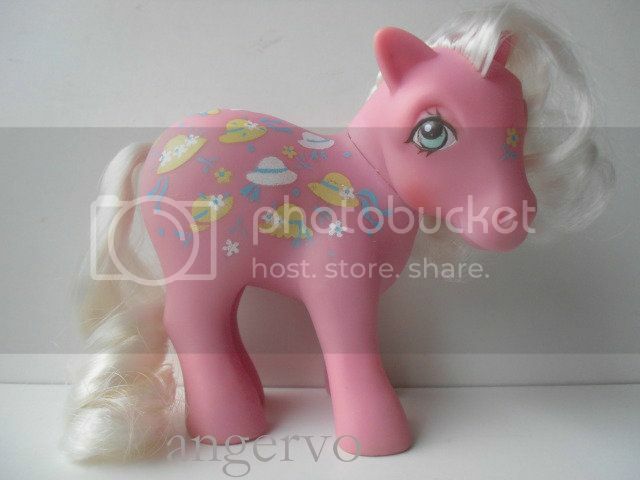 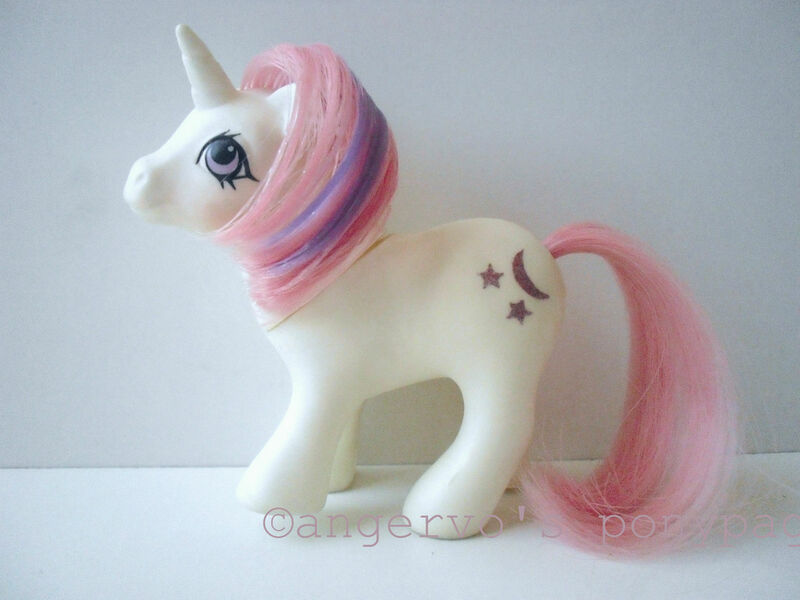 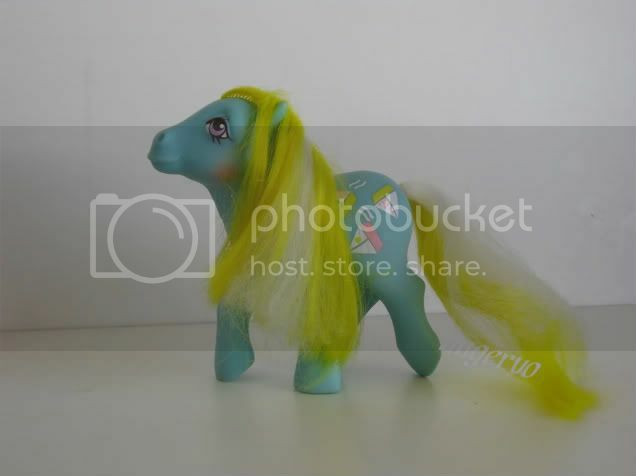 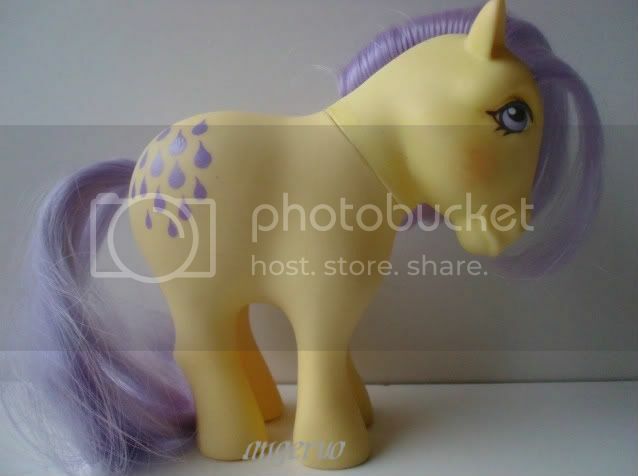 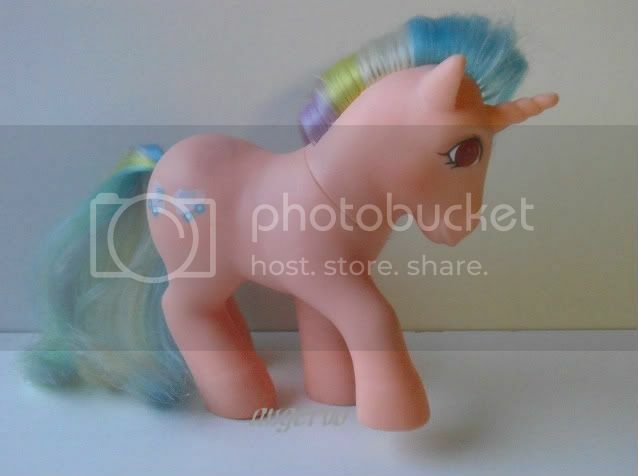 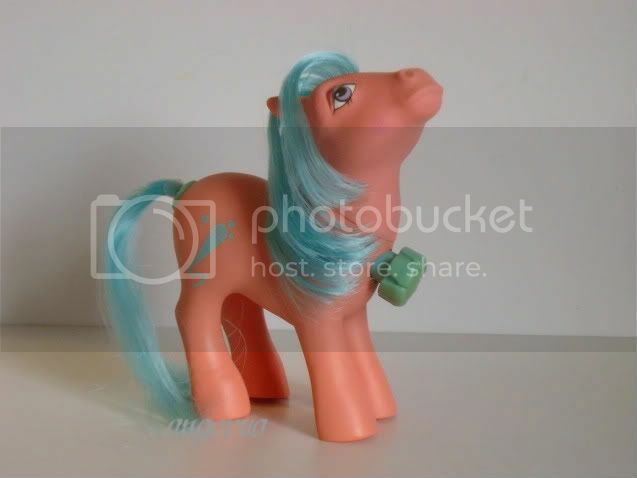 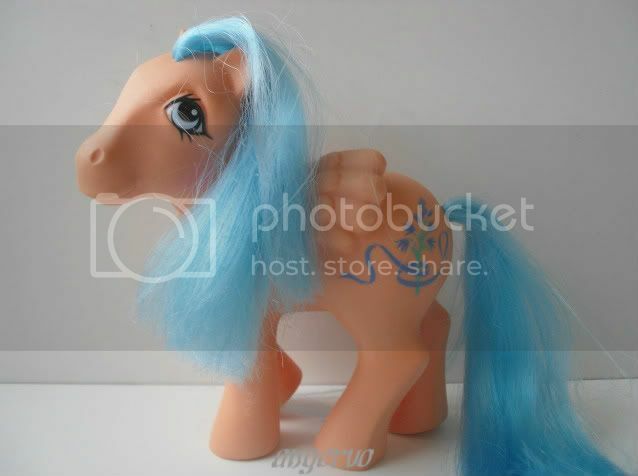 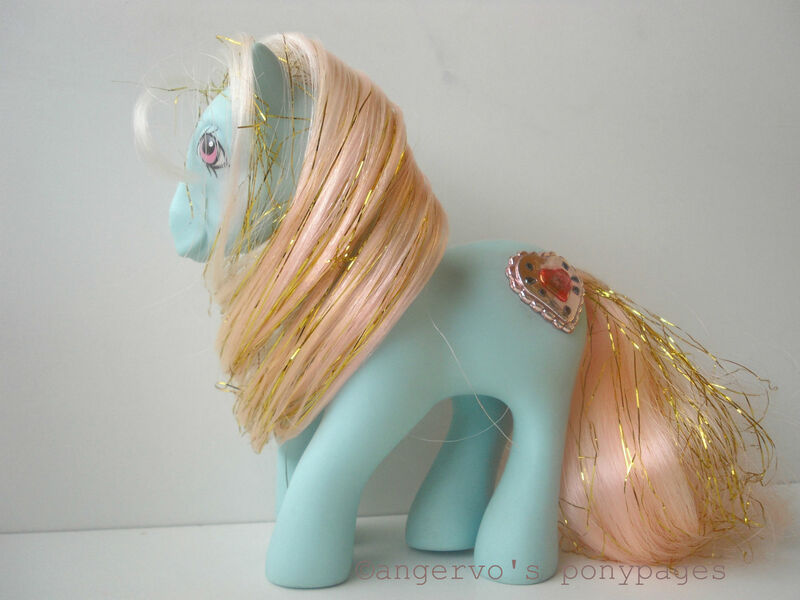 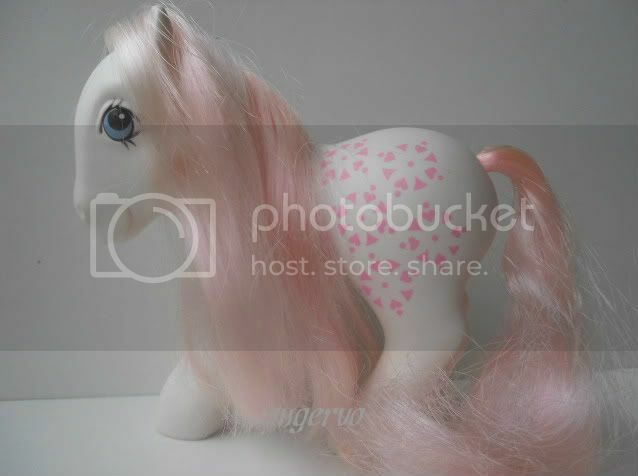 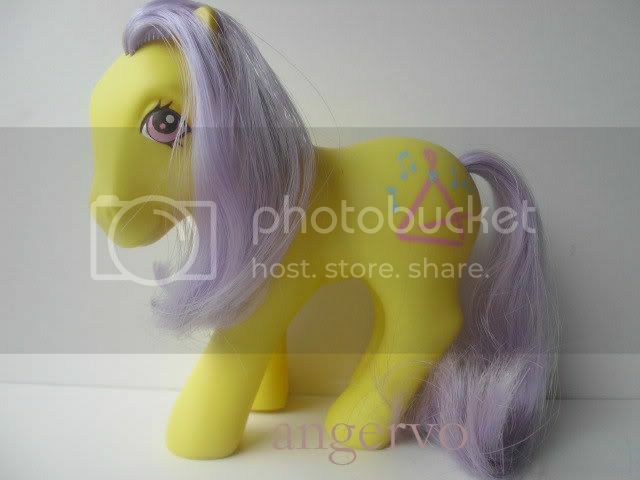 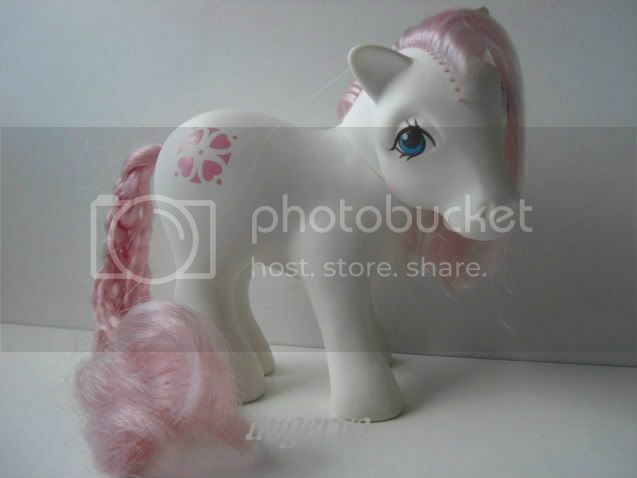 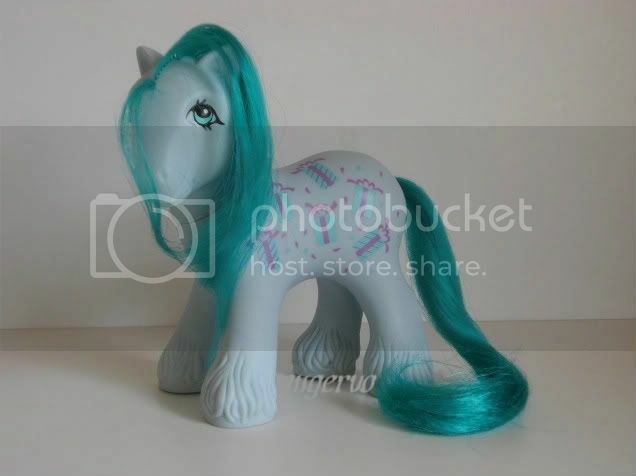 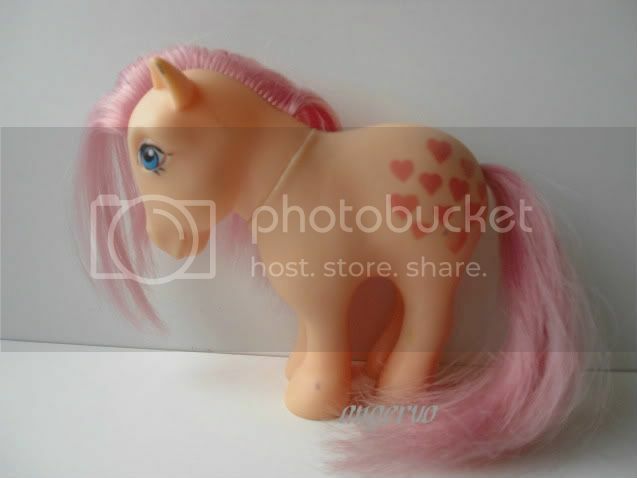 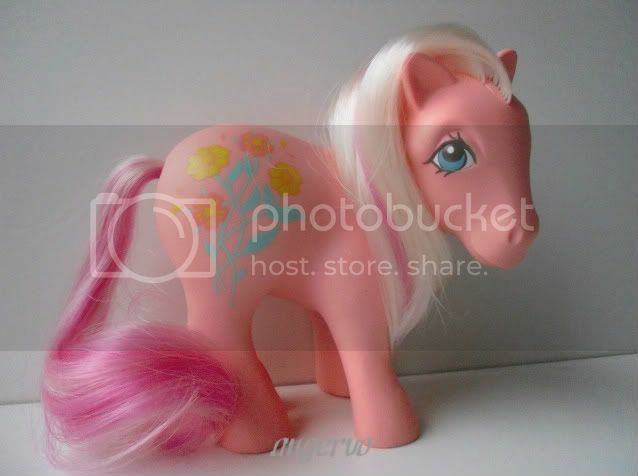 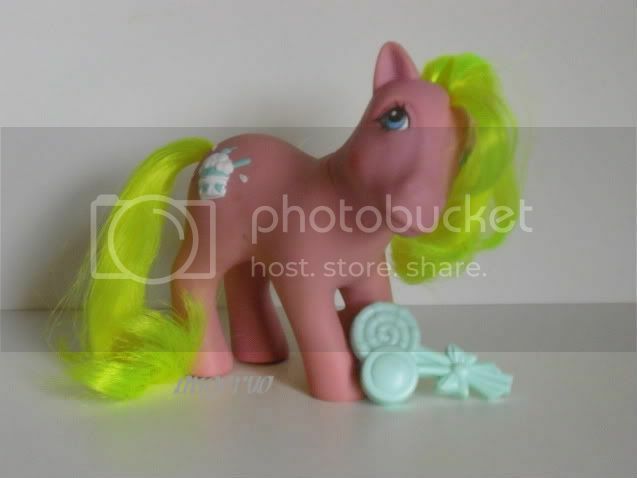 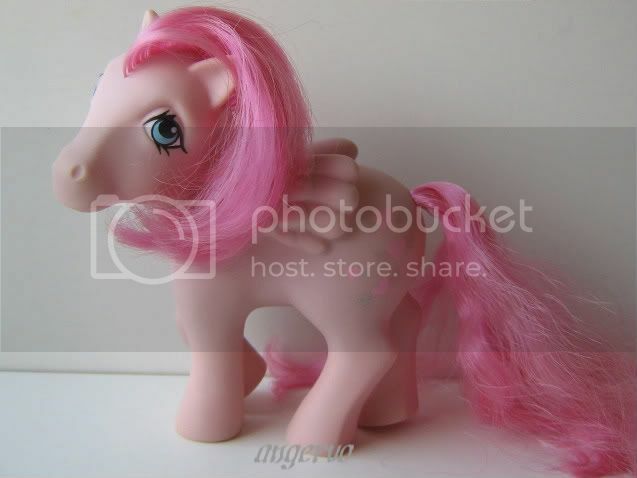 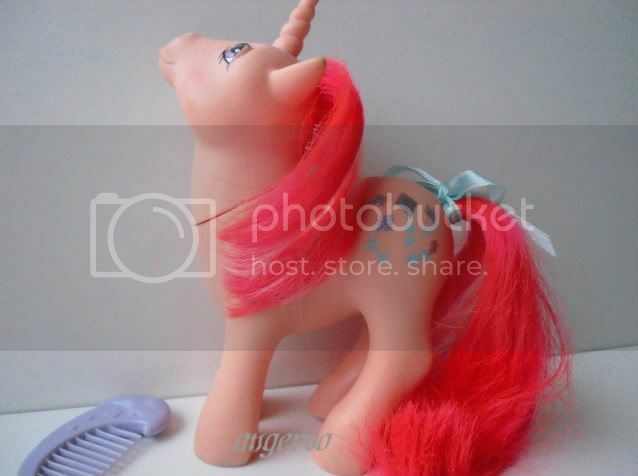 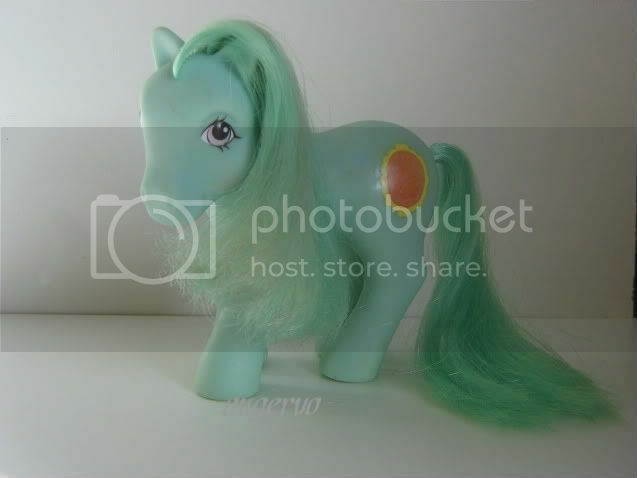 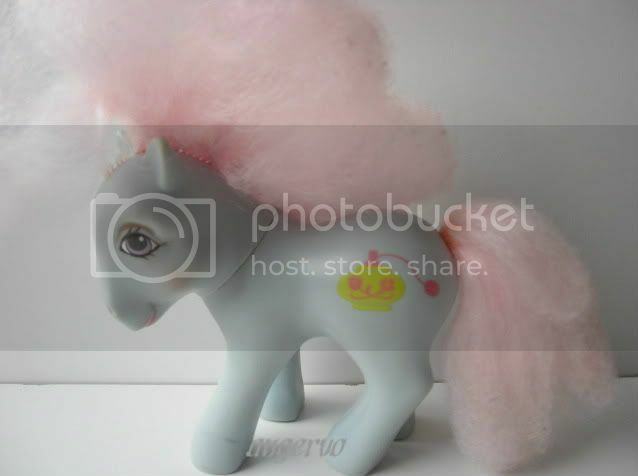 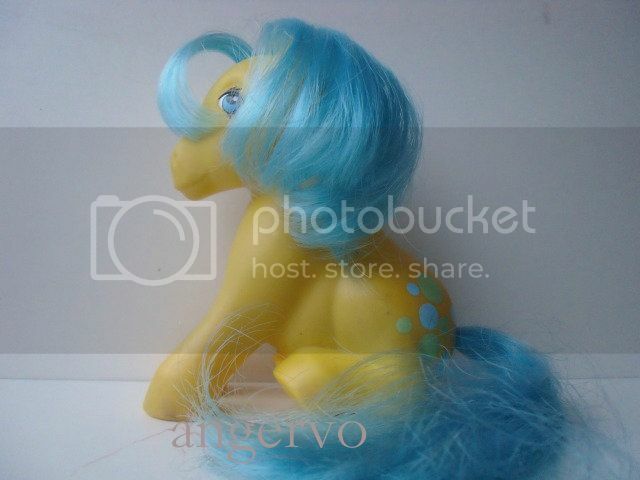 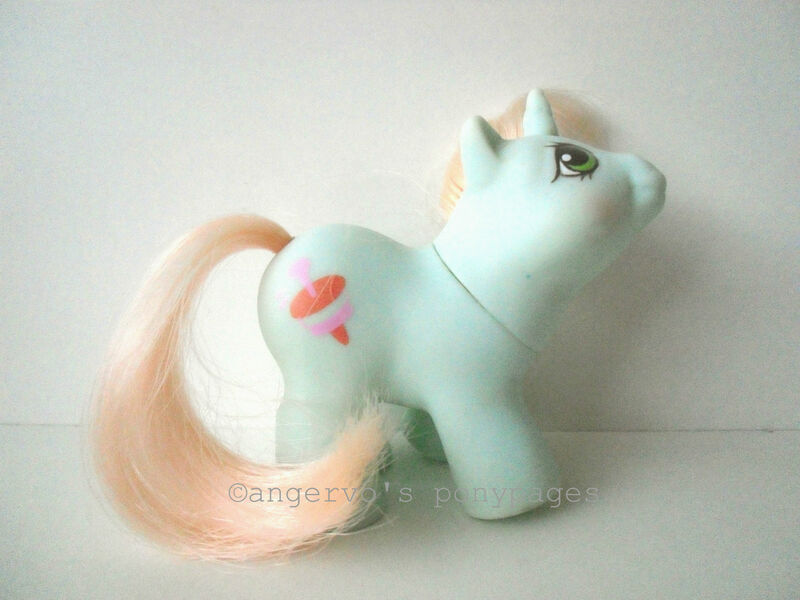 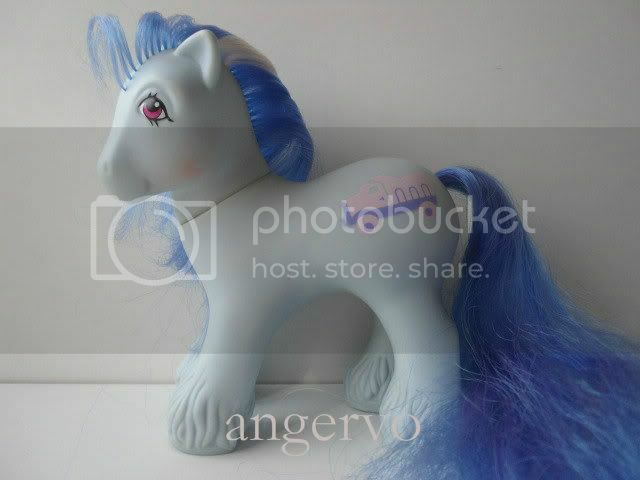 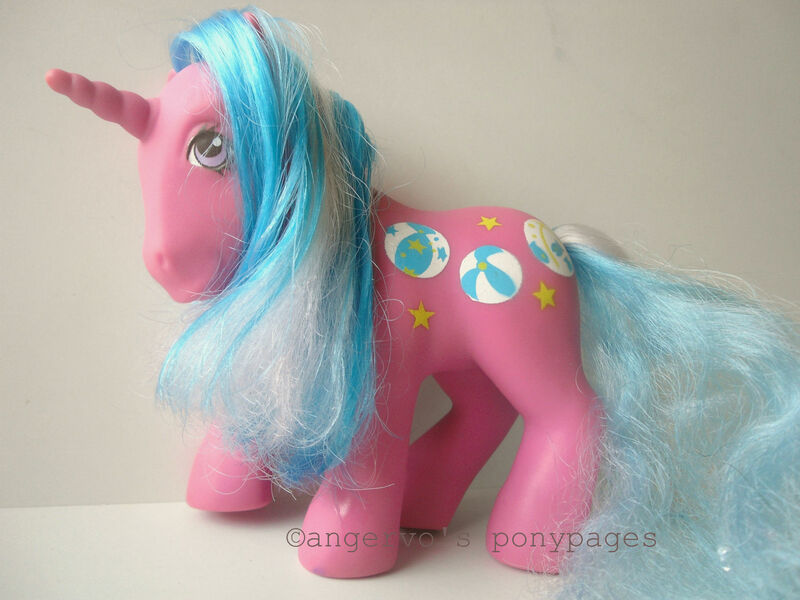 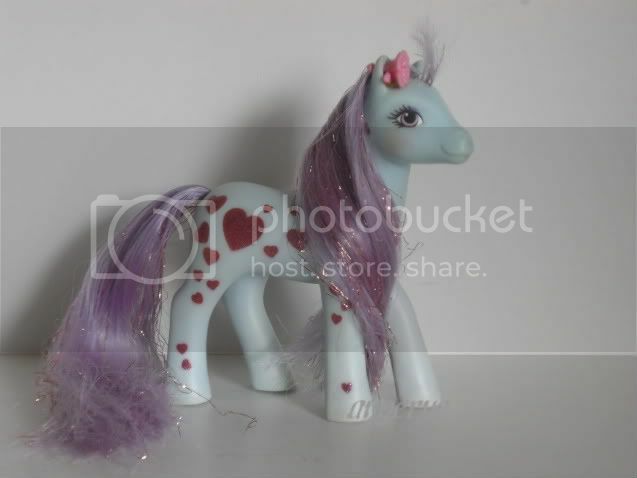 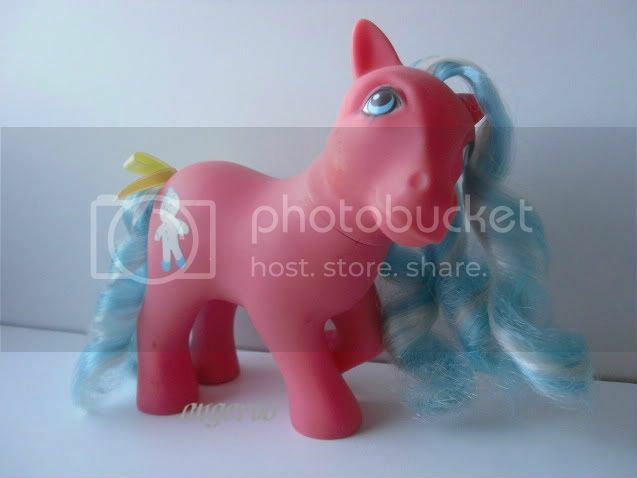 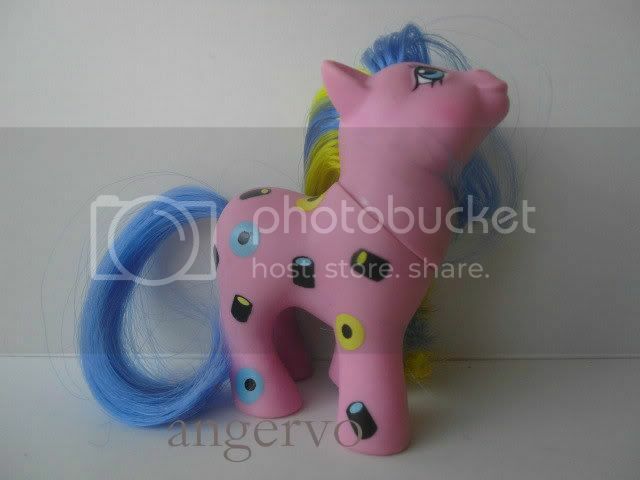 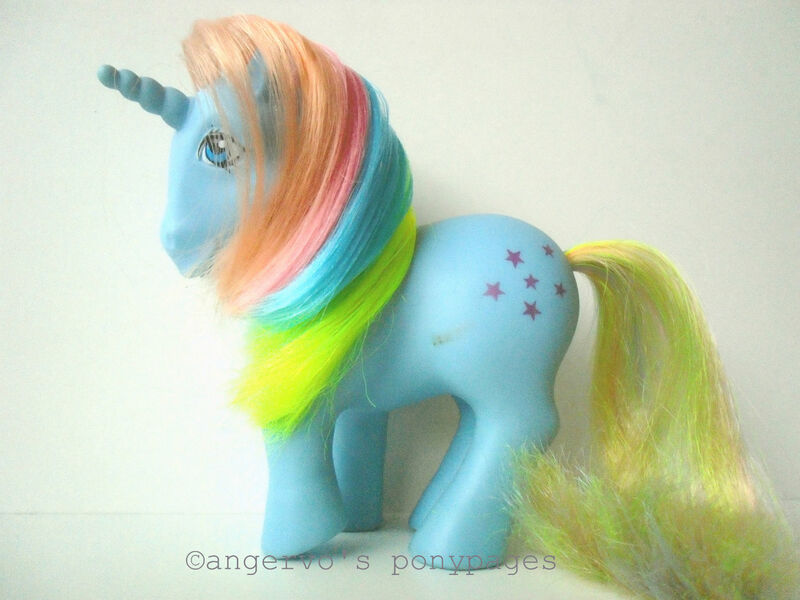 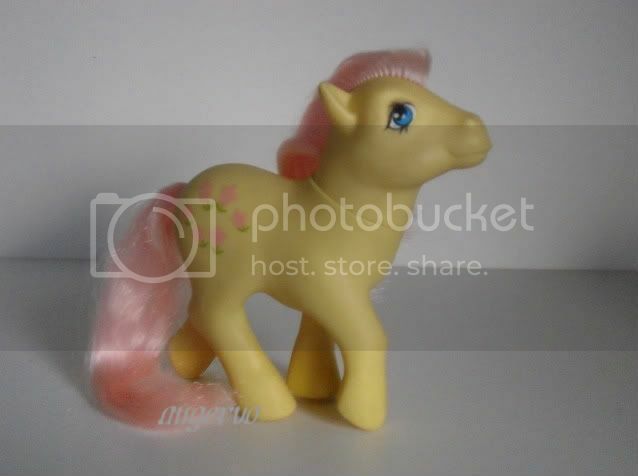 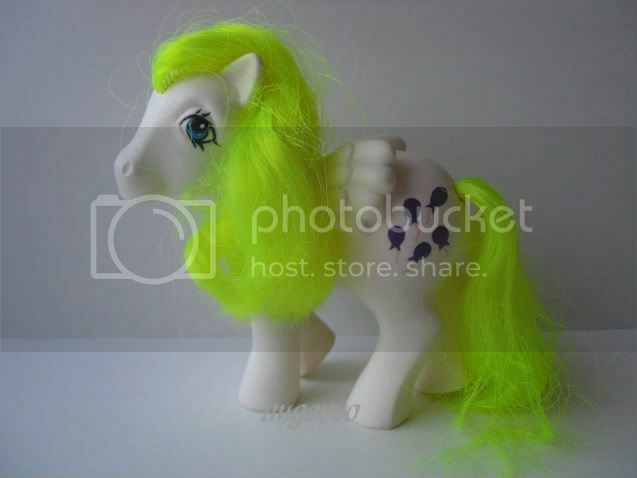 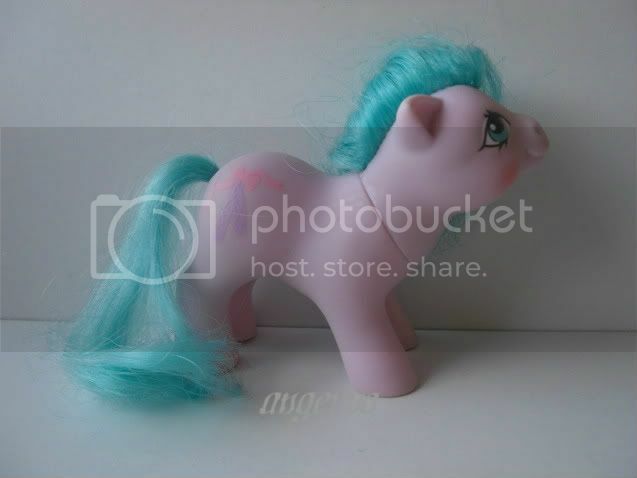 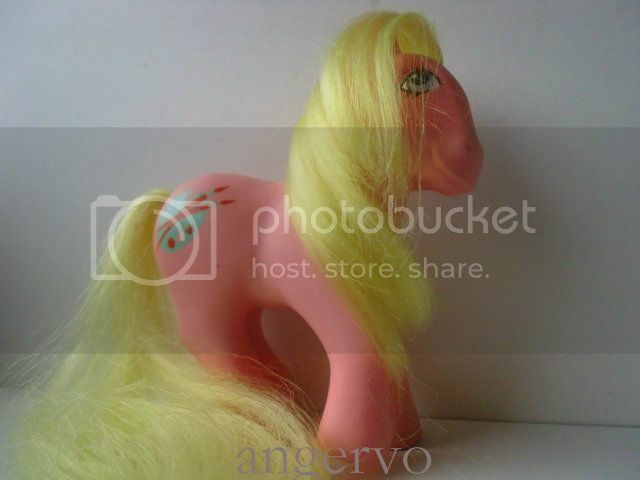 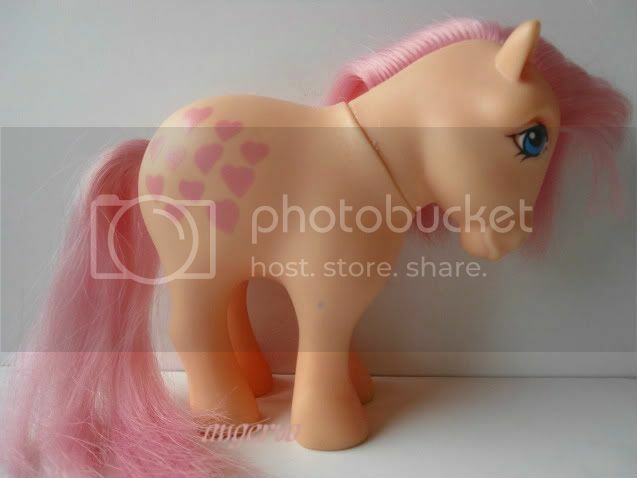 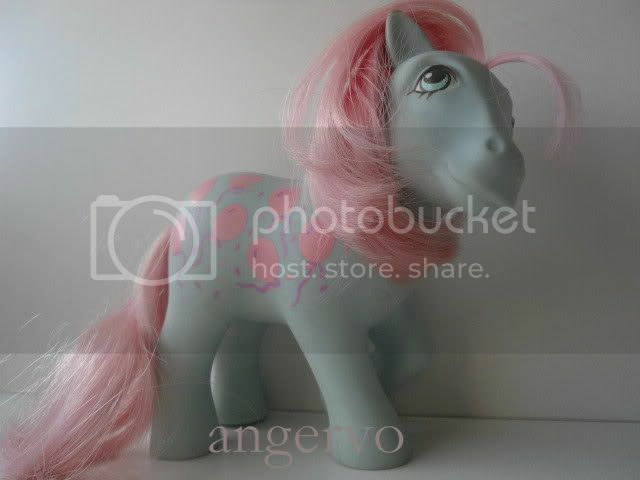 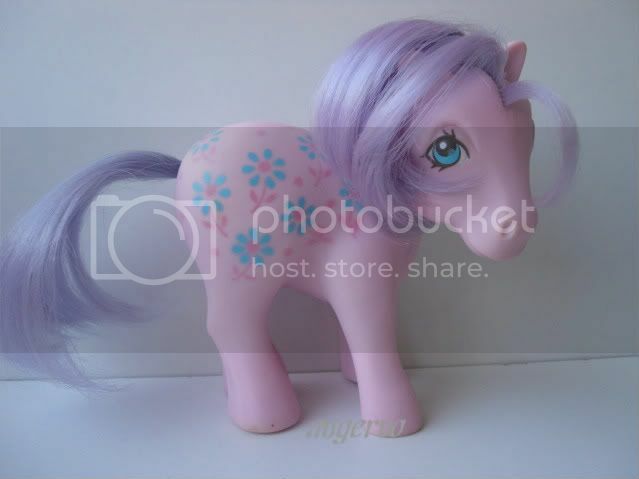 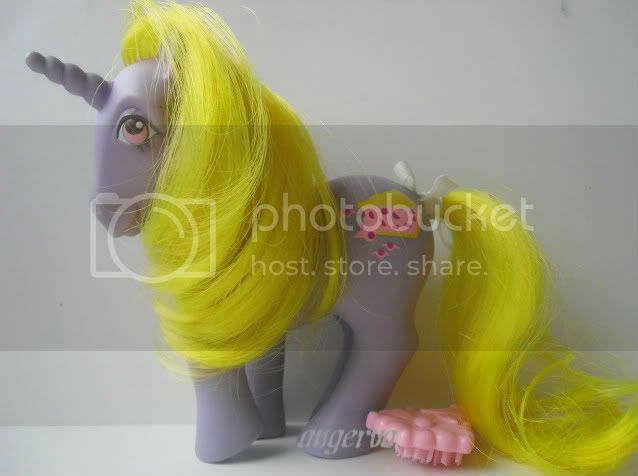 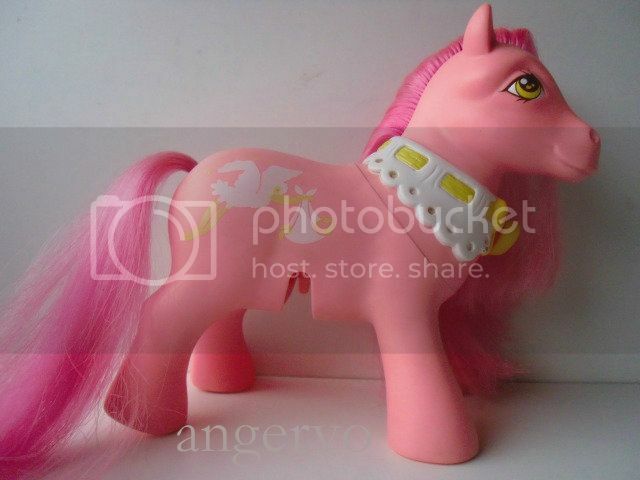 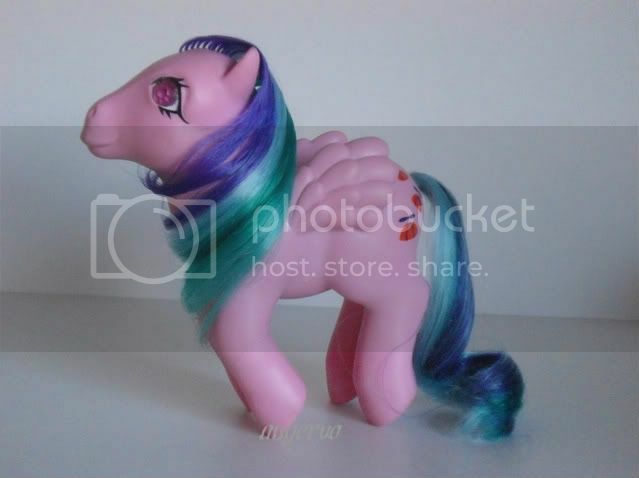 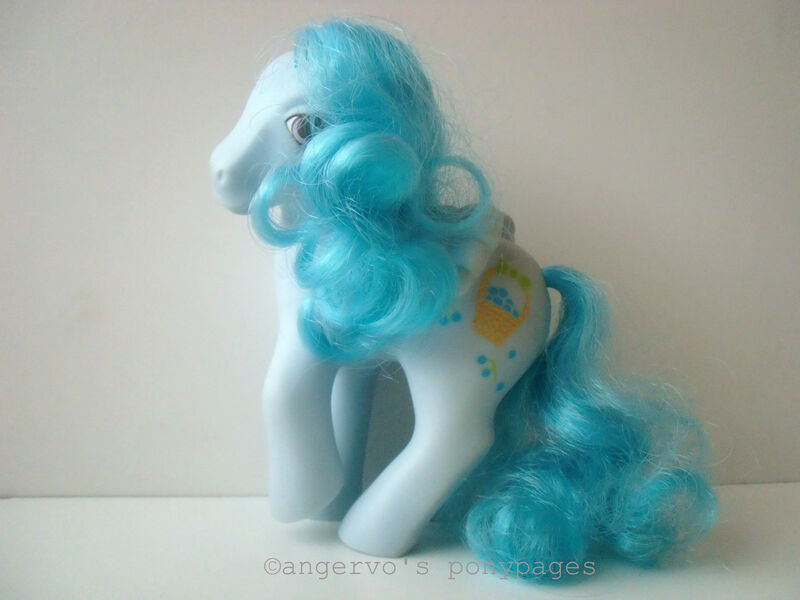 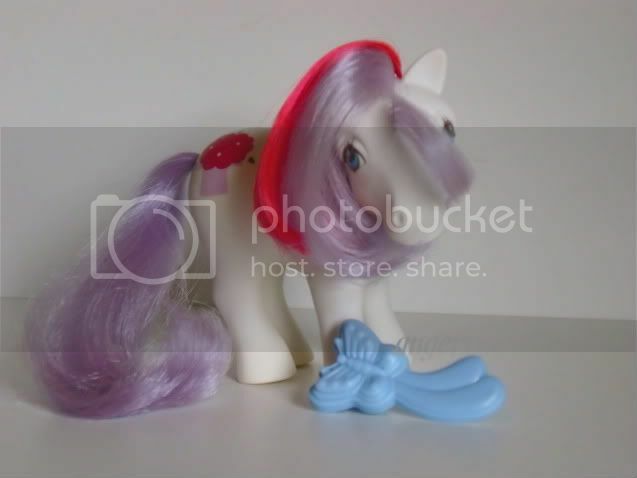 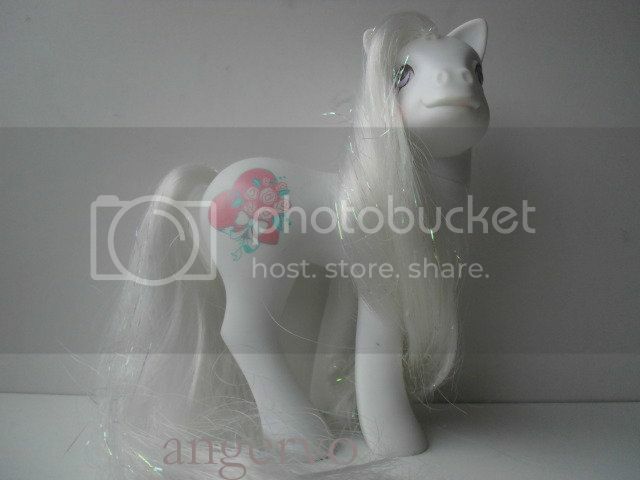 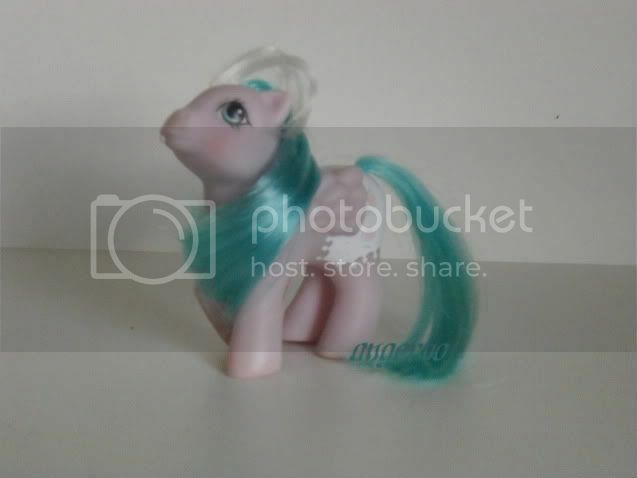 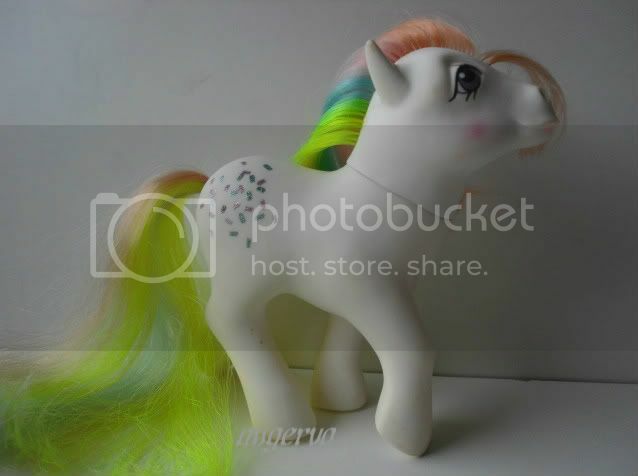 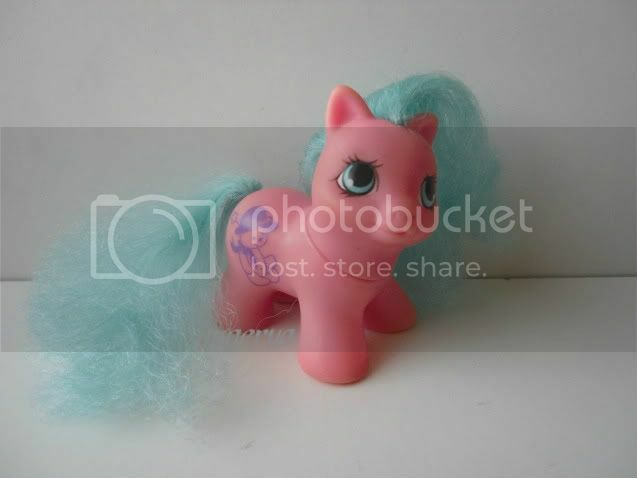 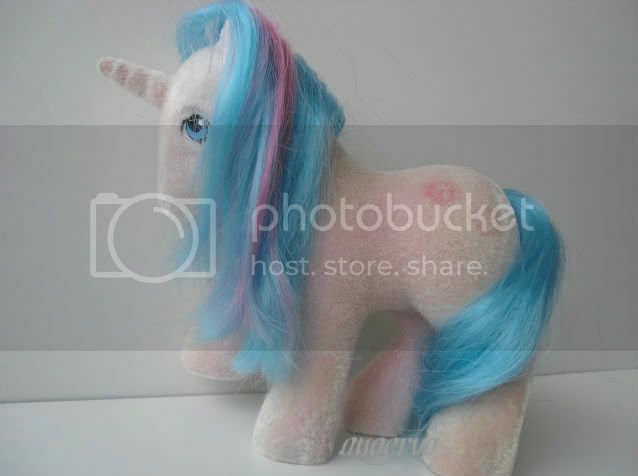 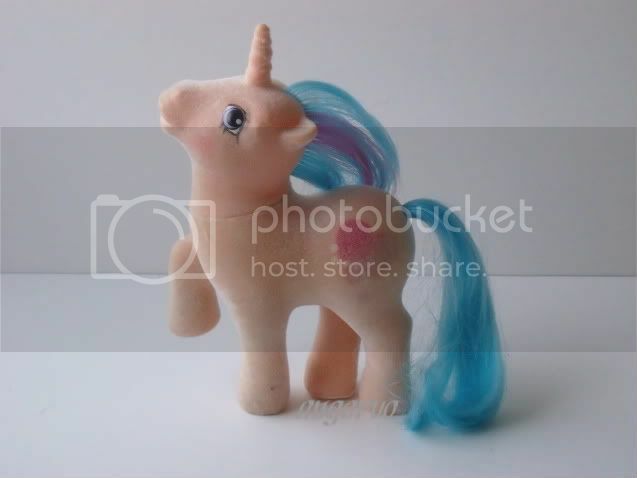 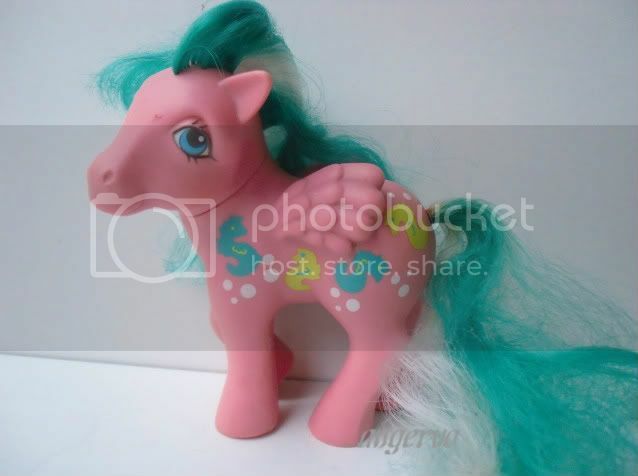 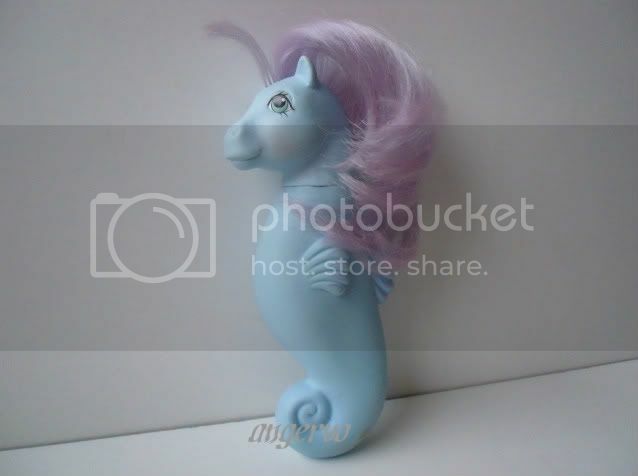 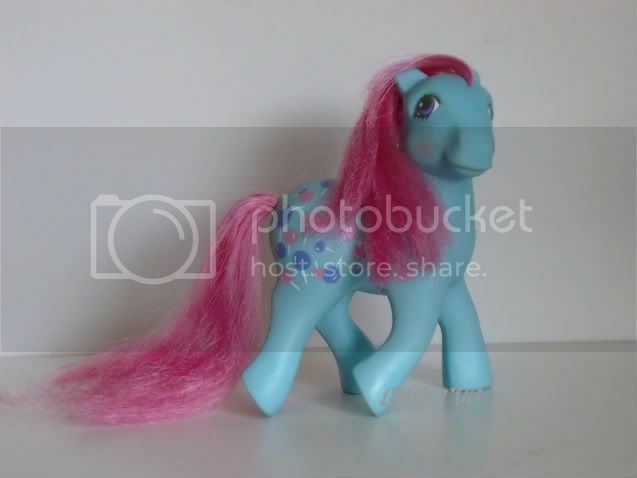 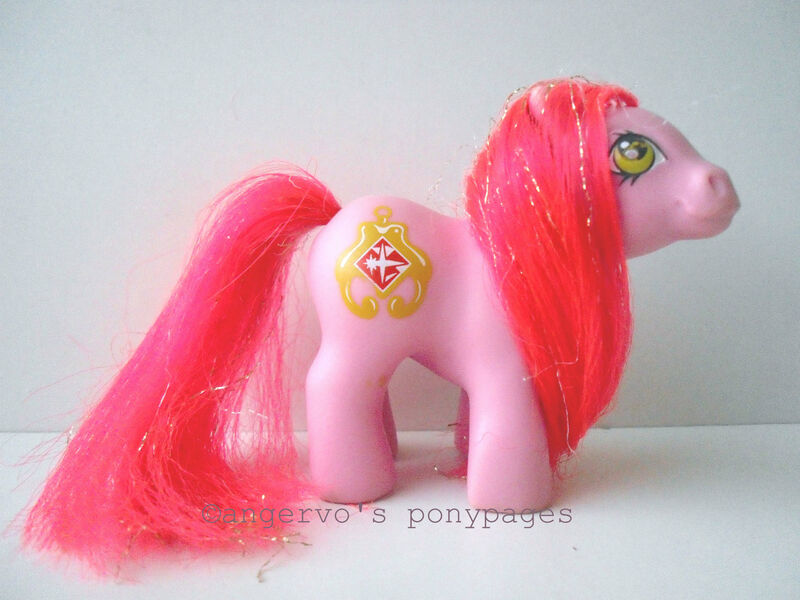 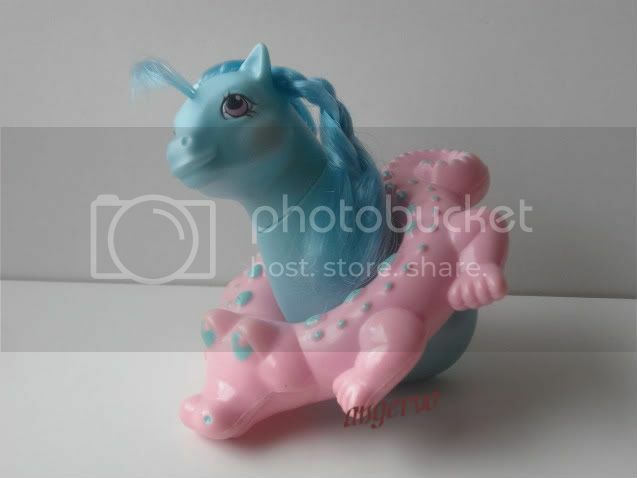 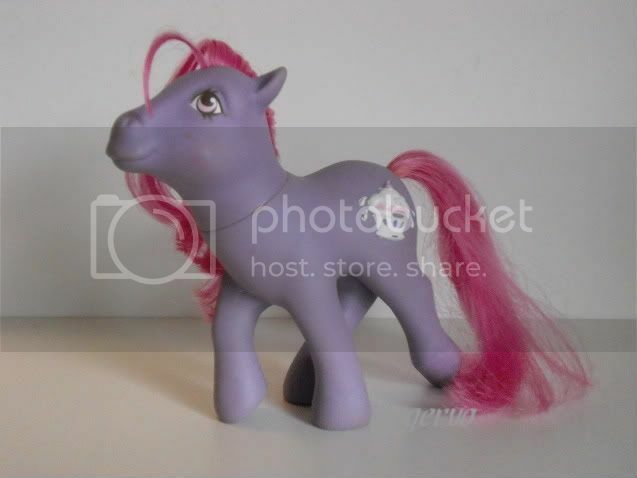 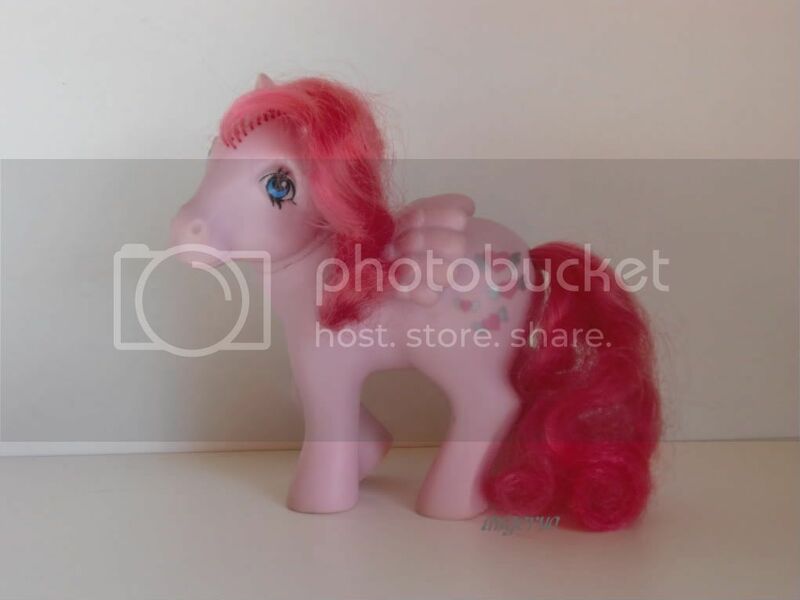 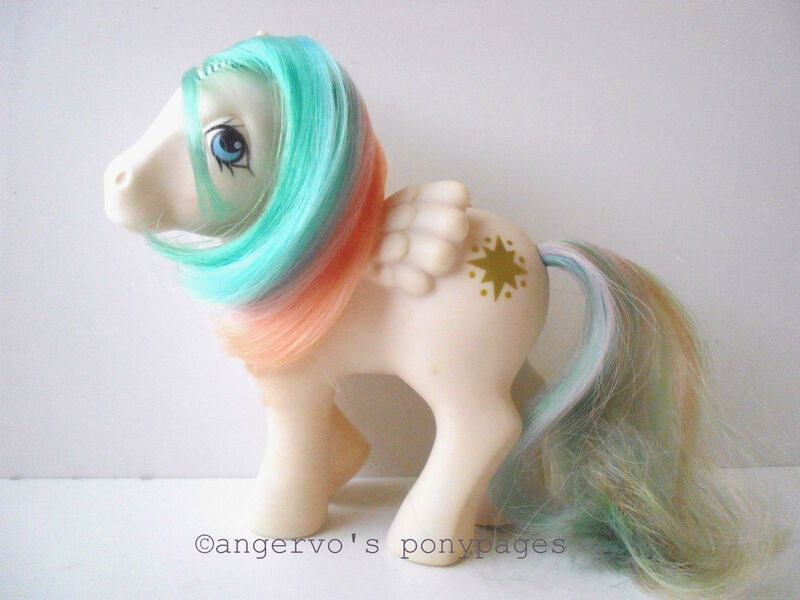 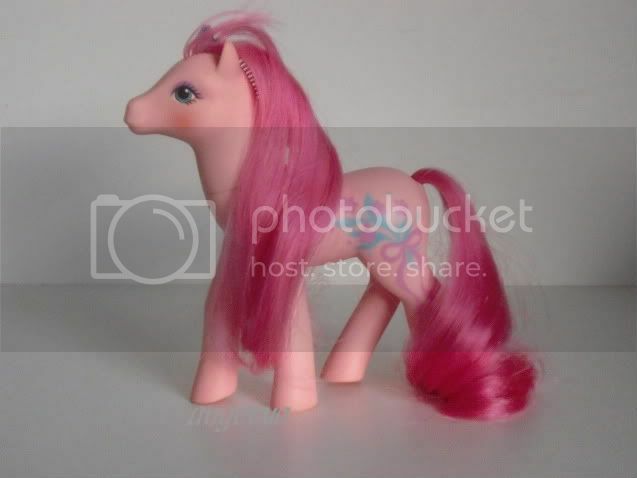 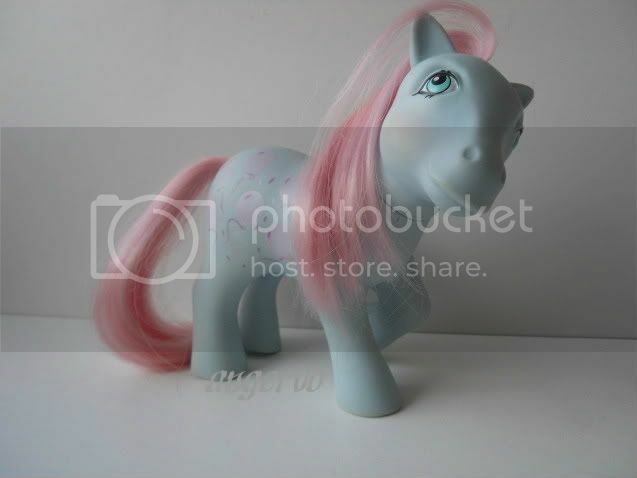 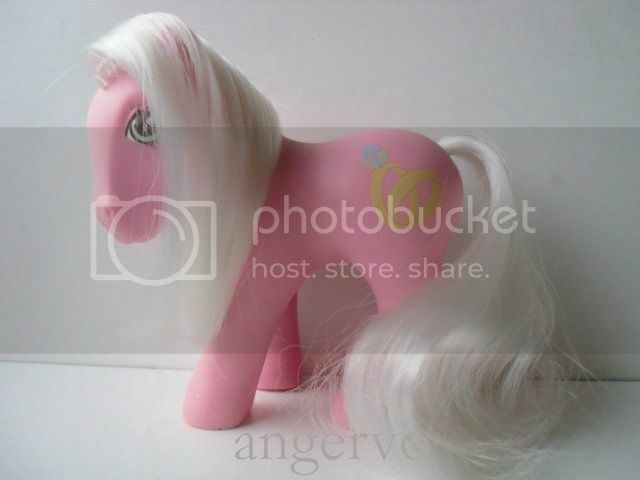 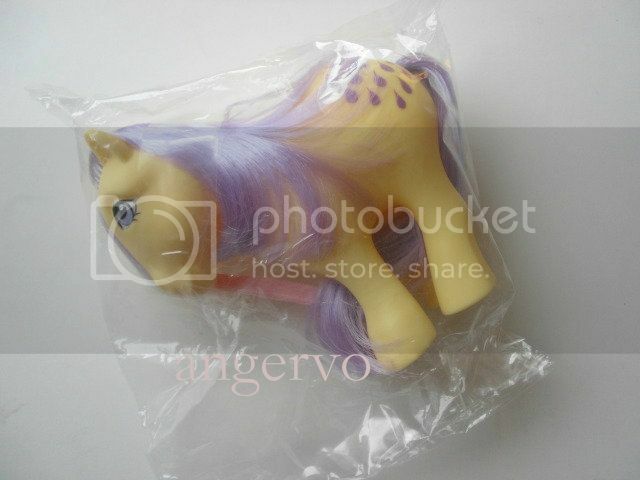 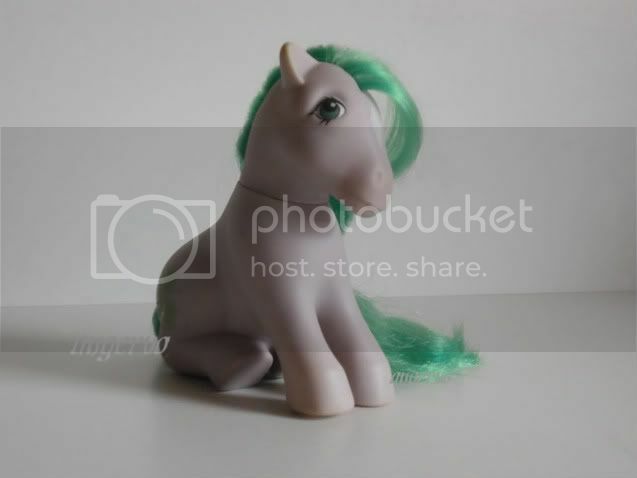 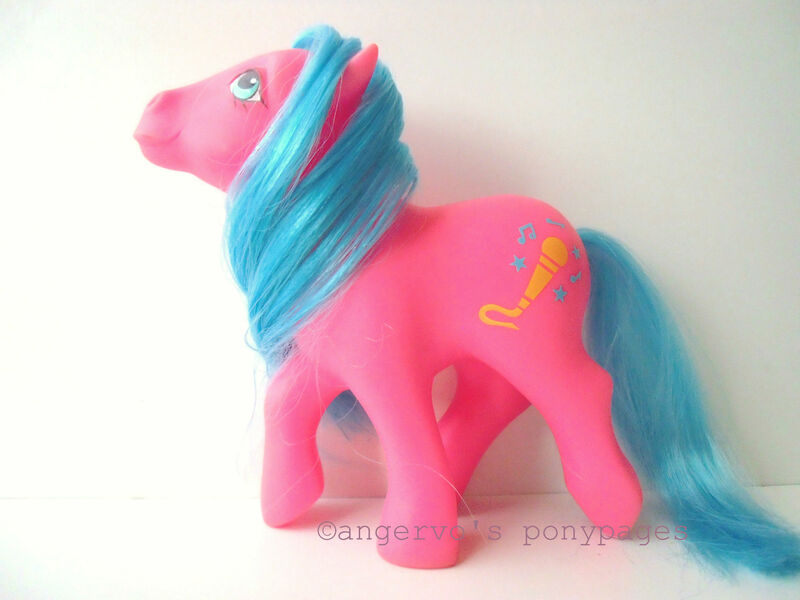 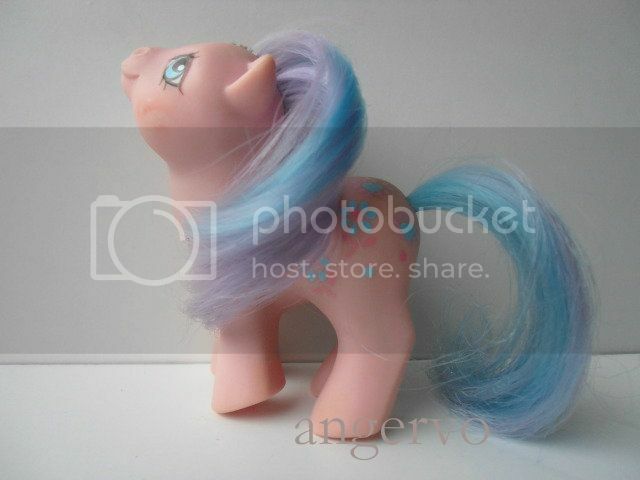 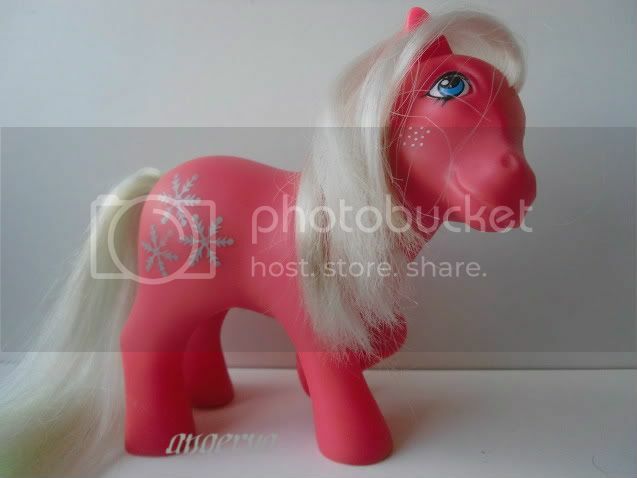 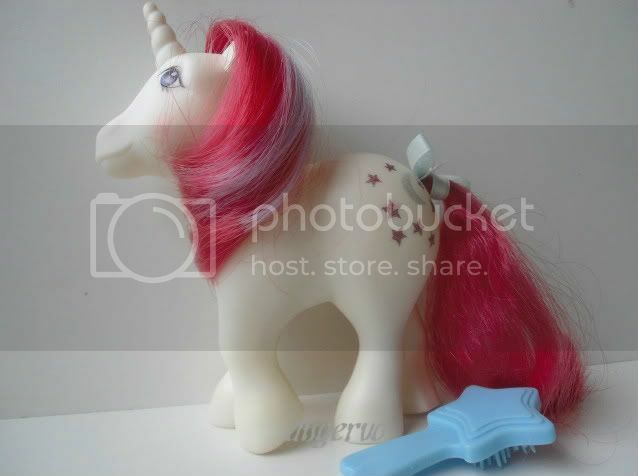 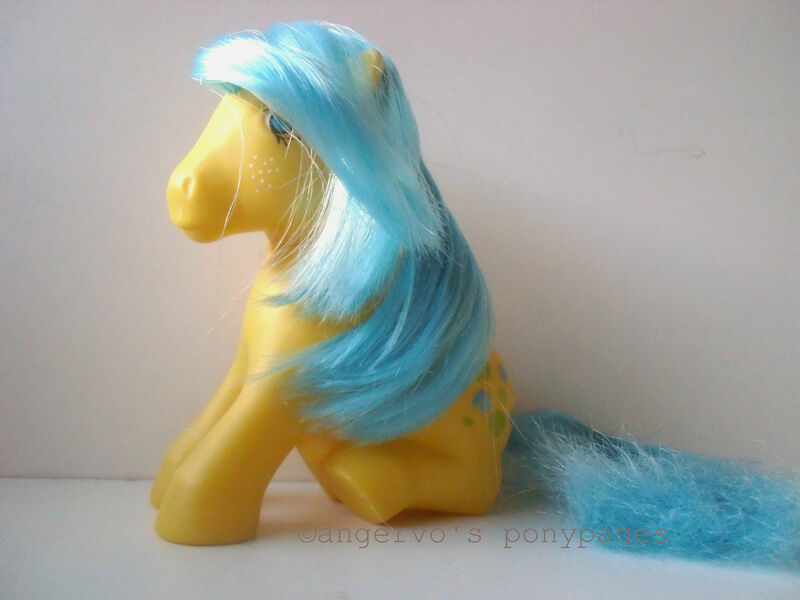 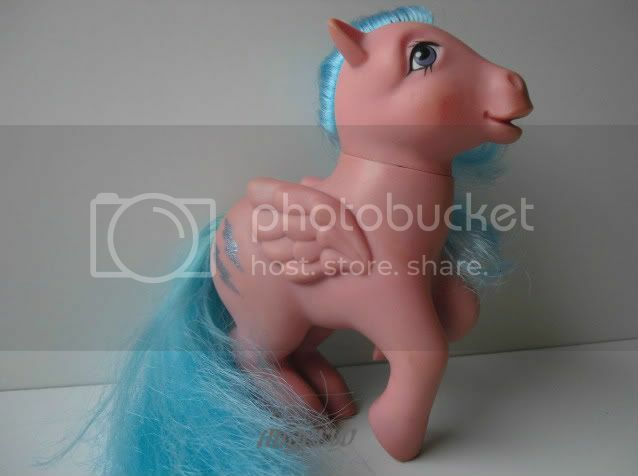 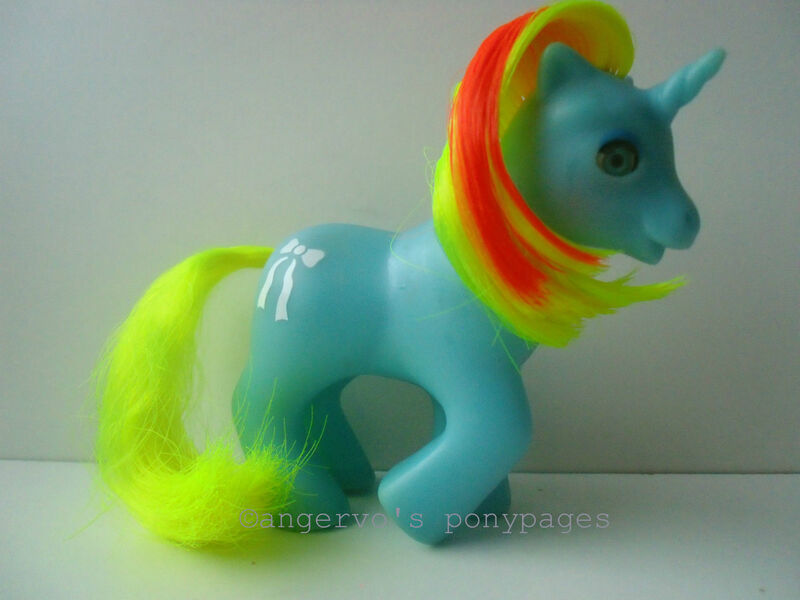 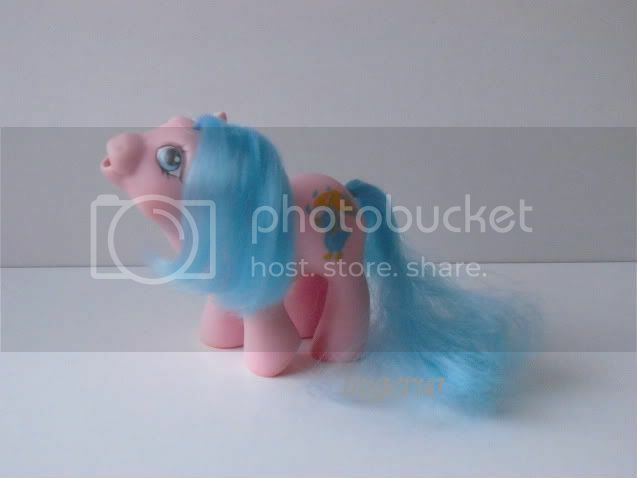 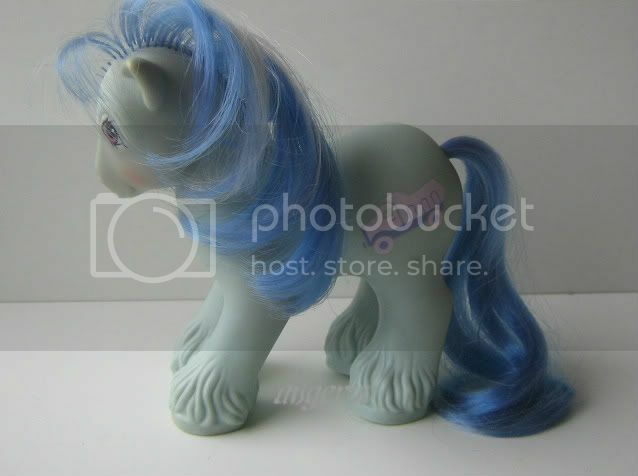 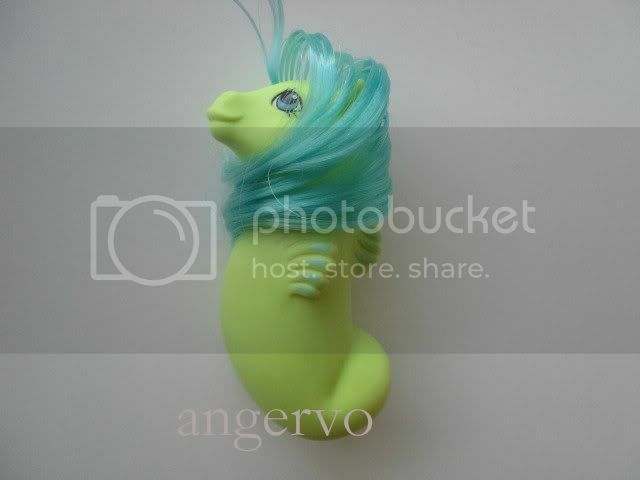 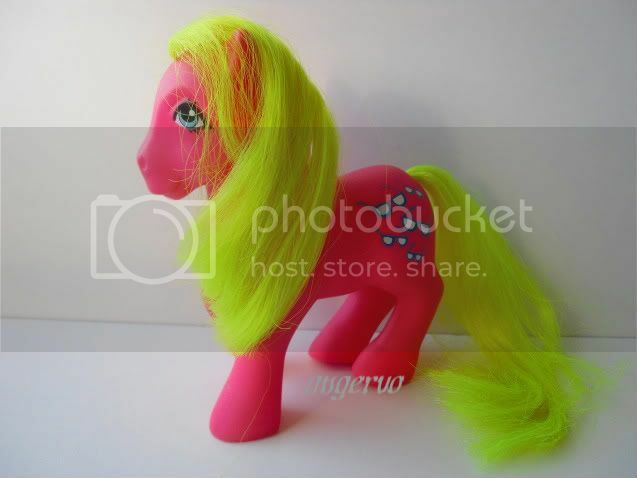 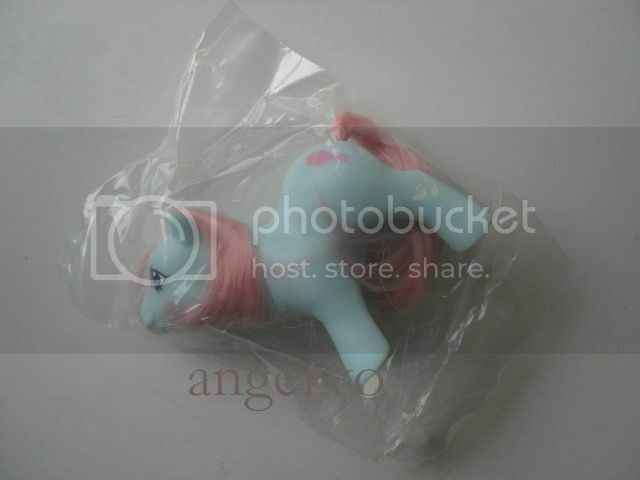 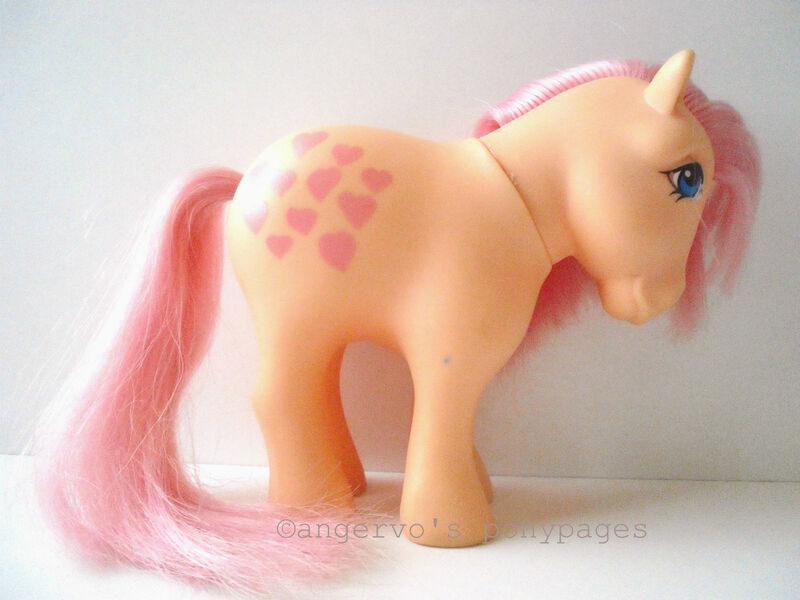 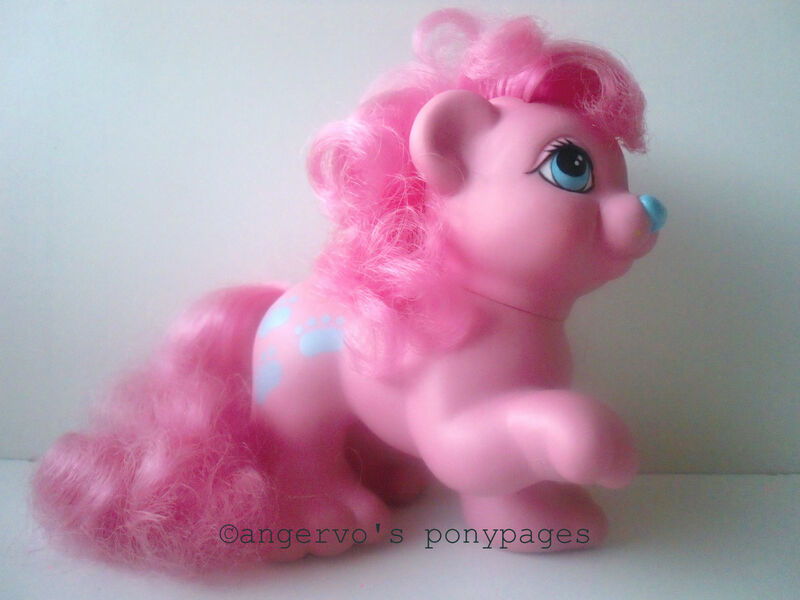 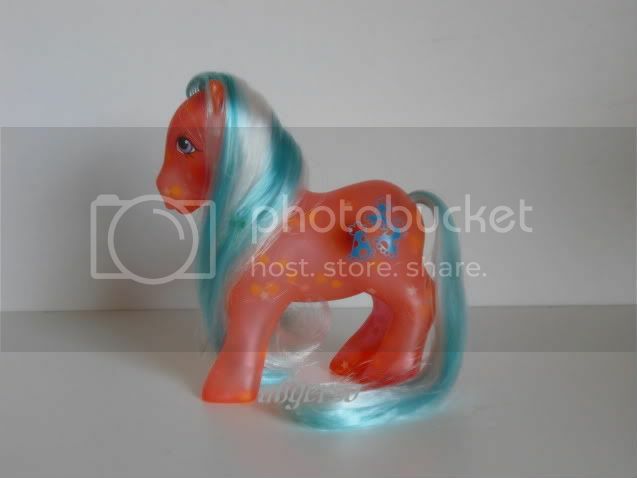 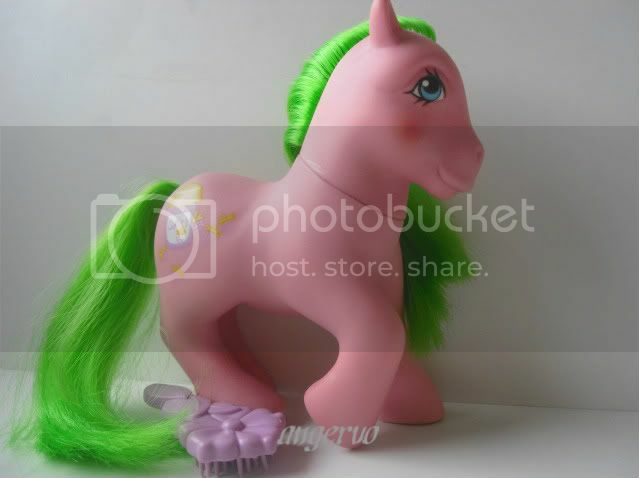 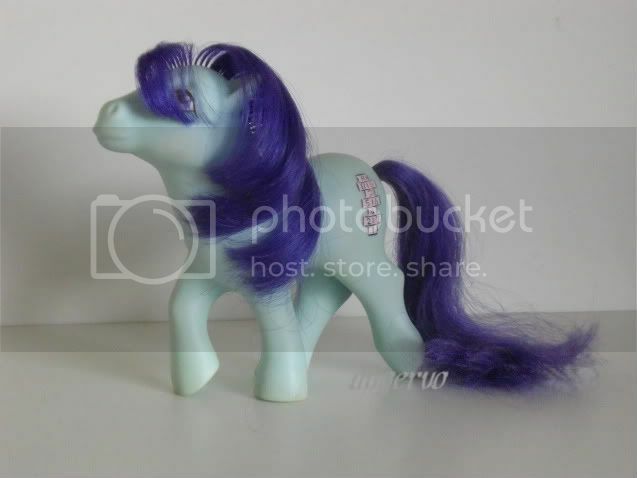 ﻿﻿Prinzessin Aquamarin﻿﻿ (Serena) - G1 German Princess Ponies (bubblegum pink hair) GE 97->?